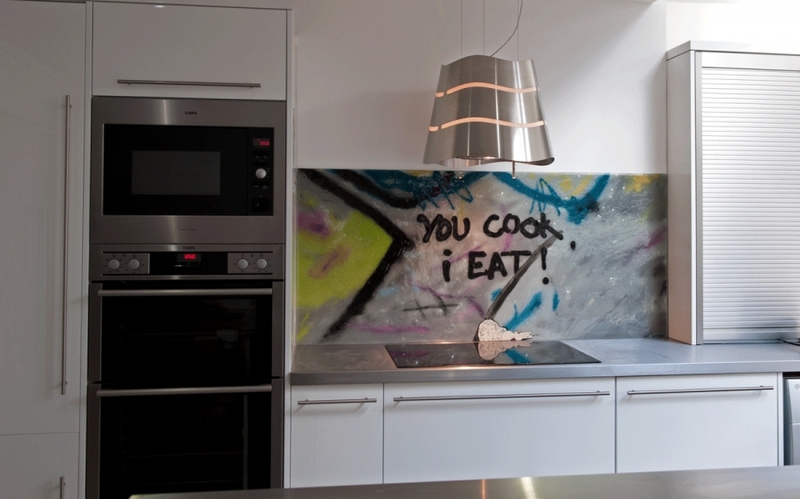 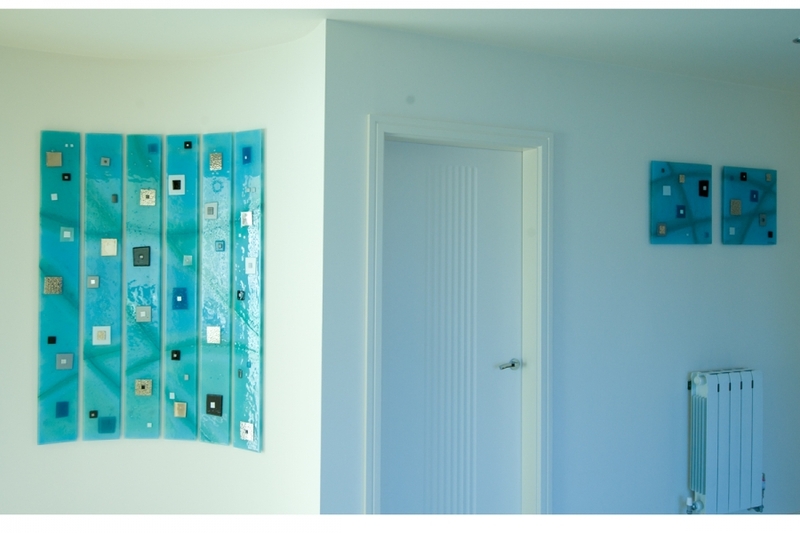 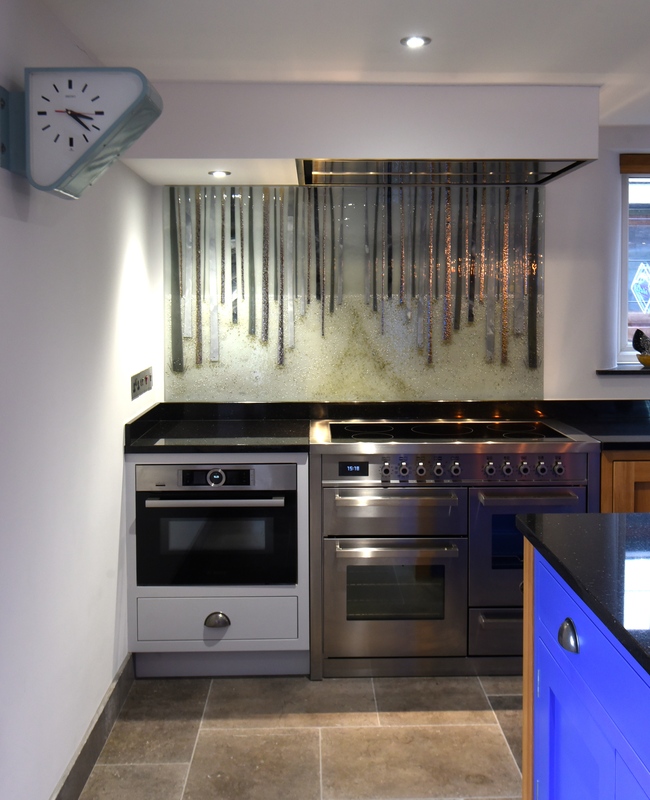 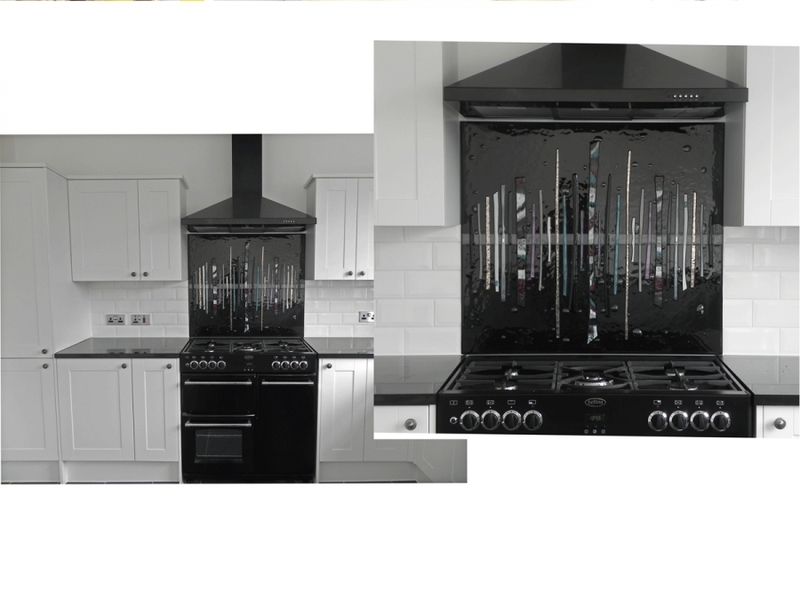 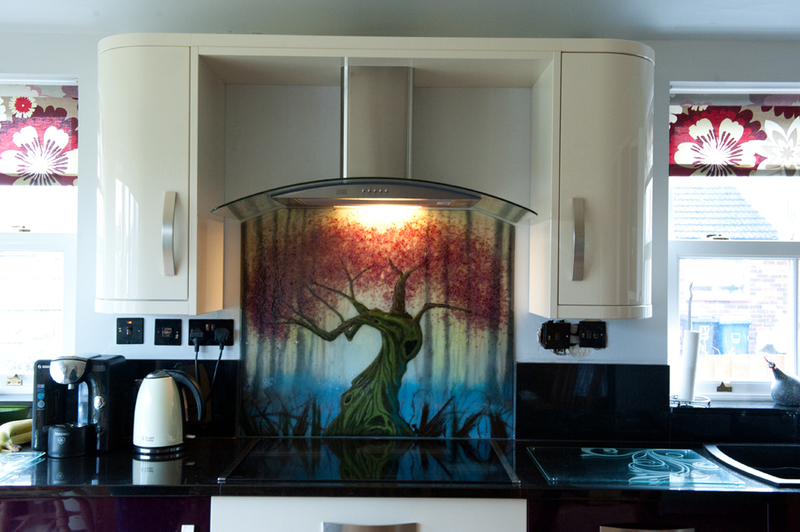 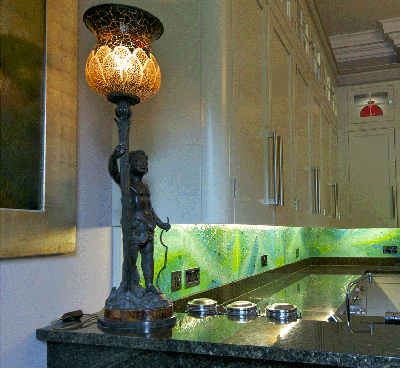 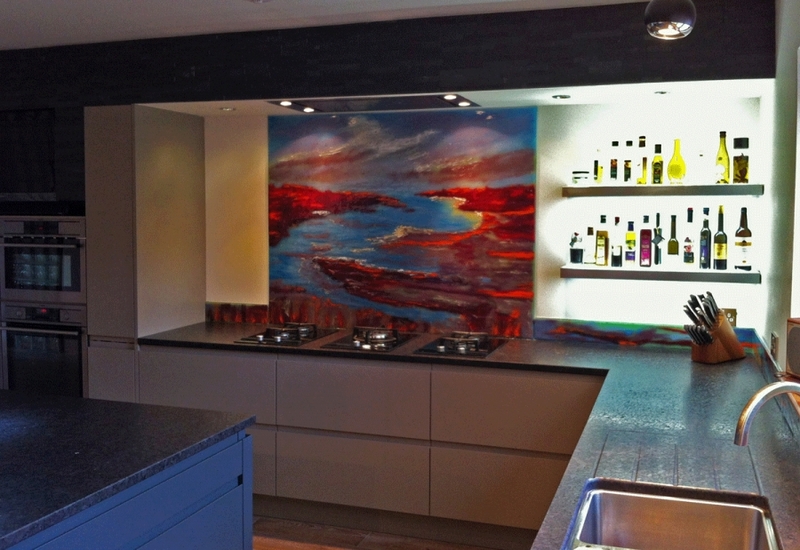 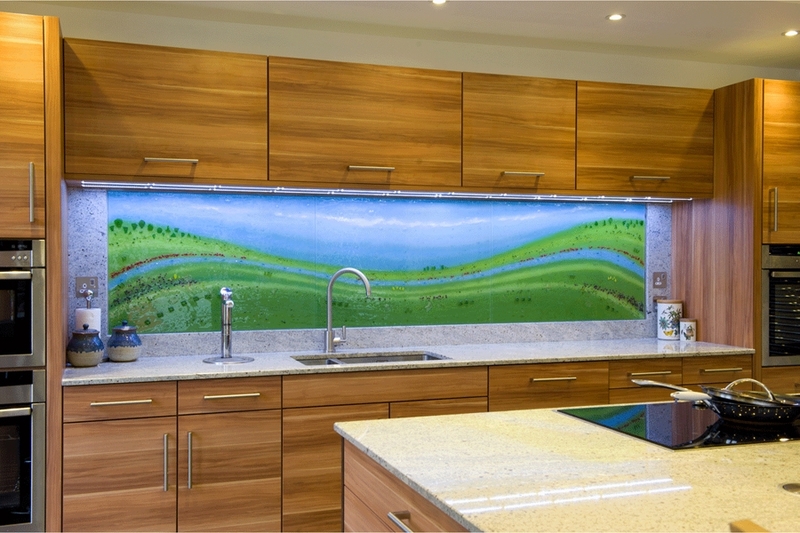 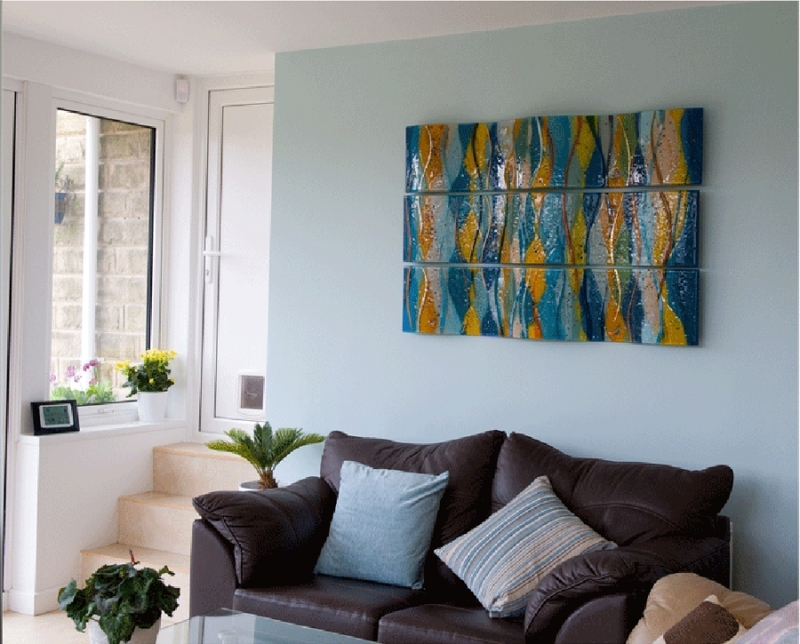 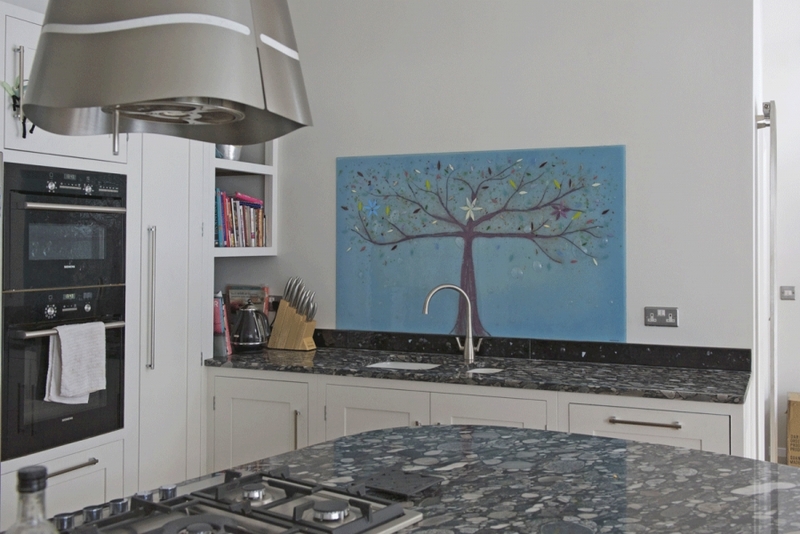 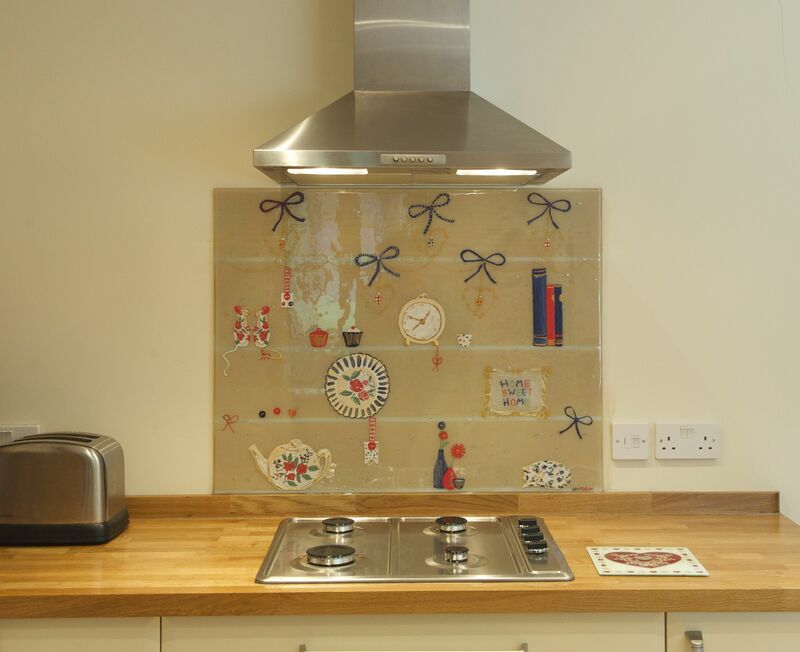 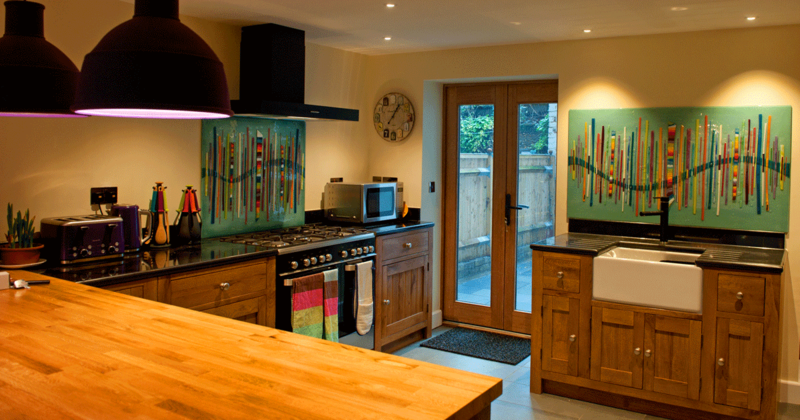 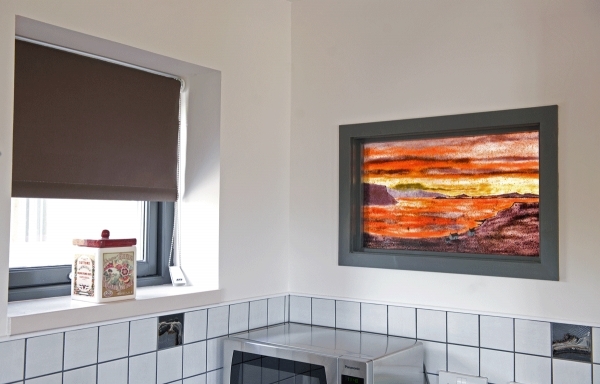 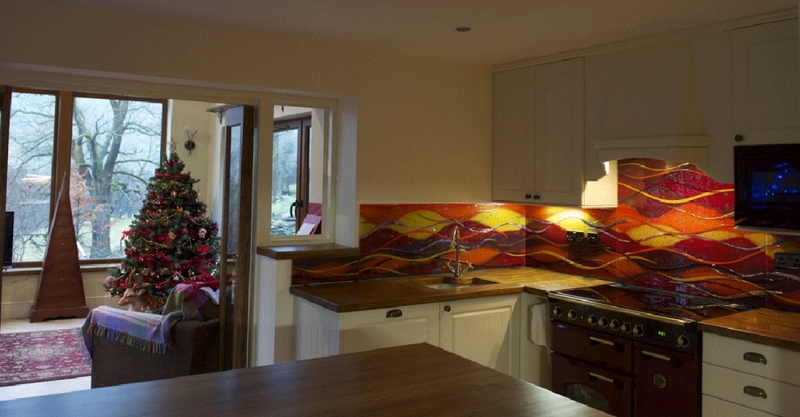 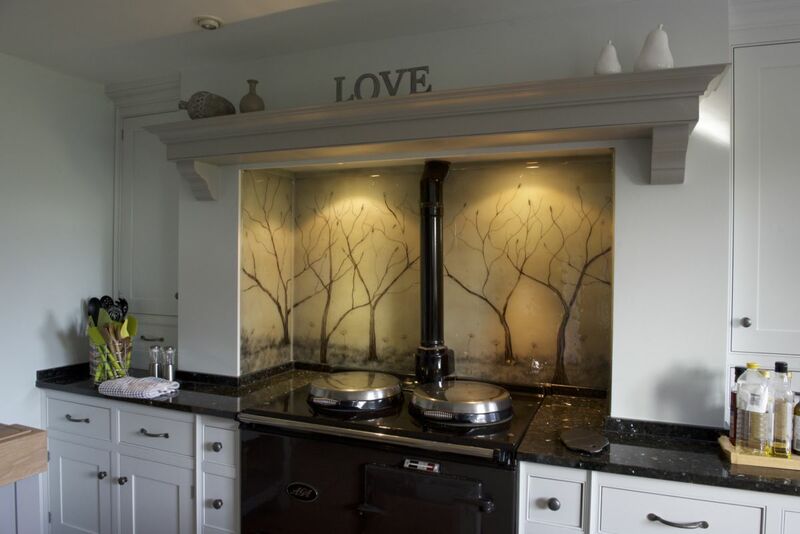 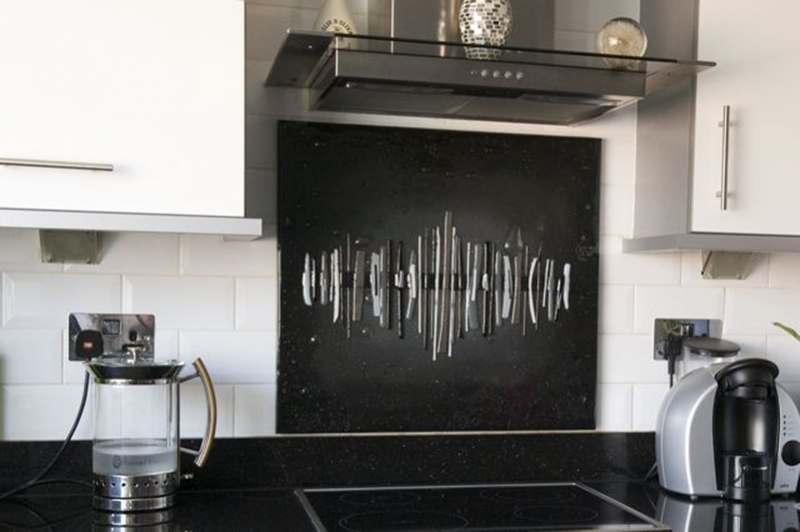 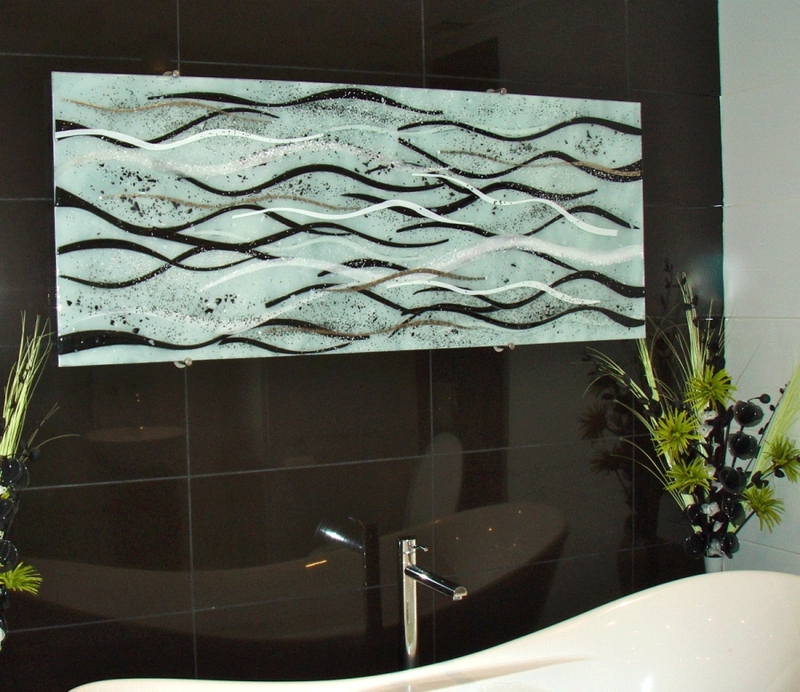 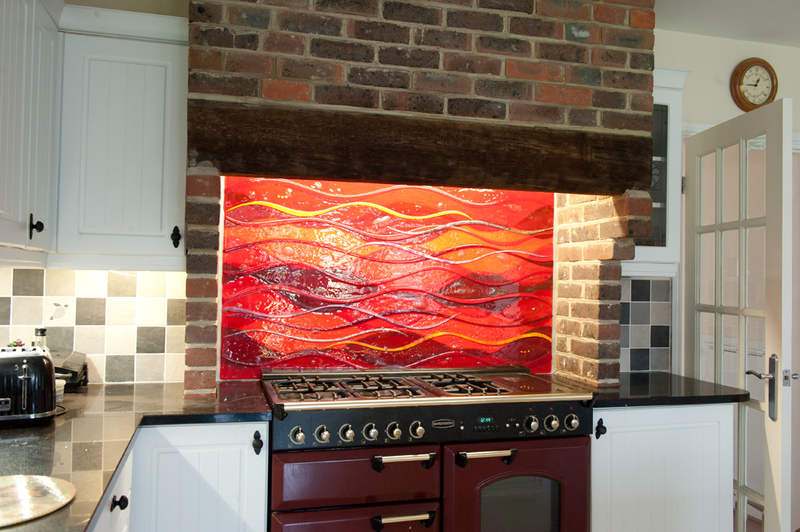 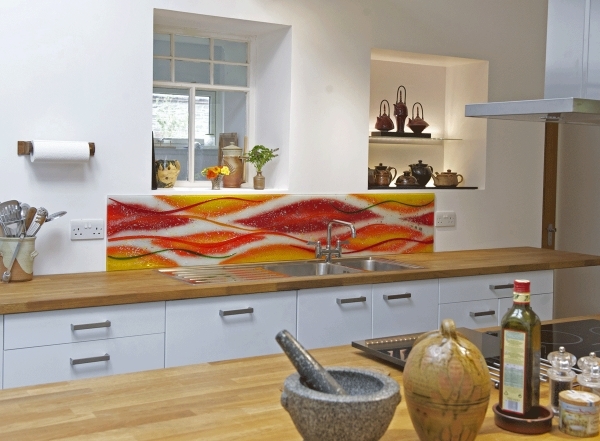 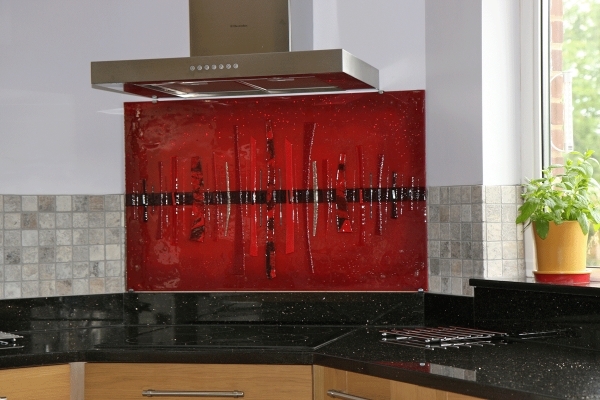 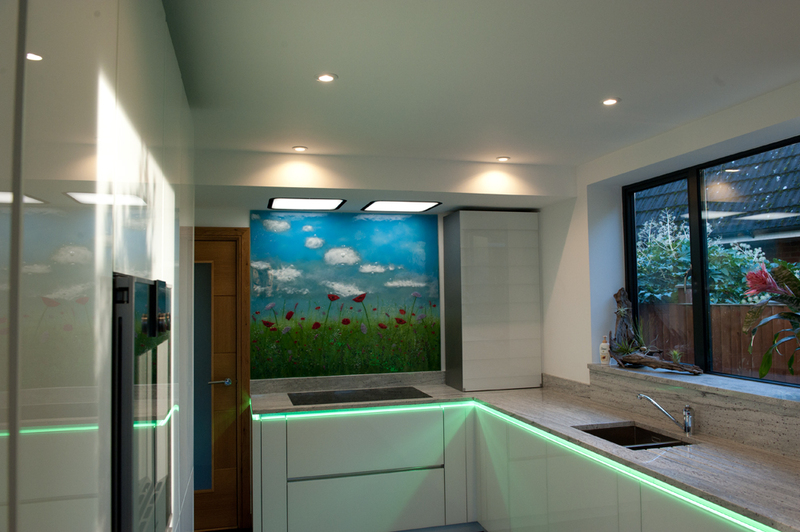 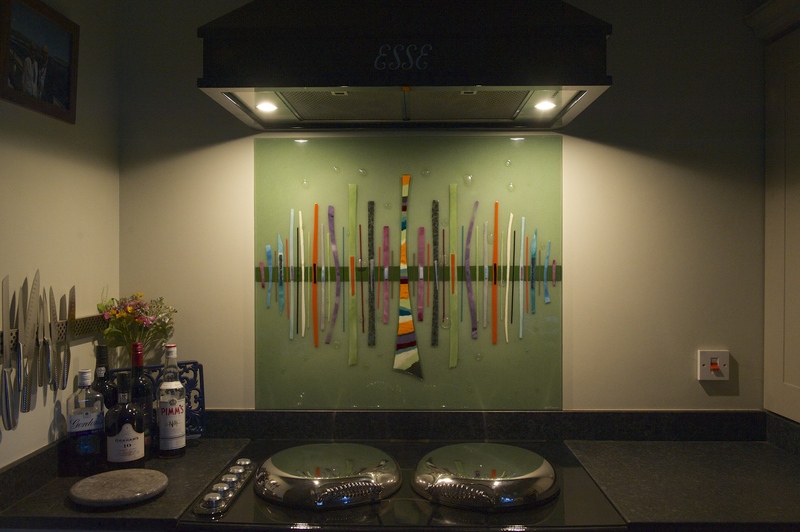 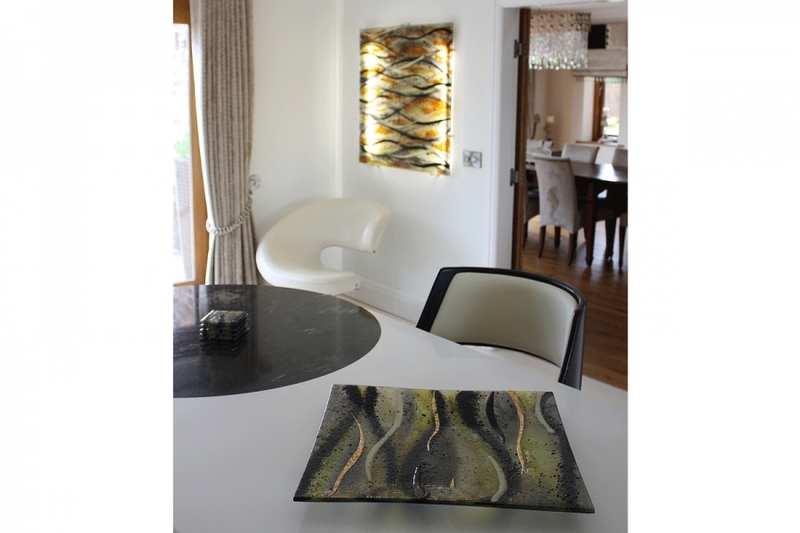 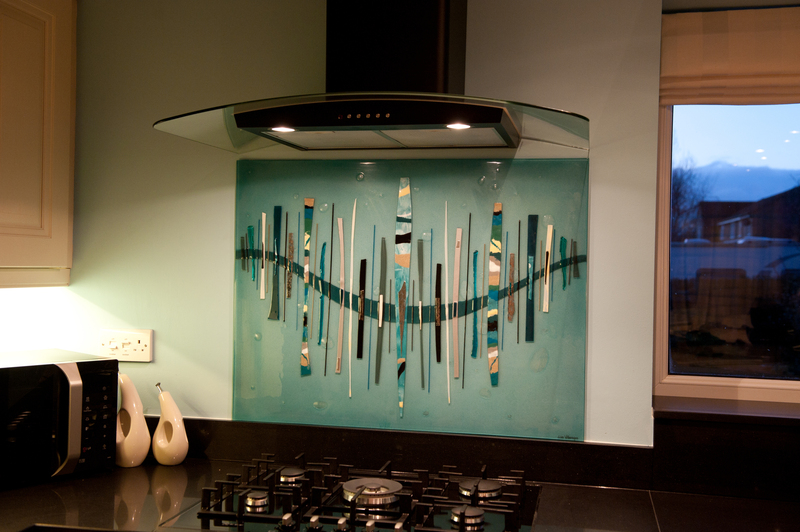 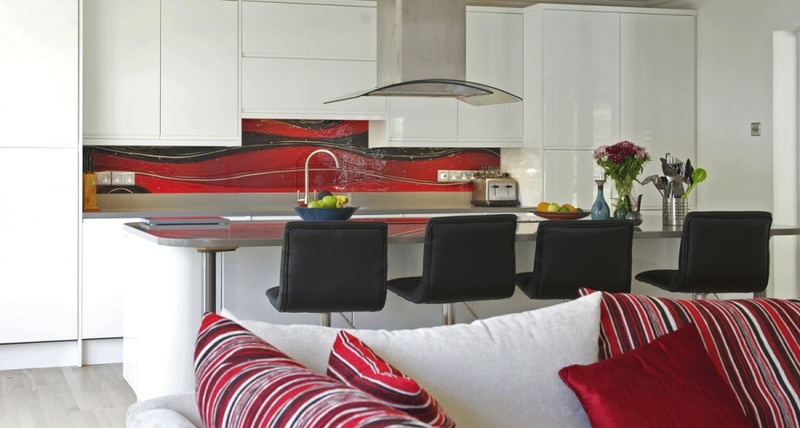 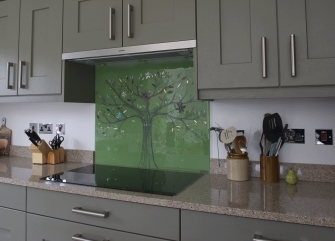 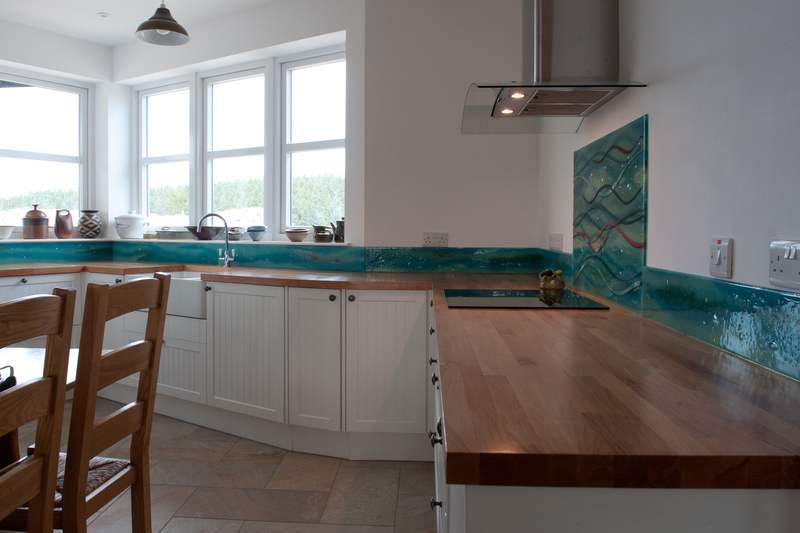 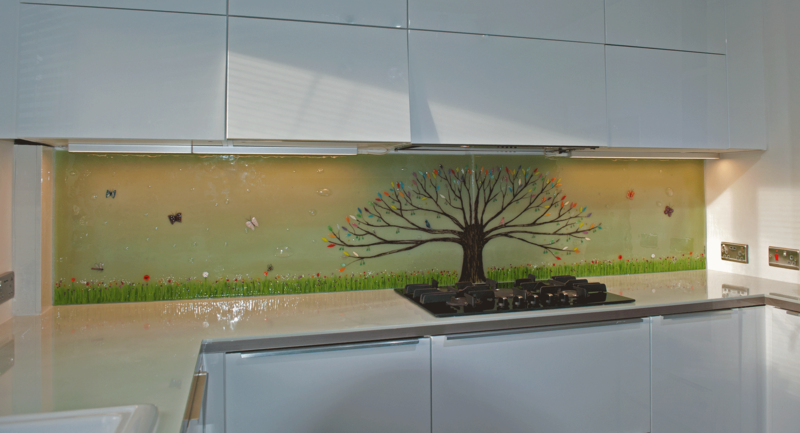 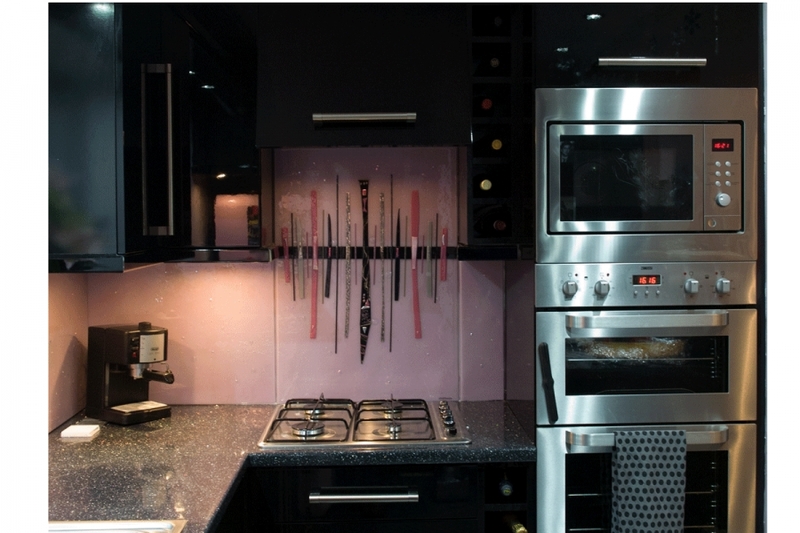 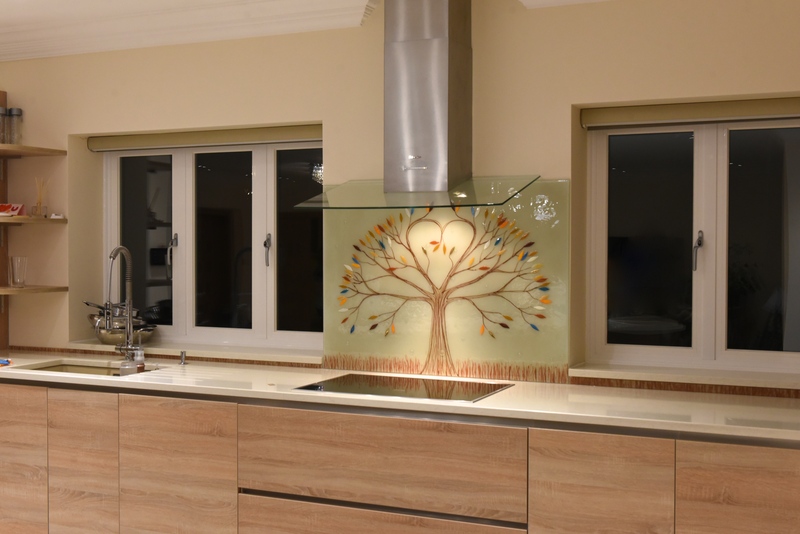 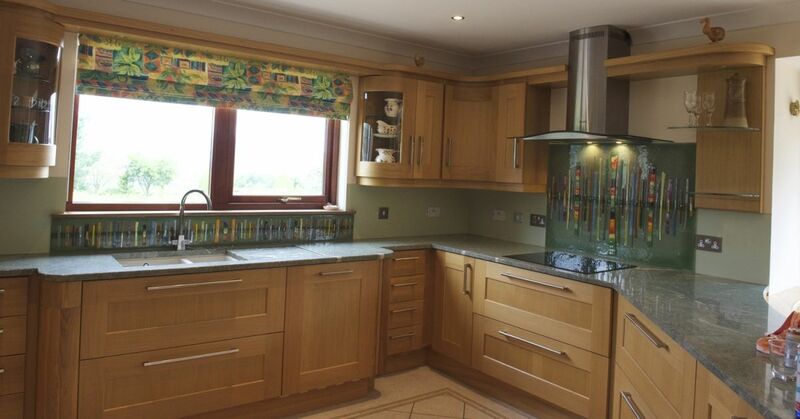 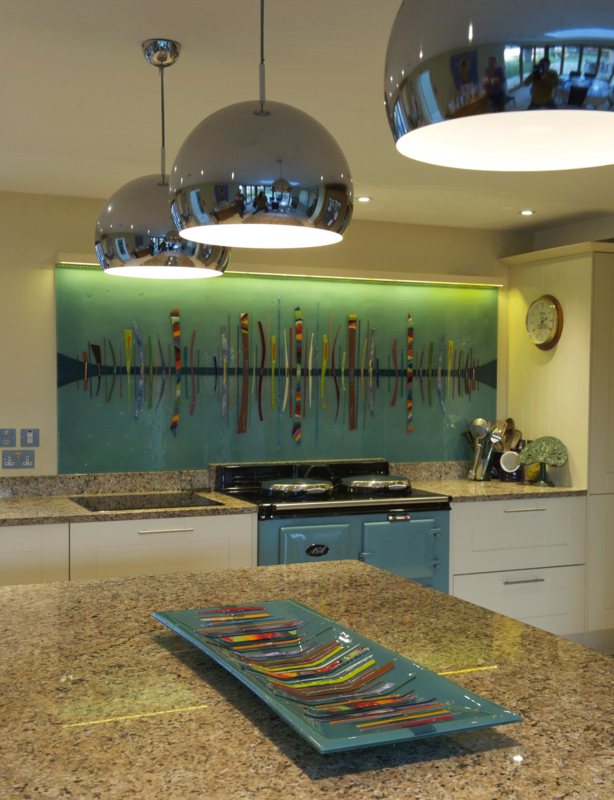 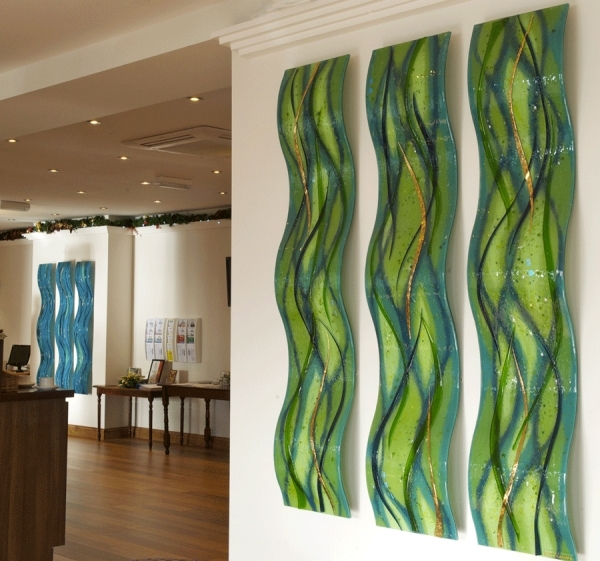 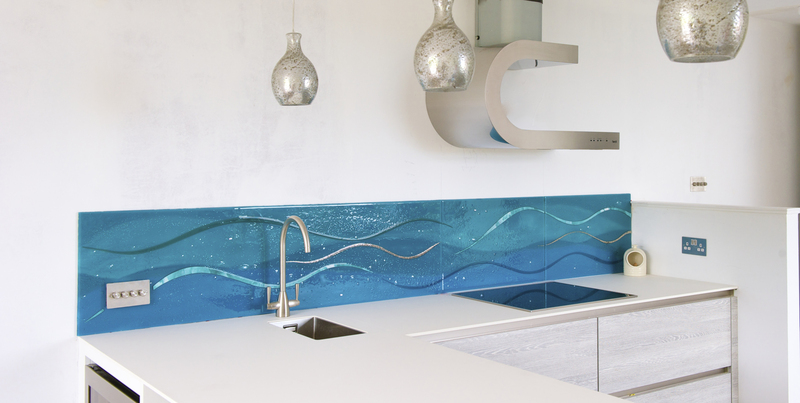 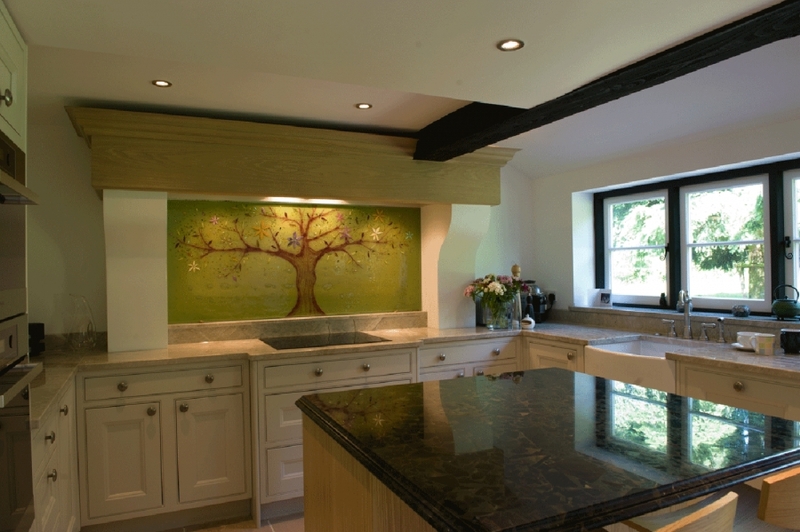 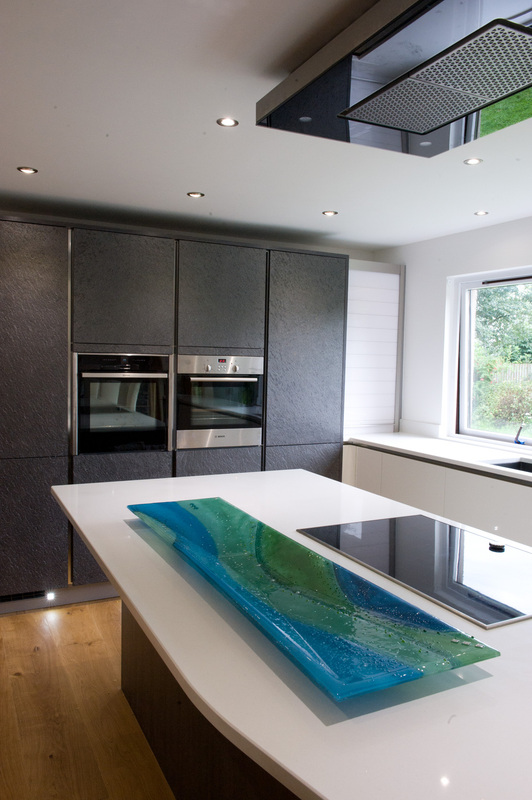 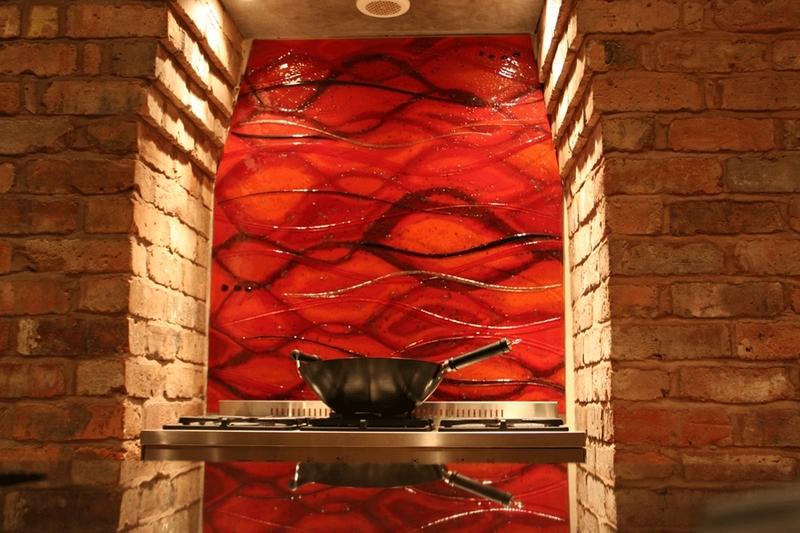 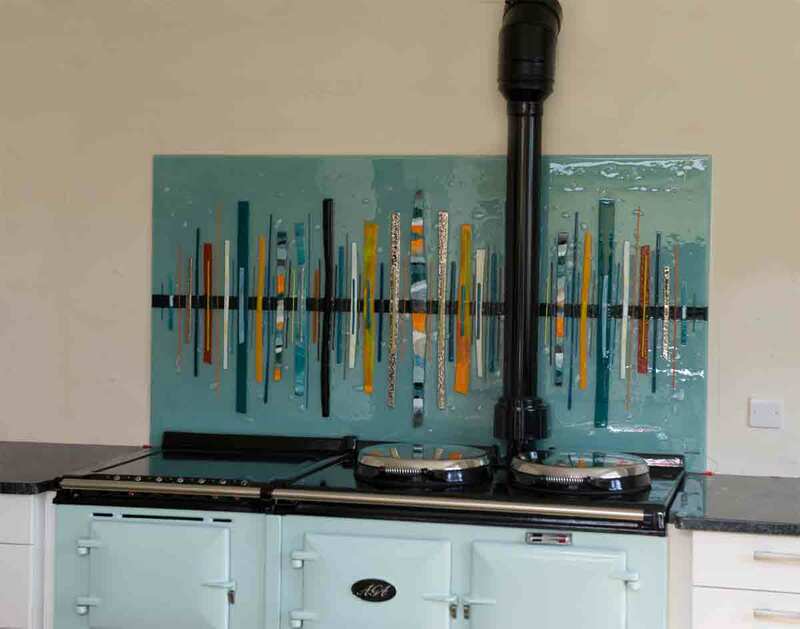 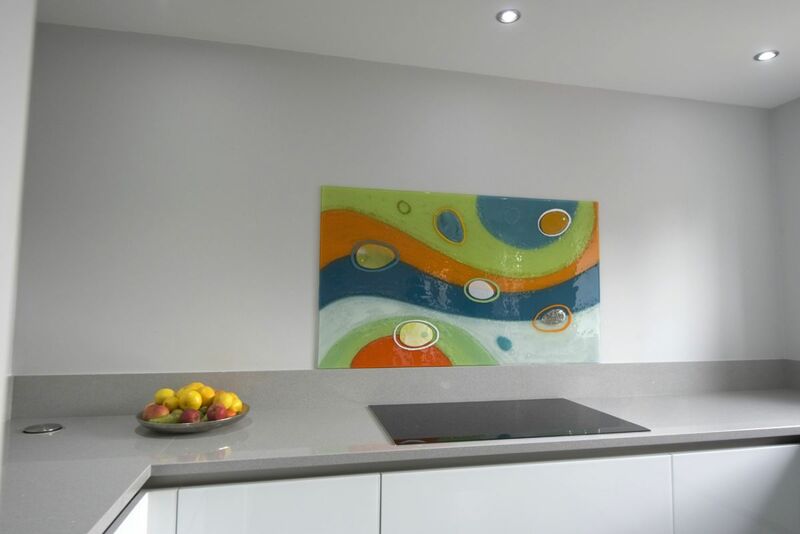 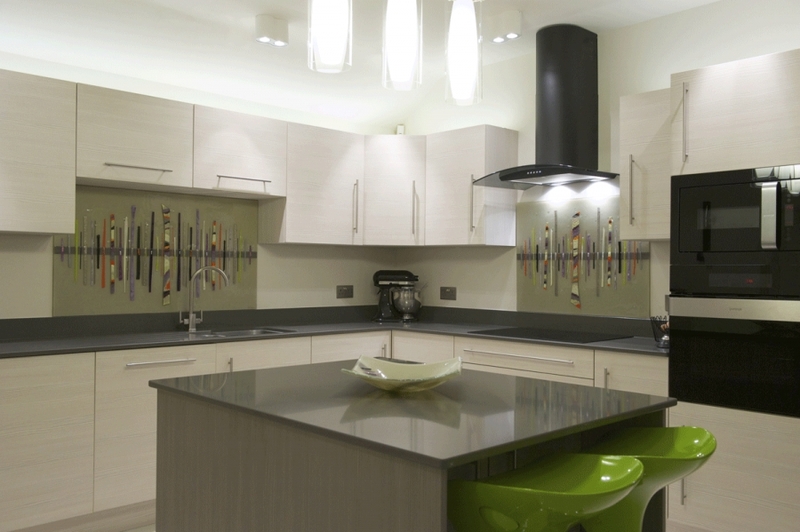 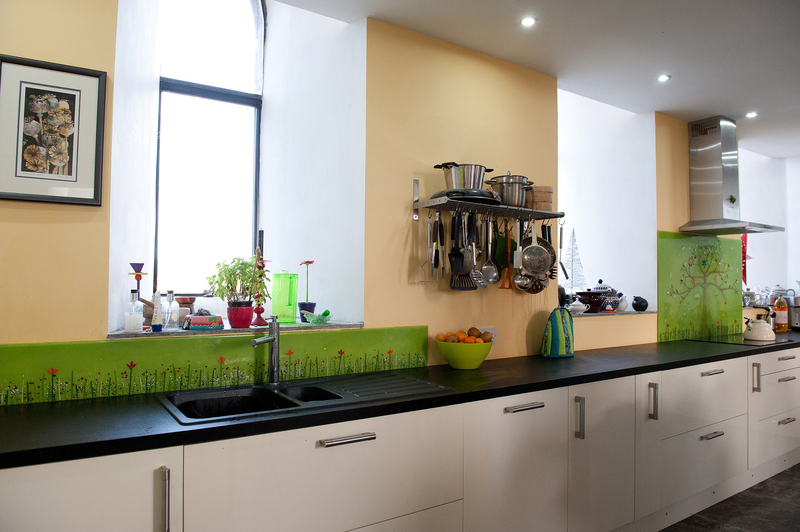 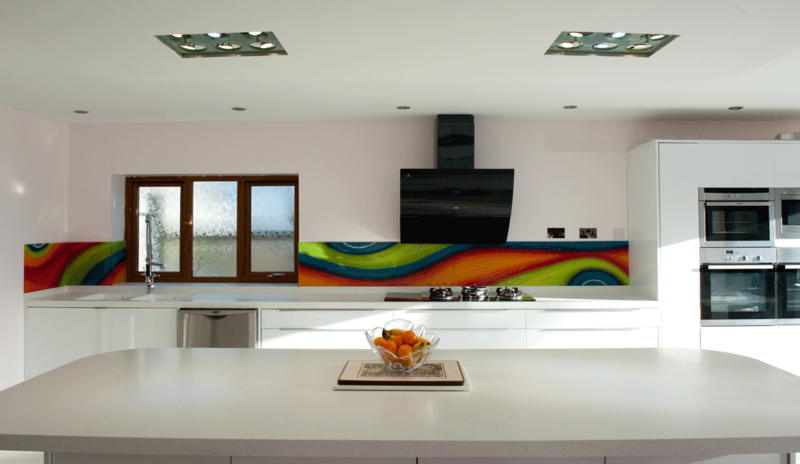 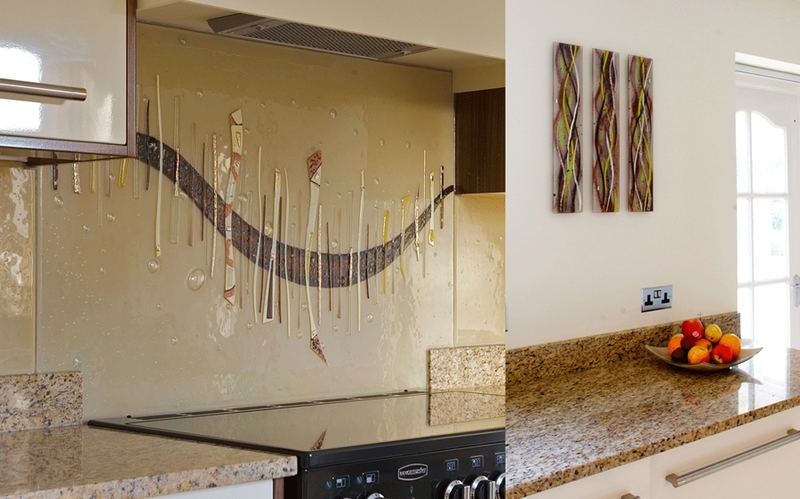 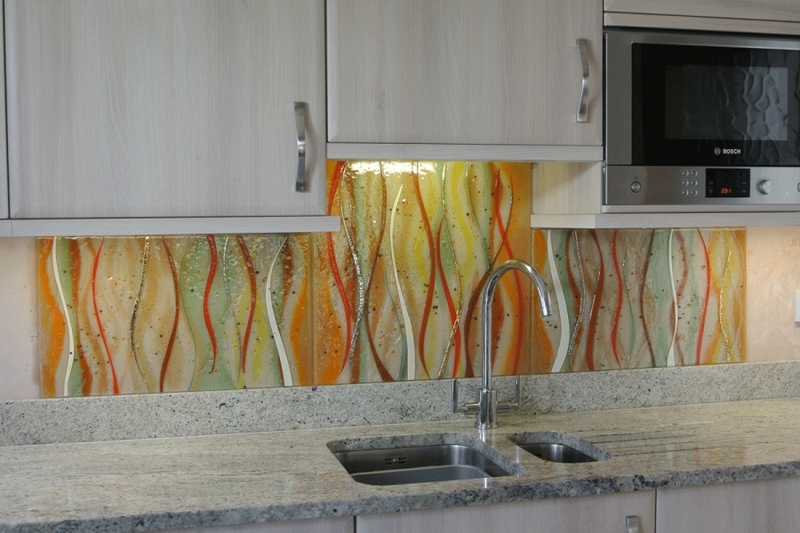 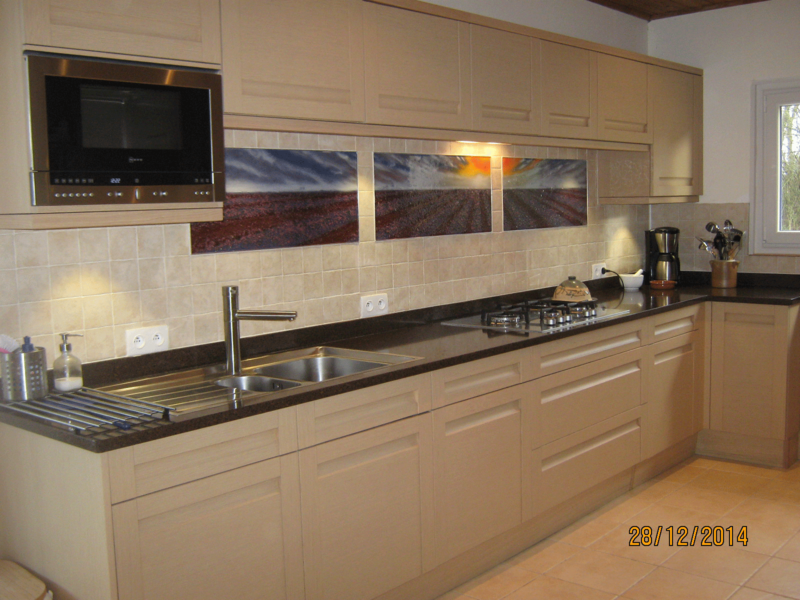 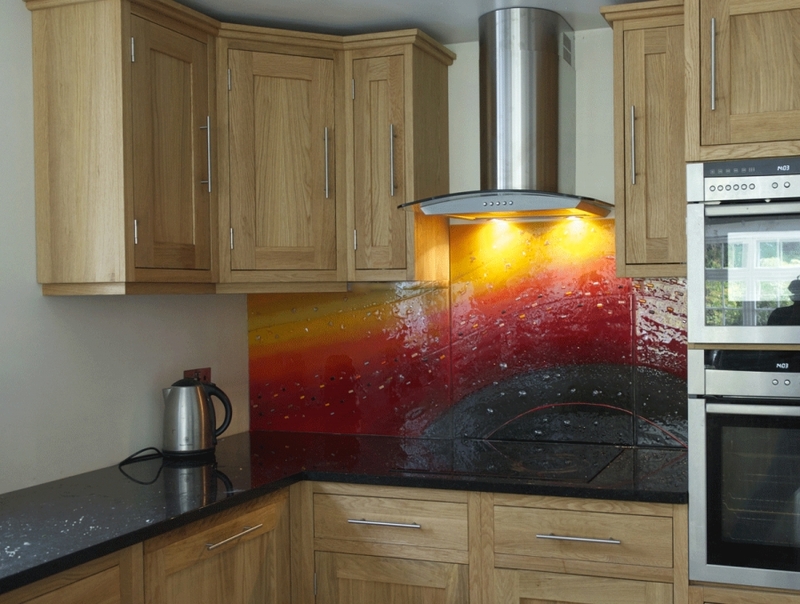 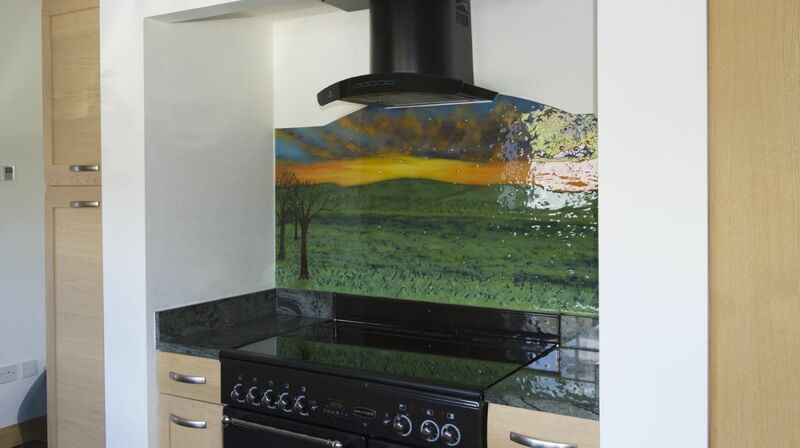 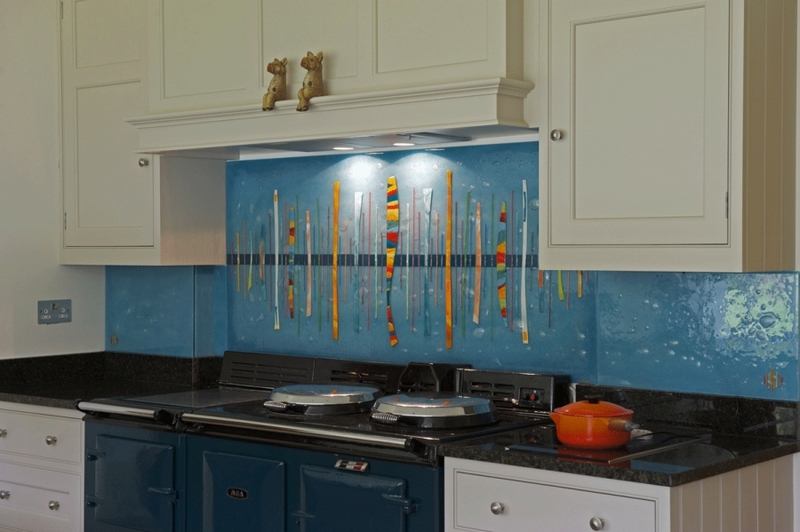 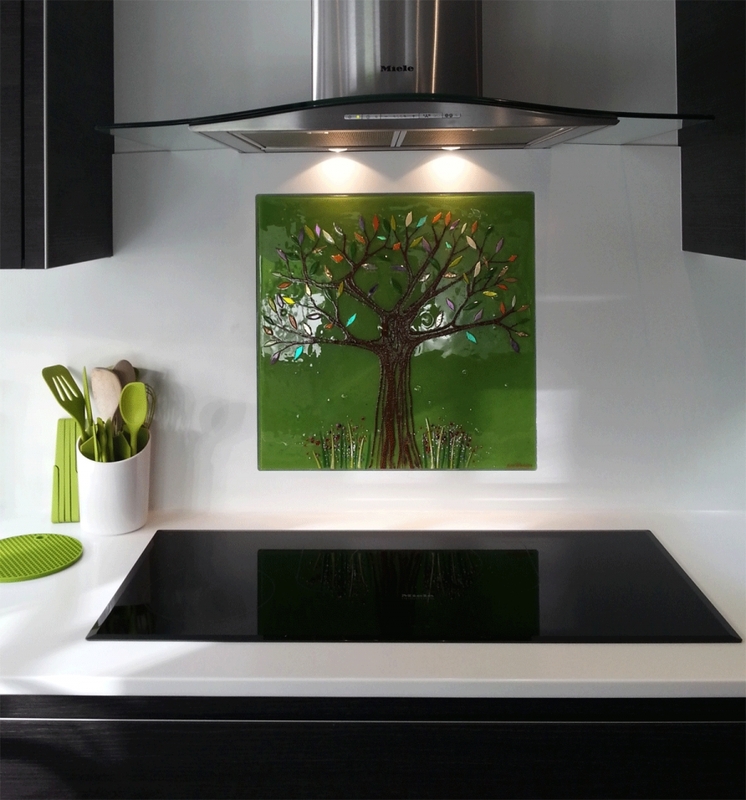 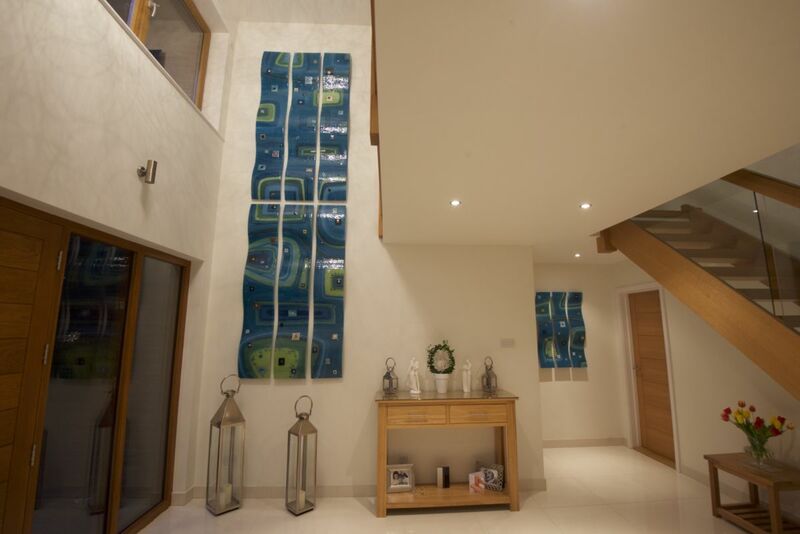 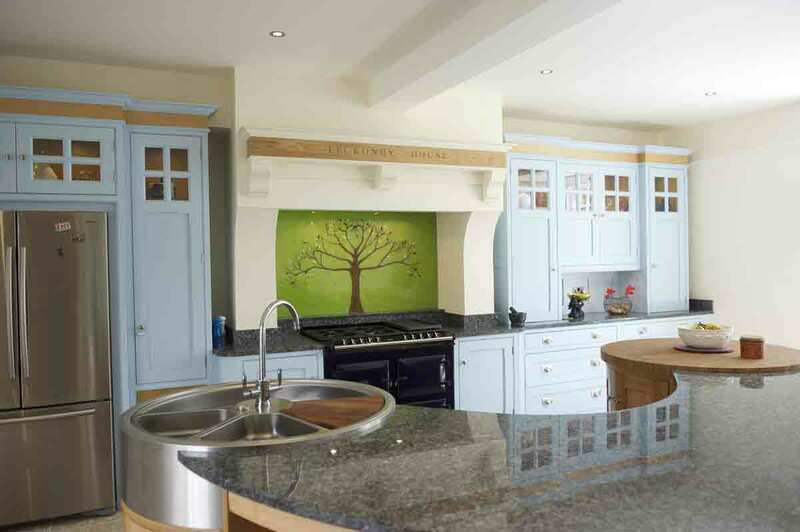 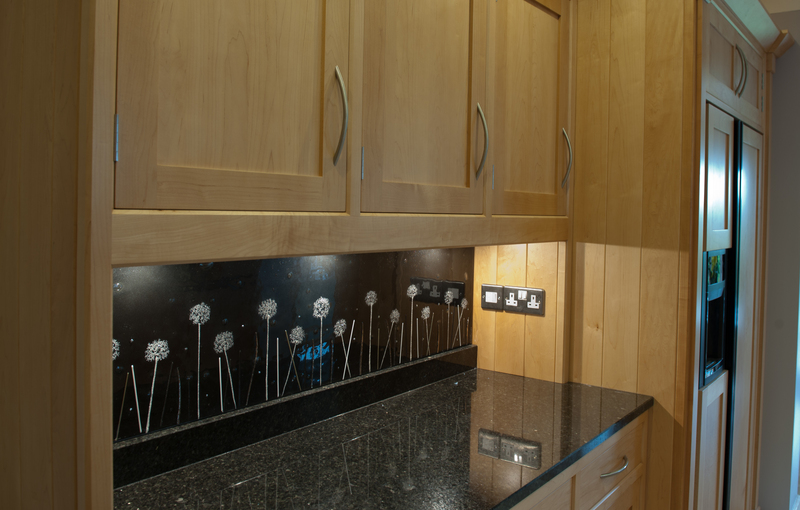 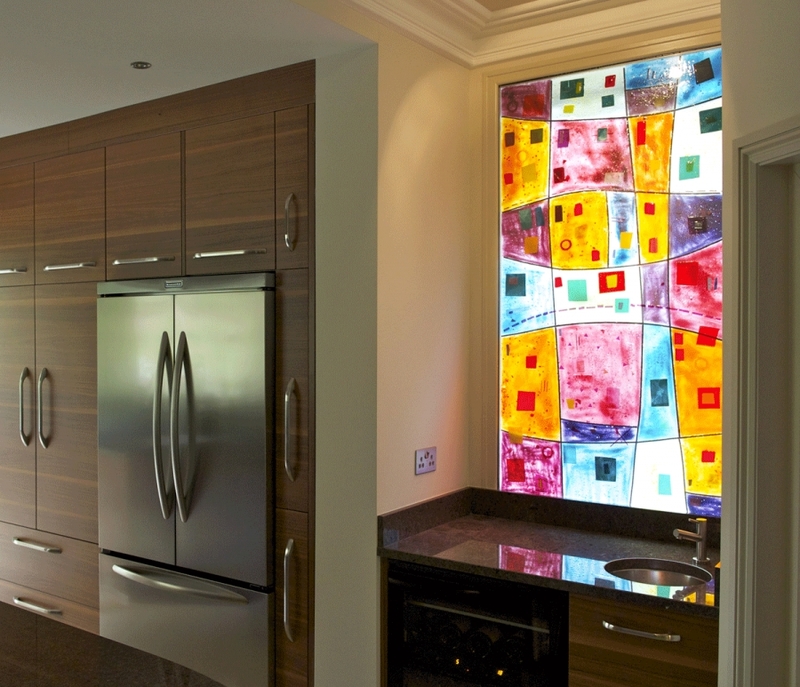 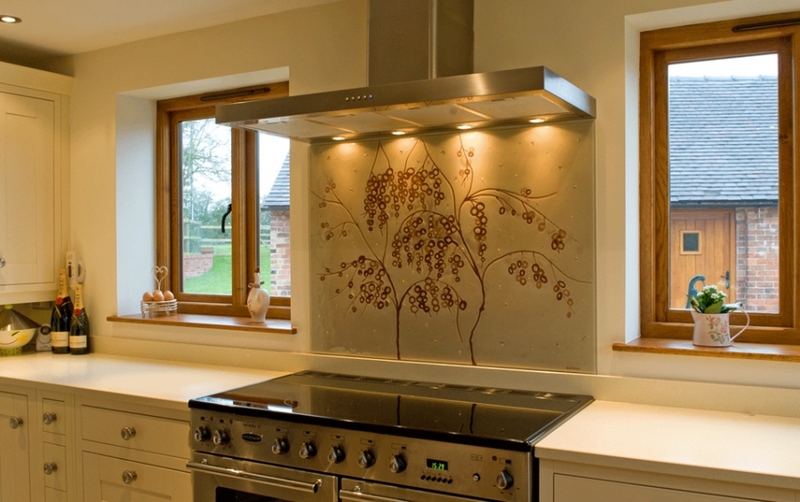 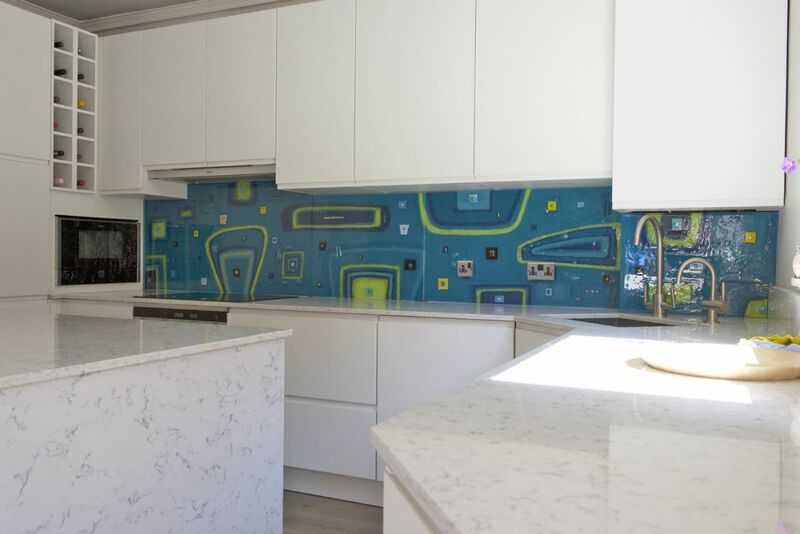 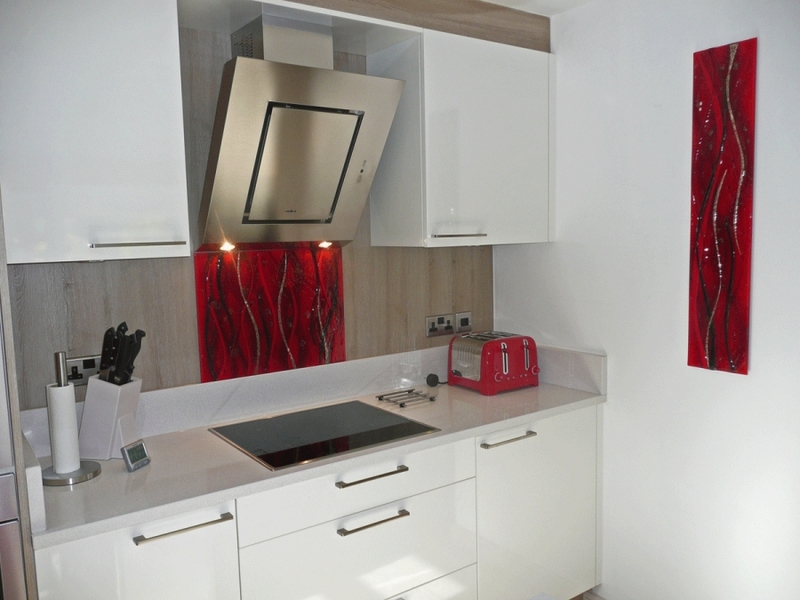 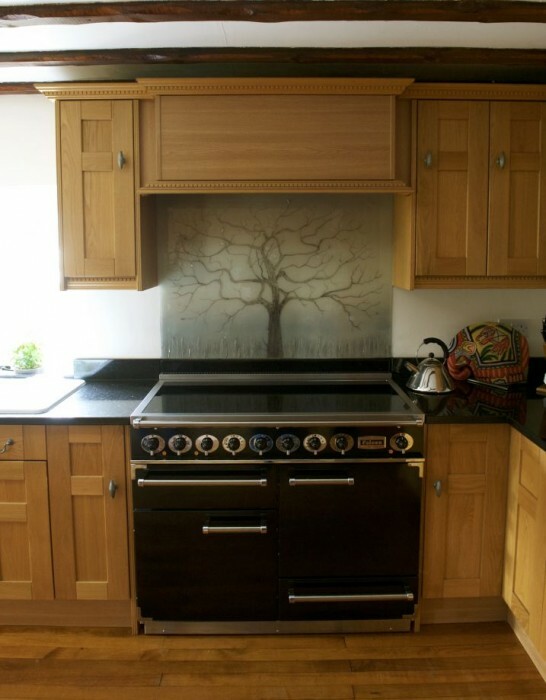 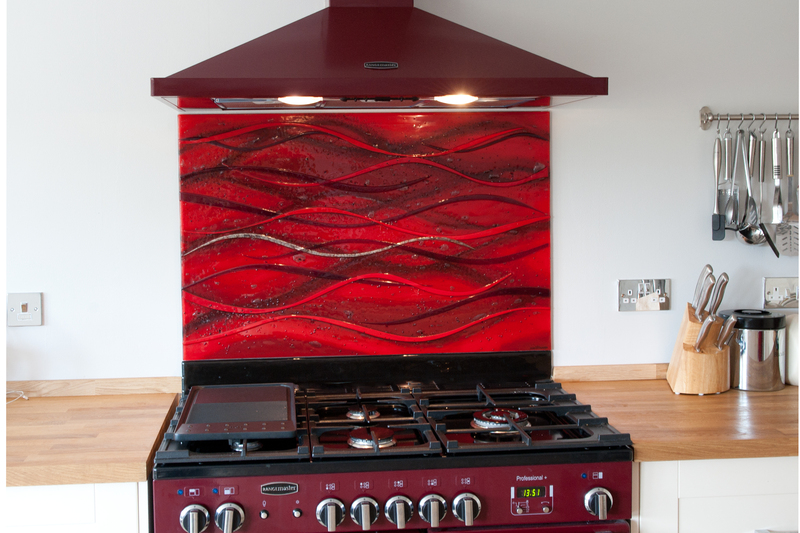 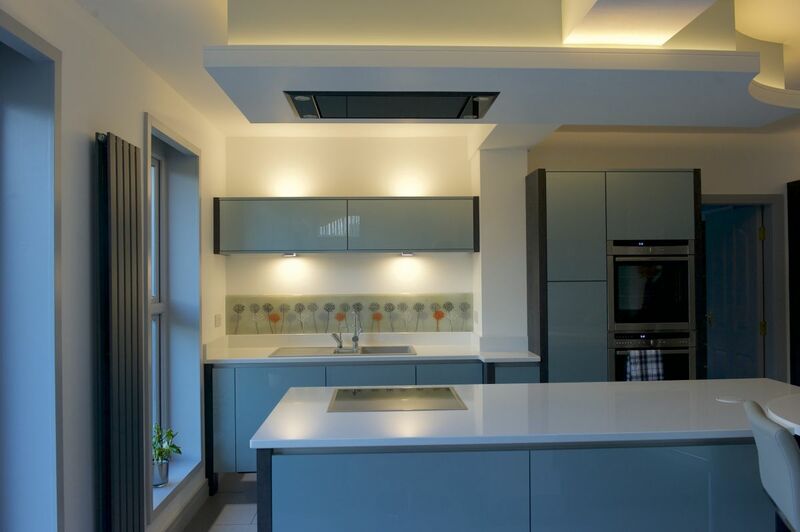 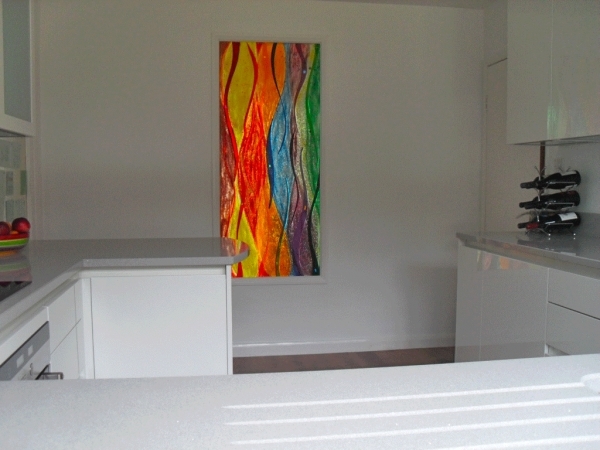 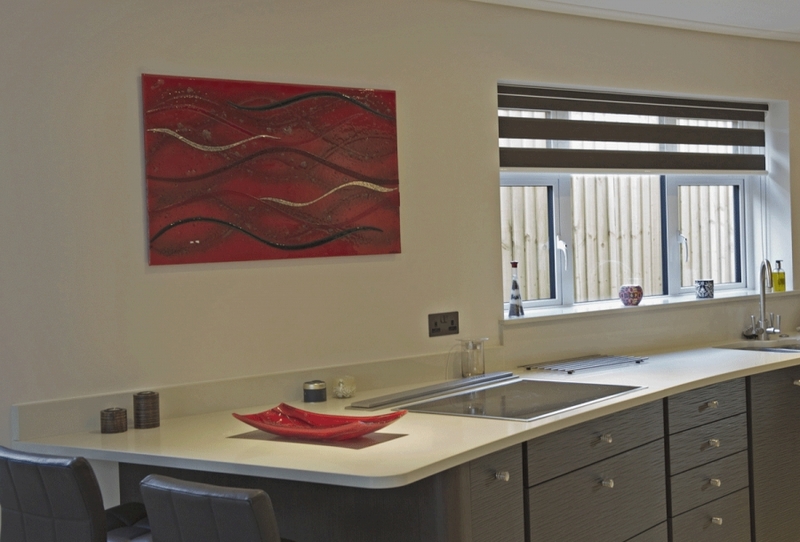 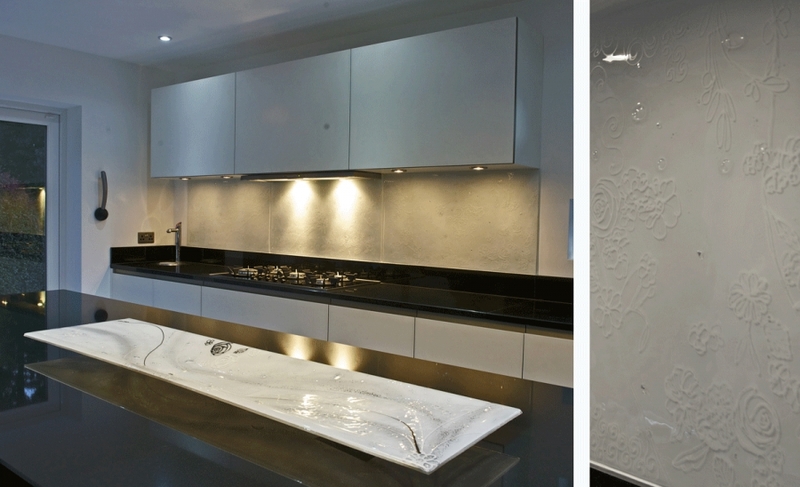 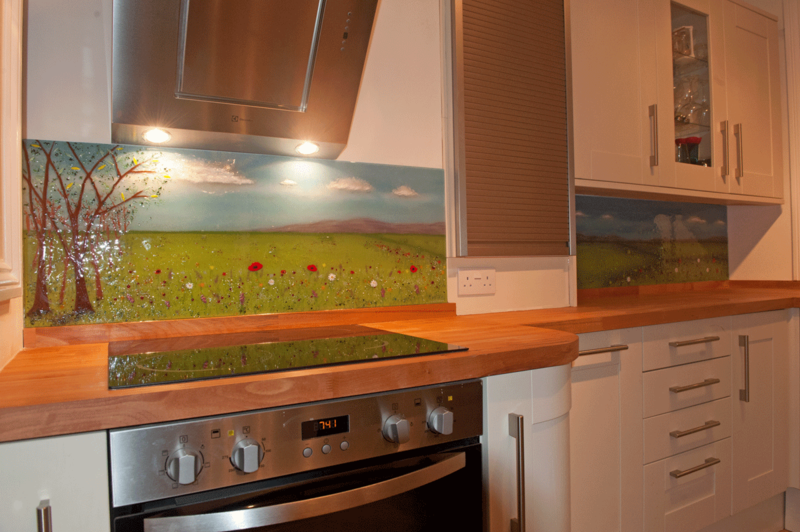 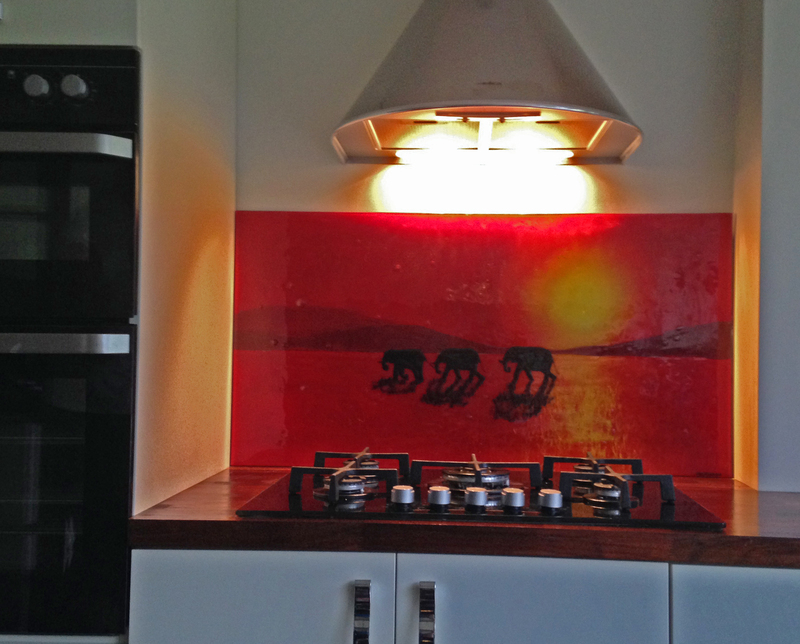 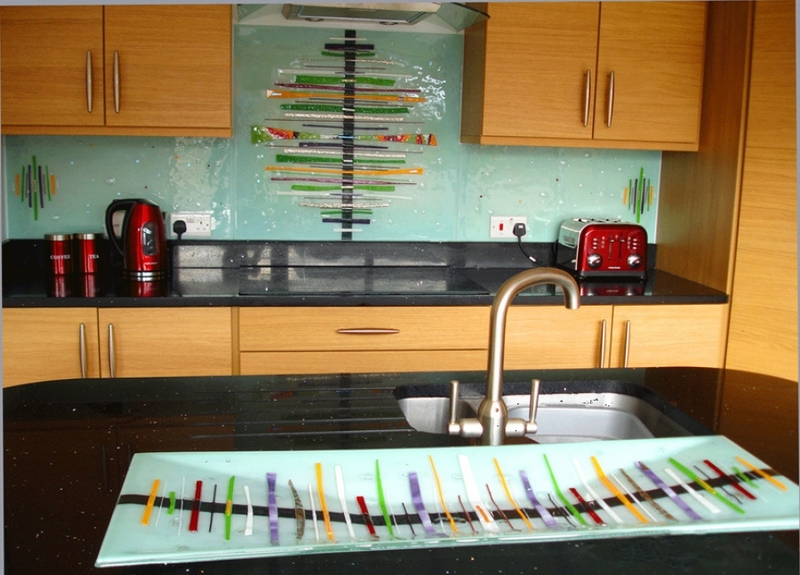 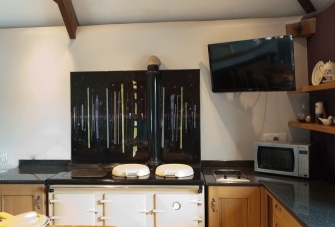 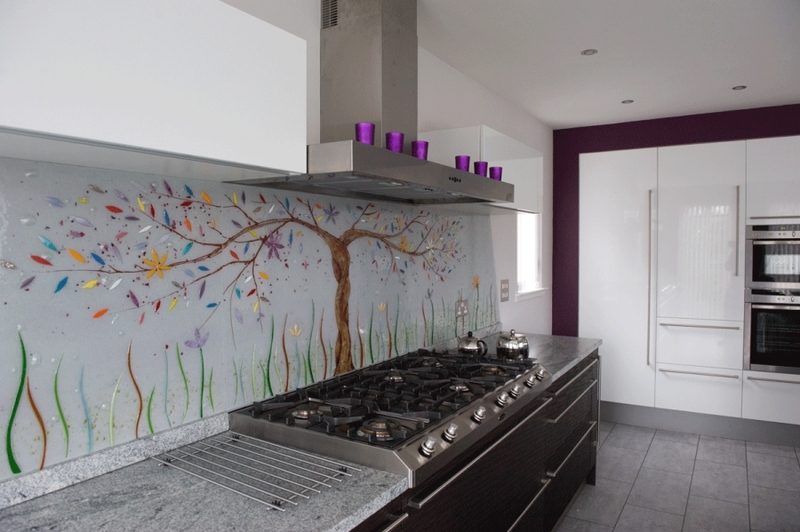 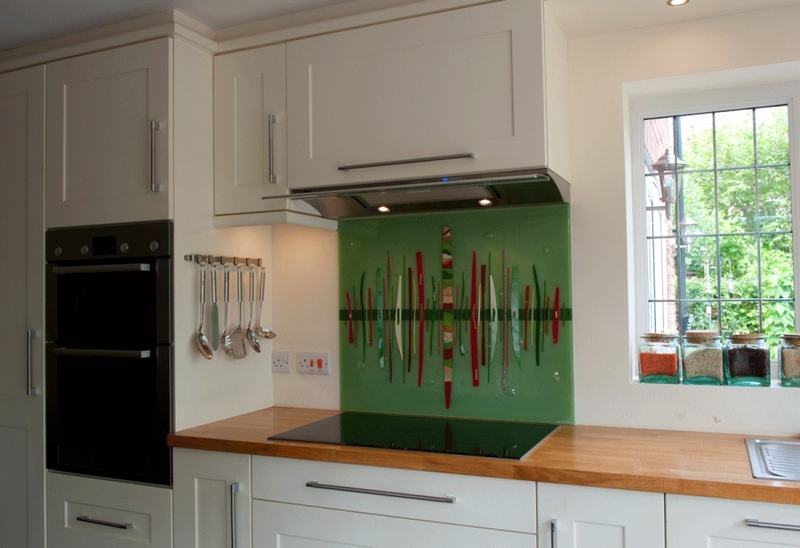 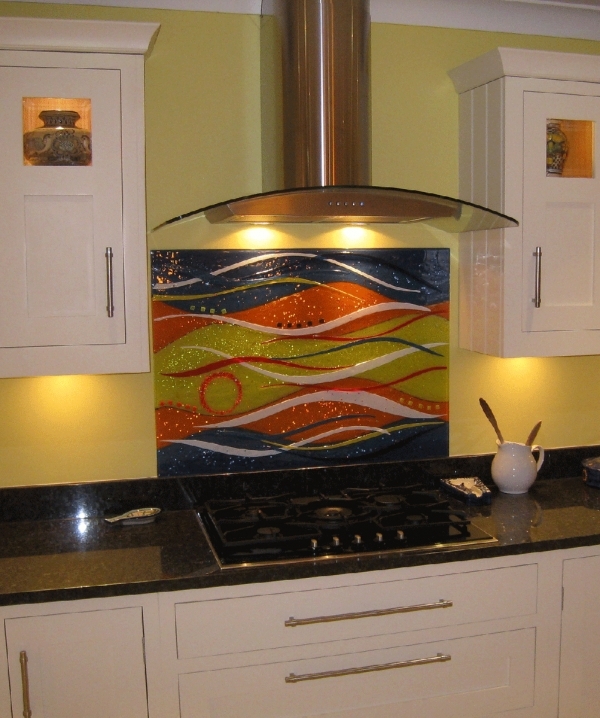 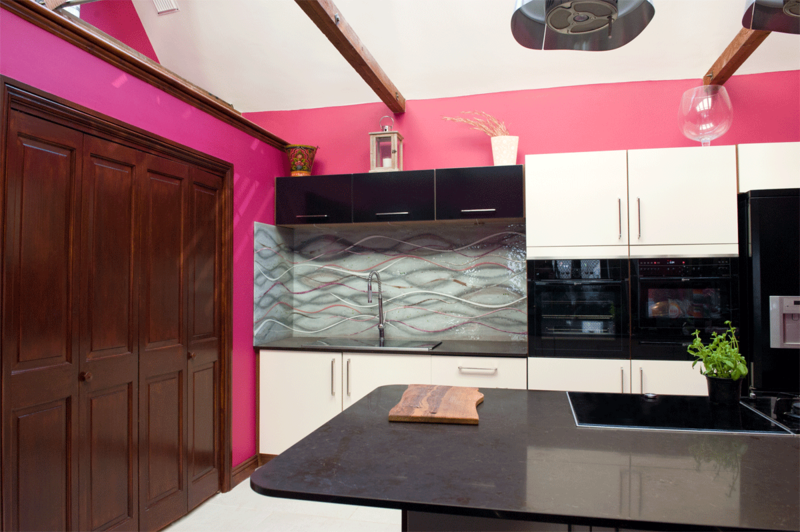 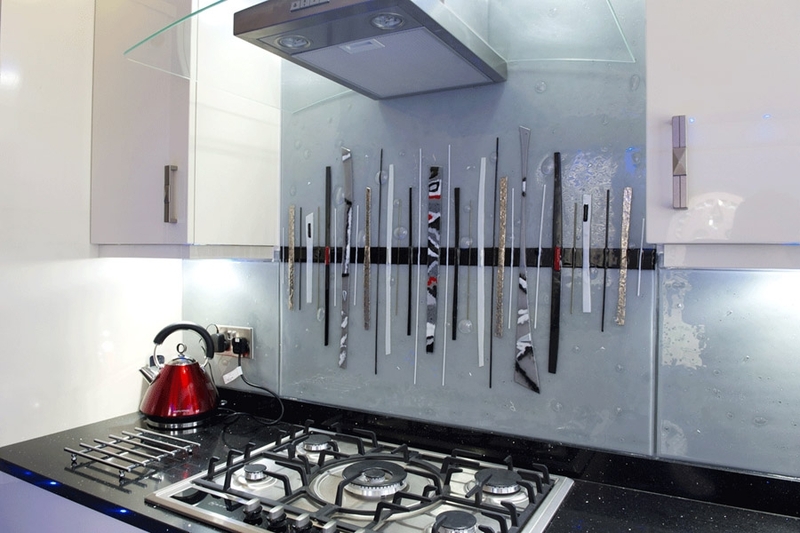 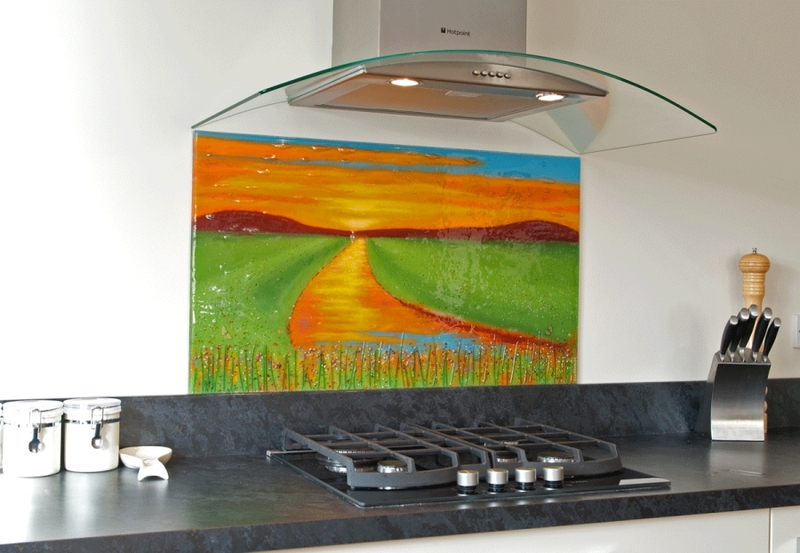 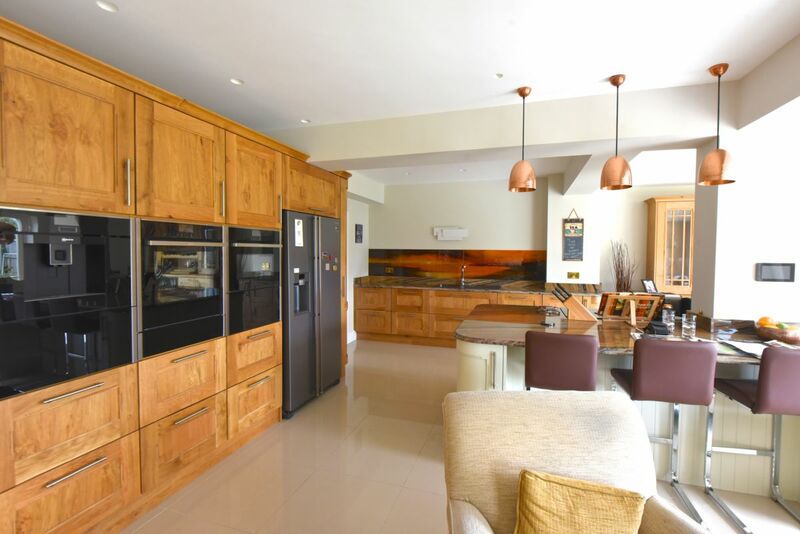 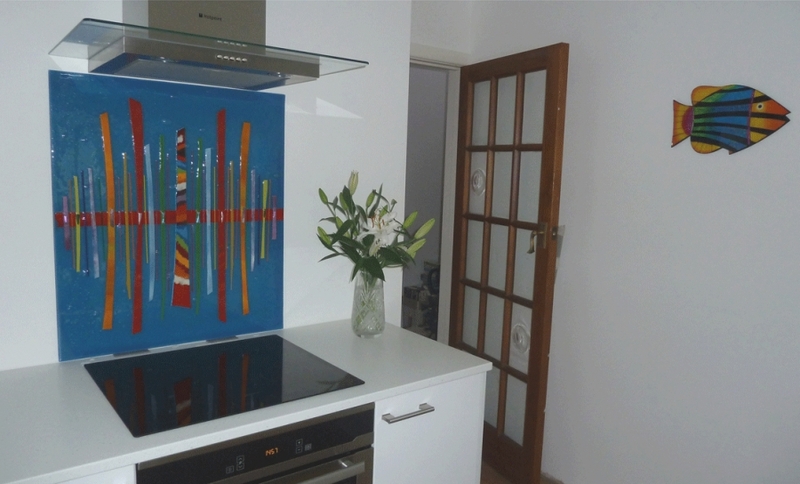 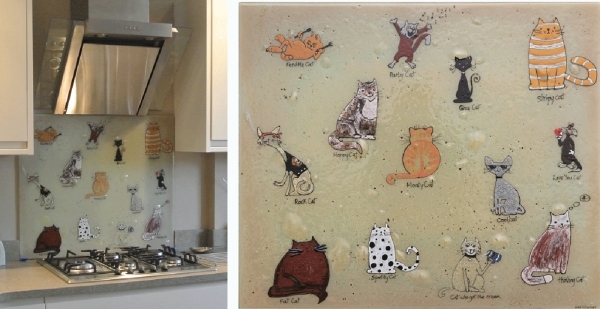 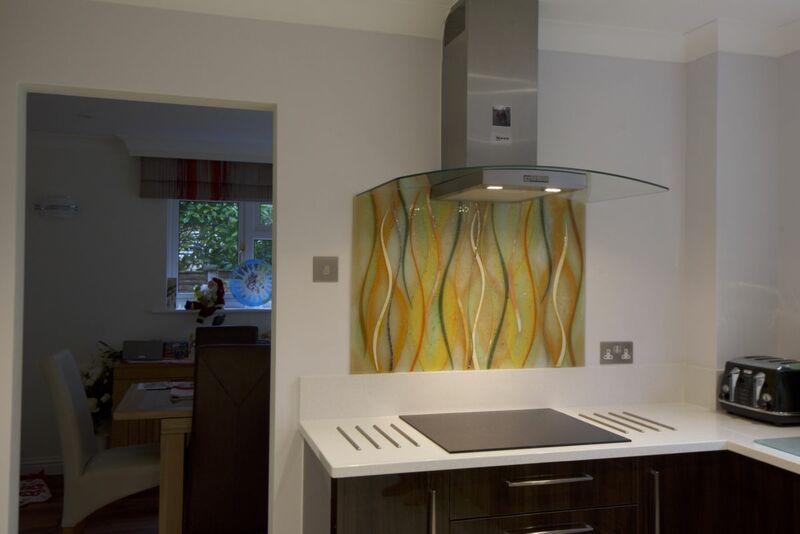 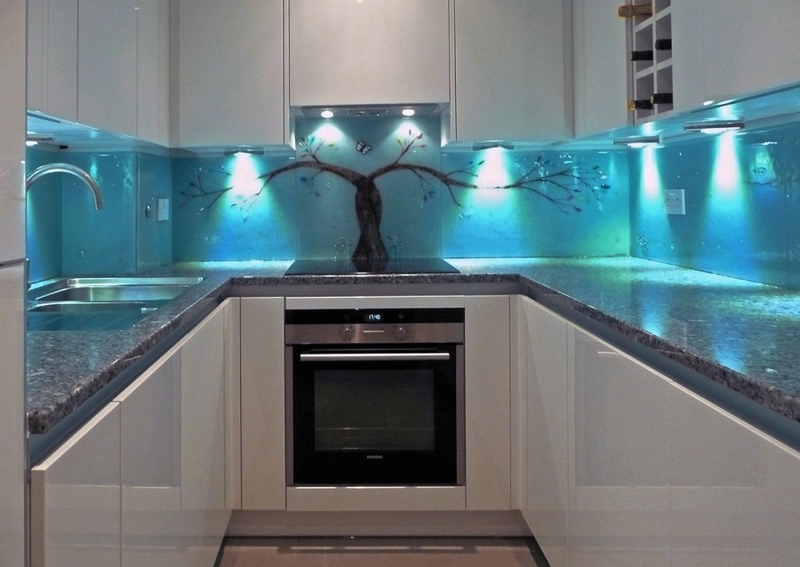 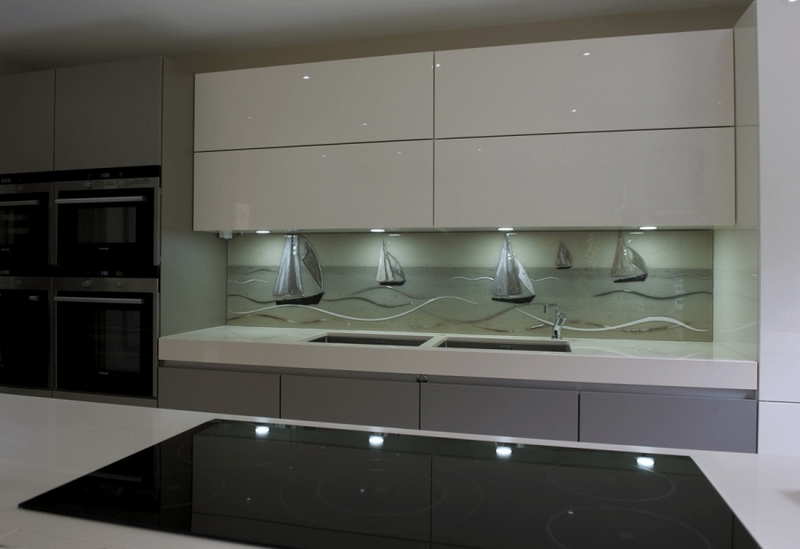 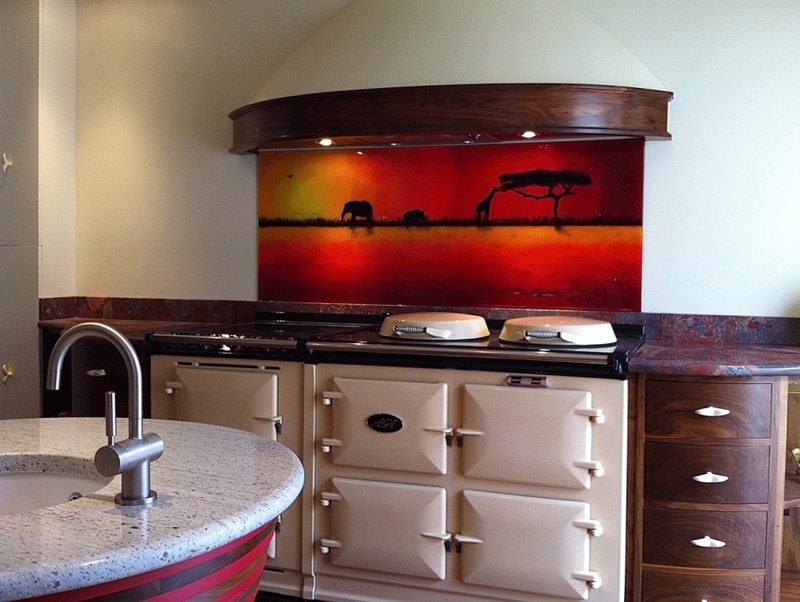 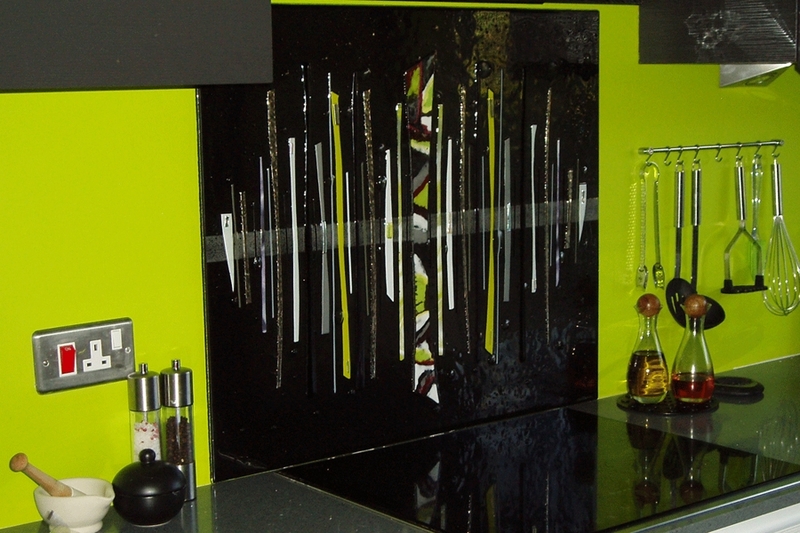 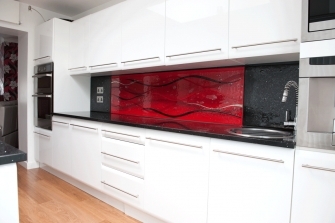 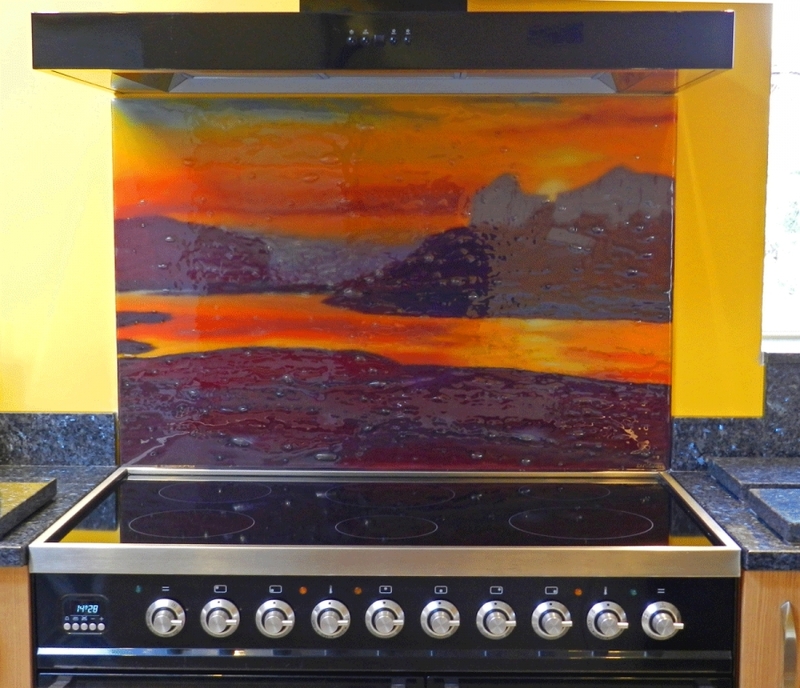 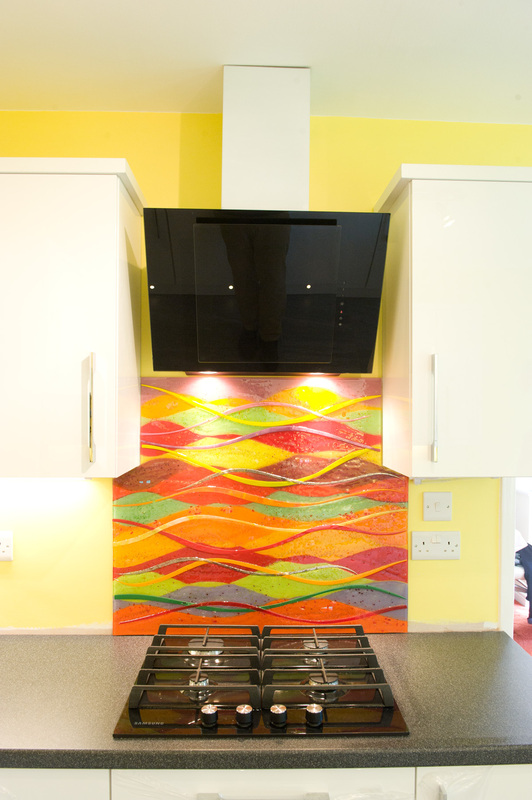 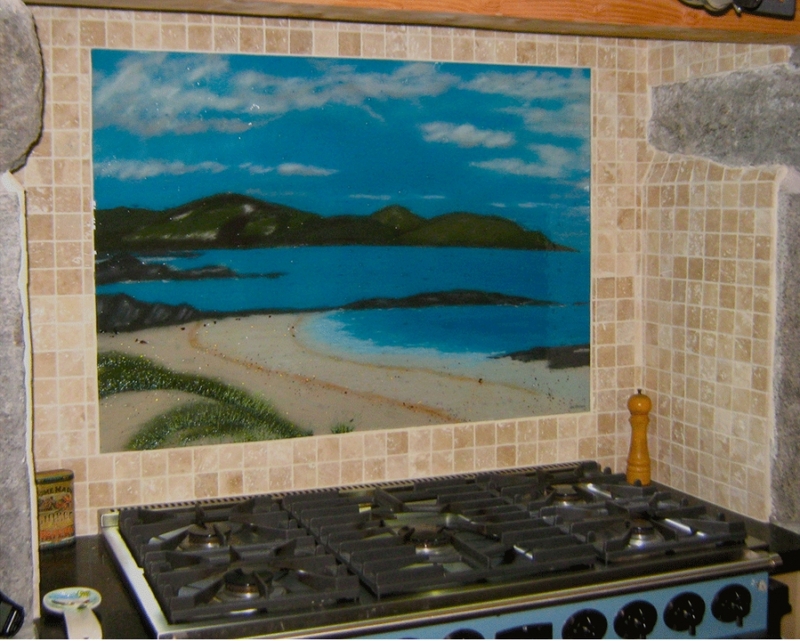 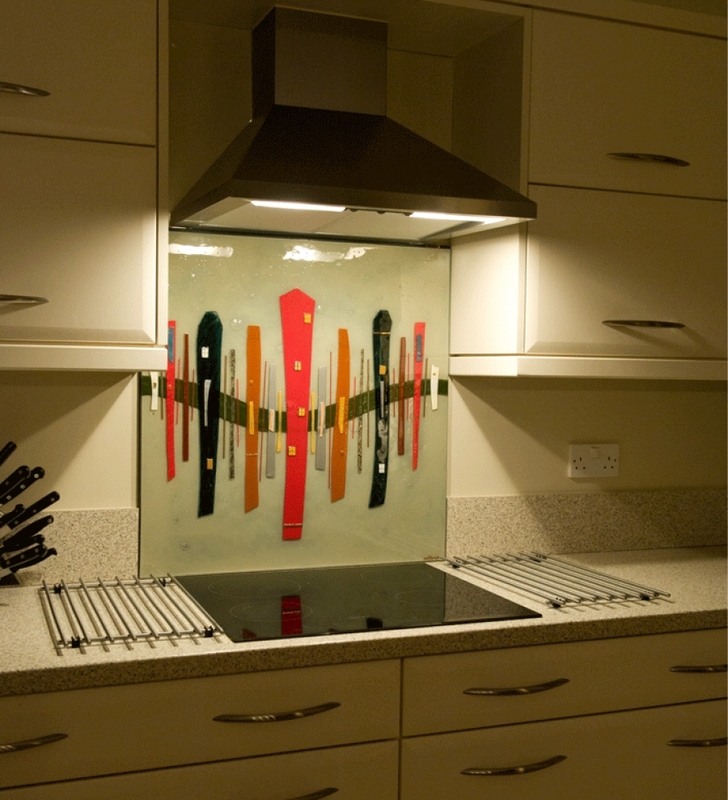 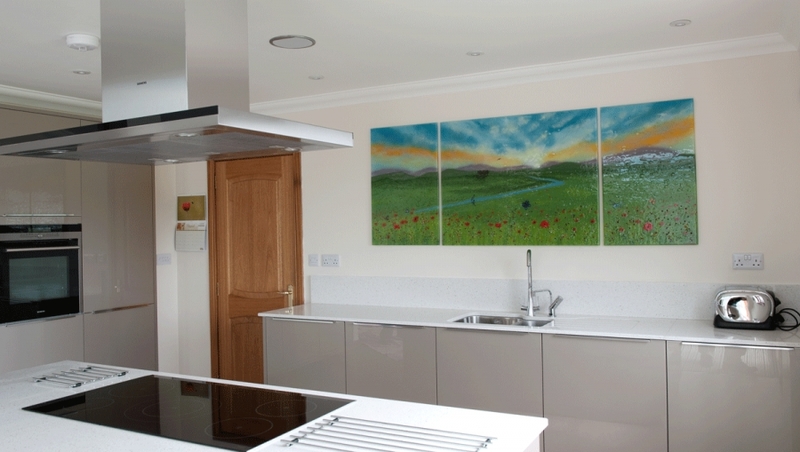 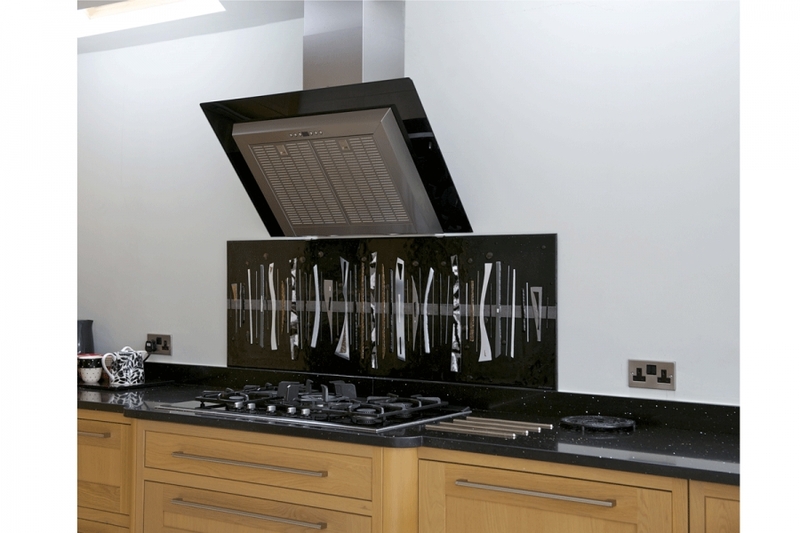 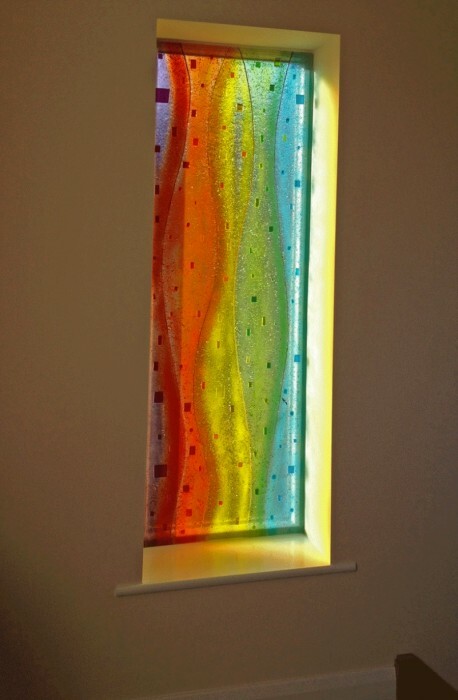 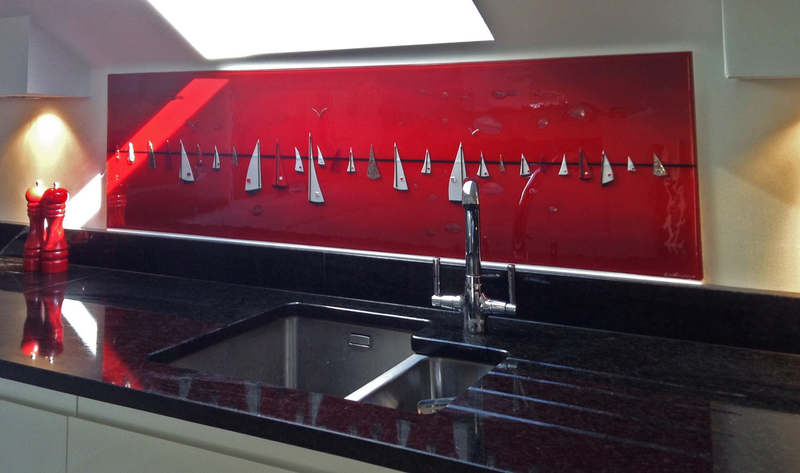 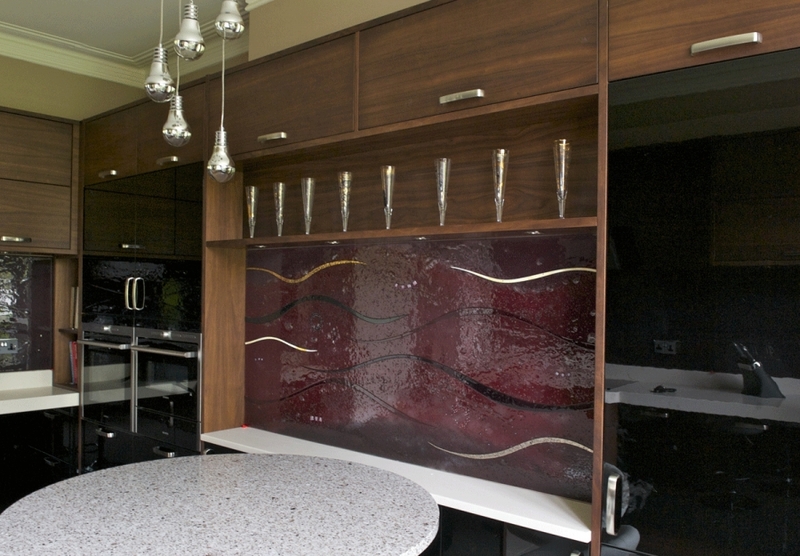 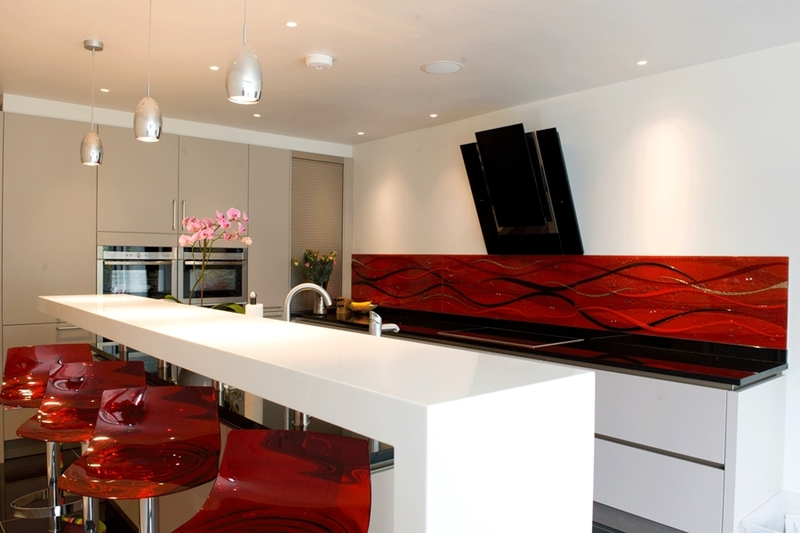 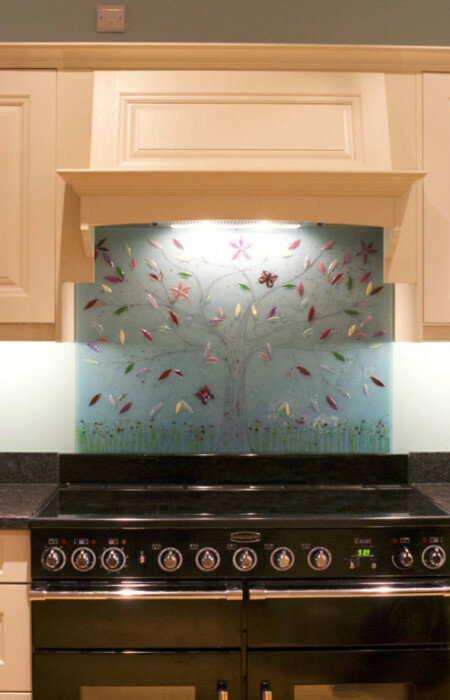 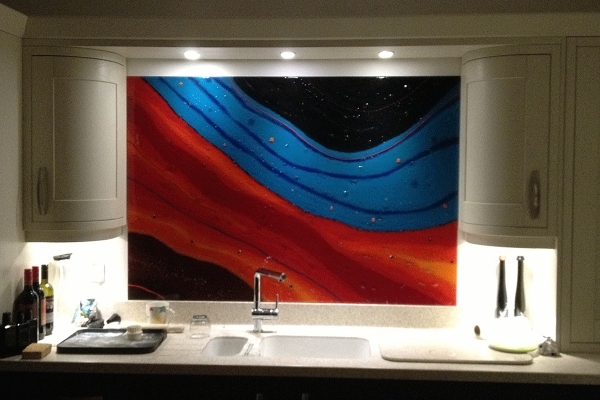 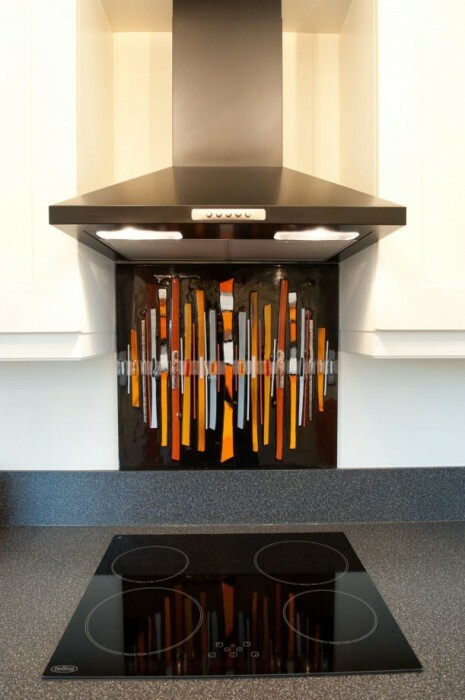 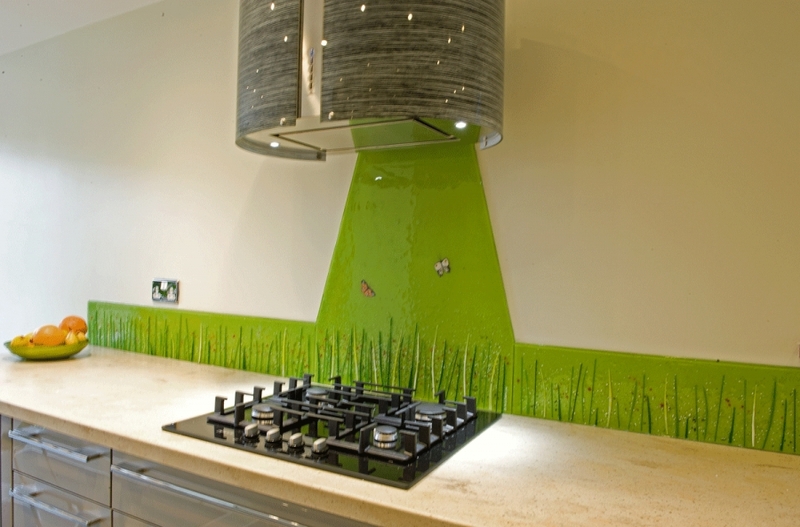 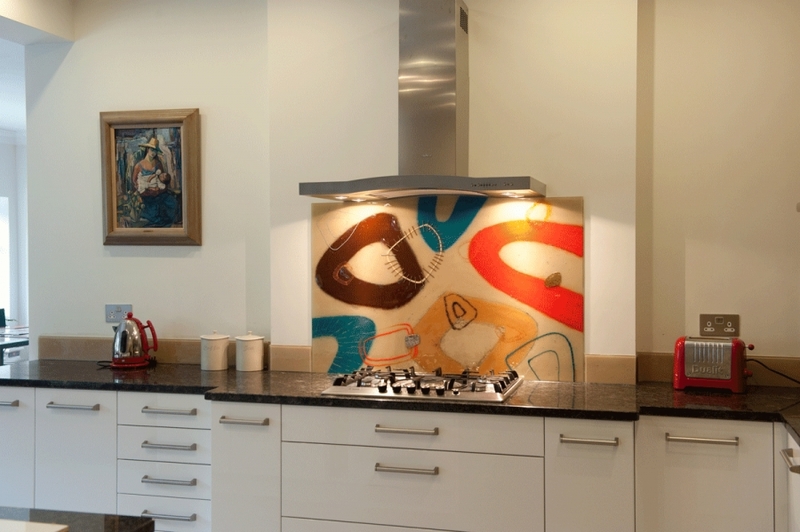 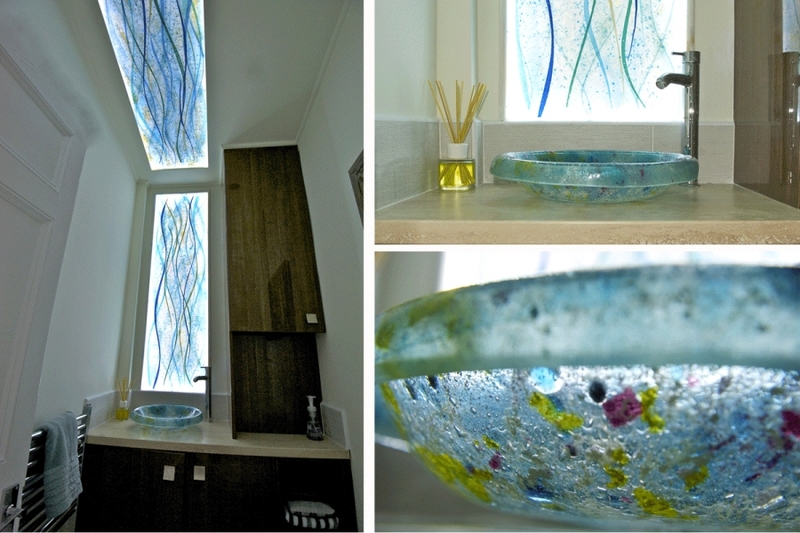 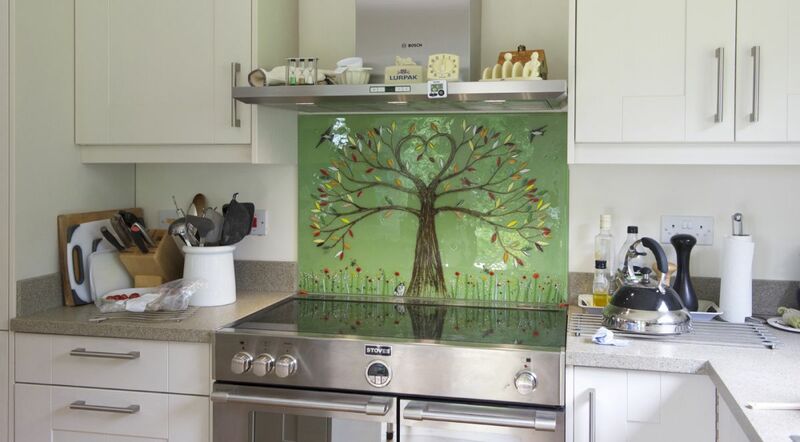 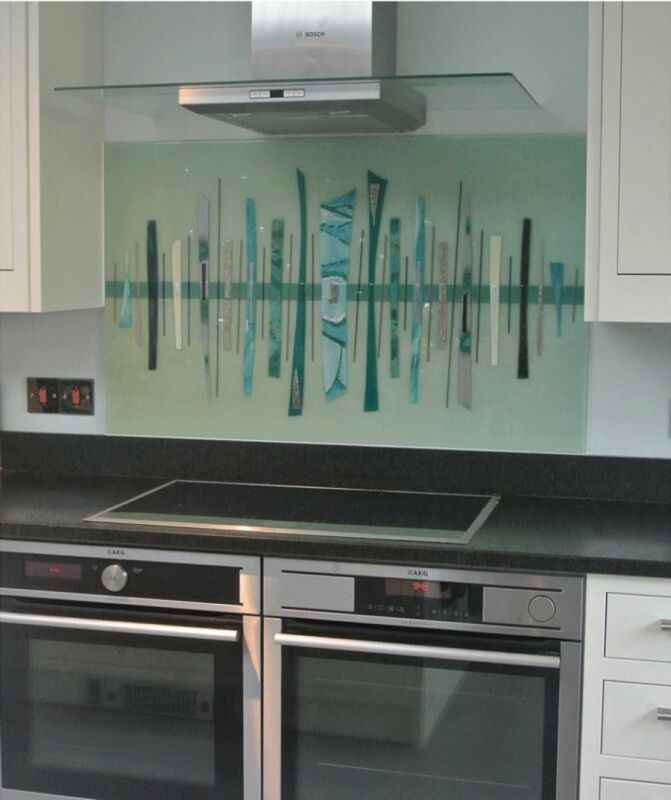 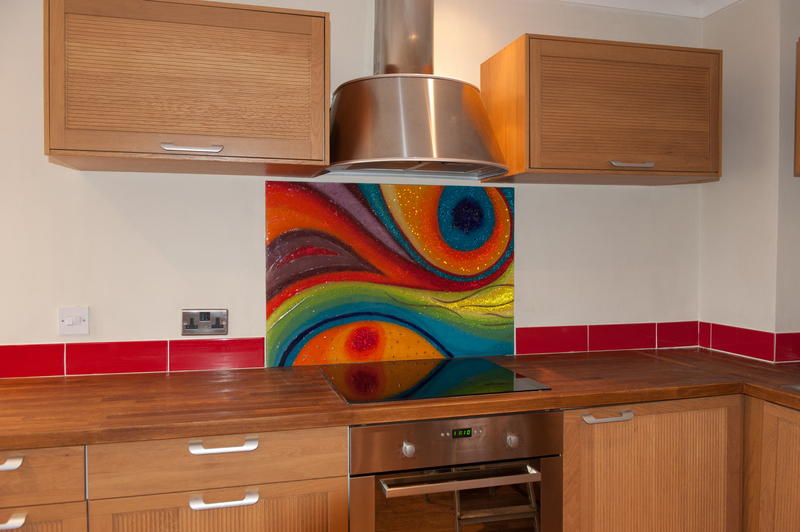 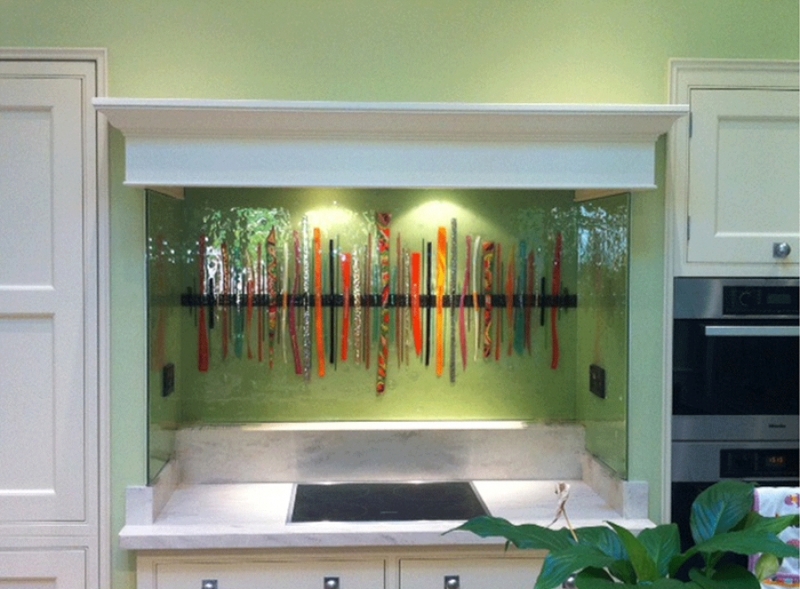 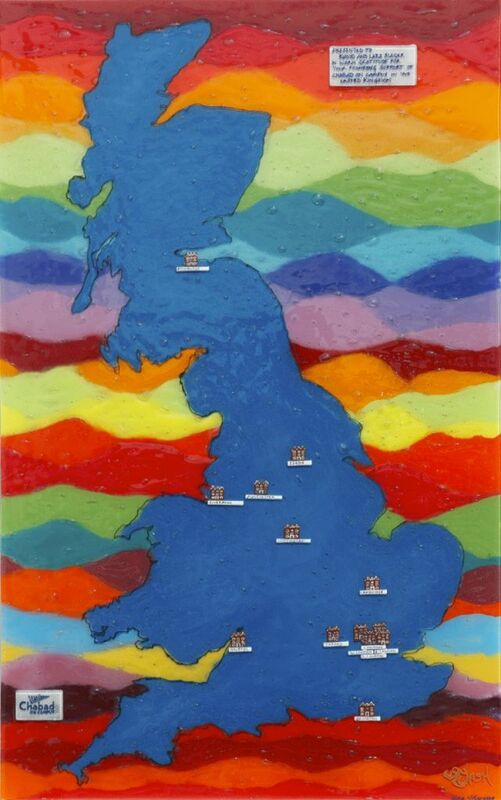 This Dalaman design glass splashback was designed for a kitchen and features colours that mimic the sea. 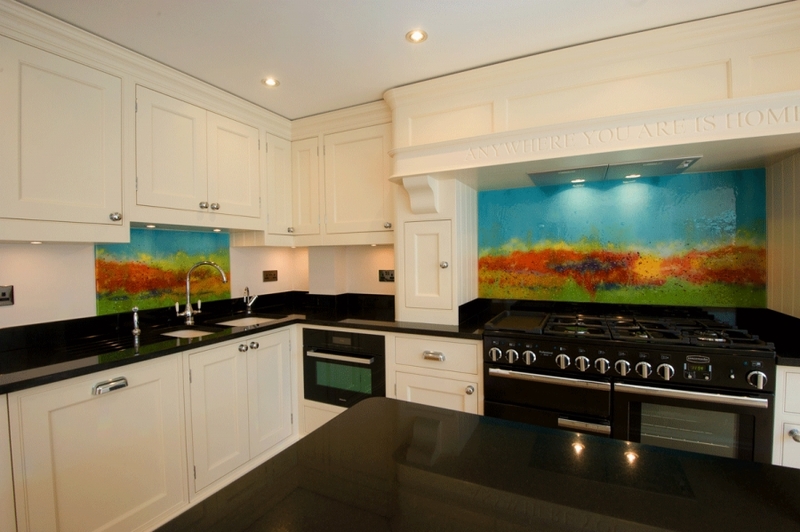 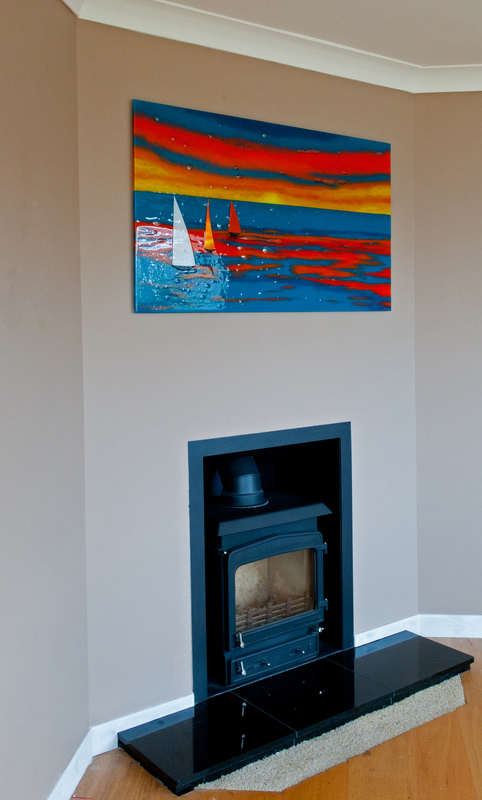 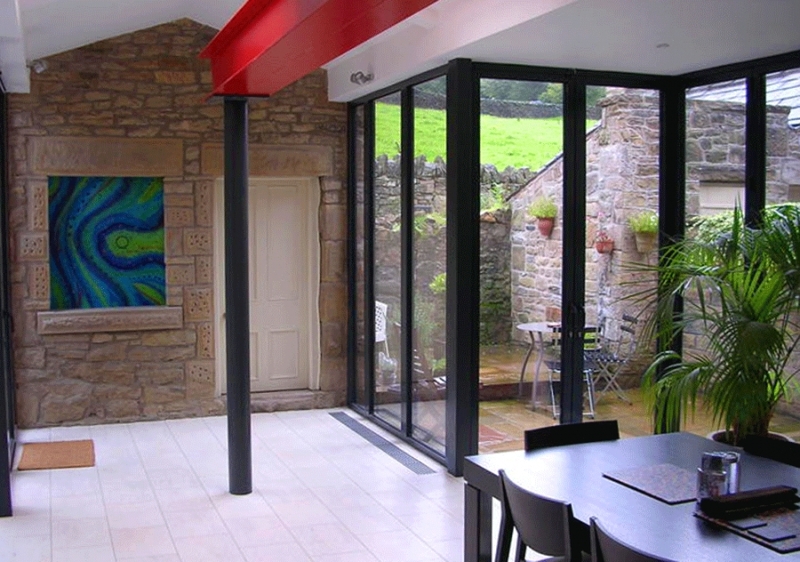 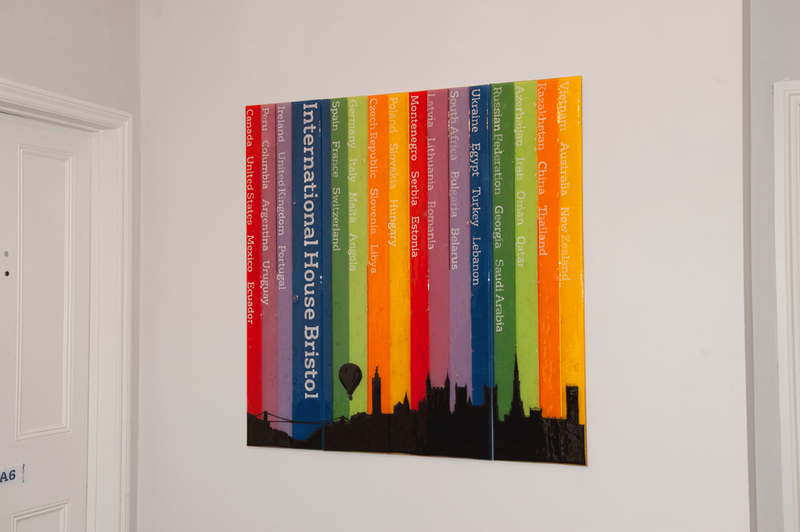 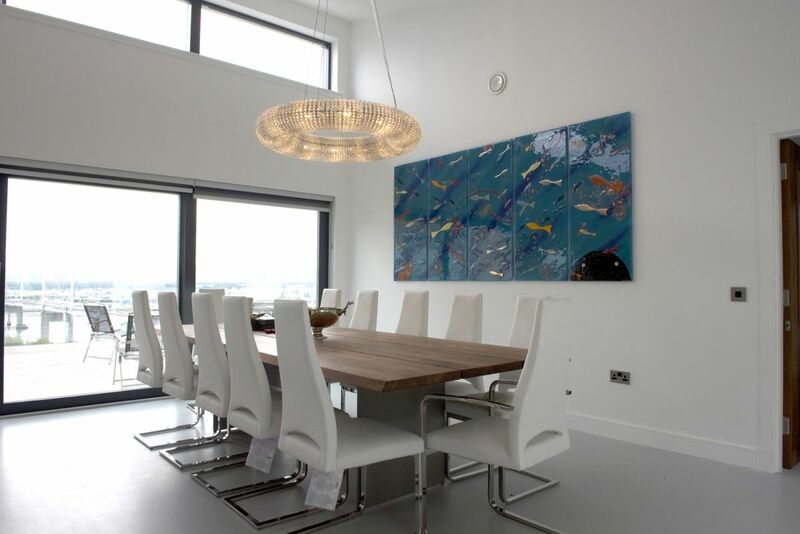 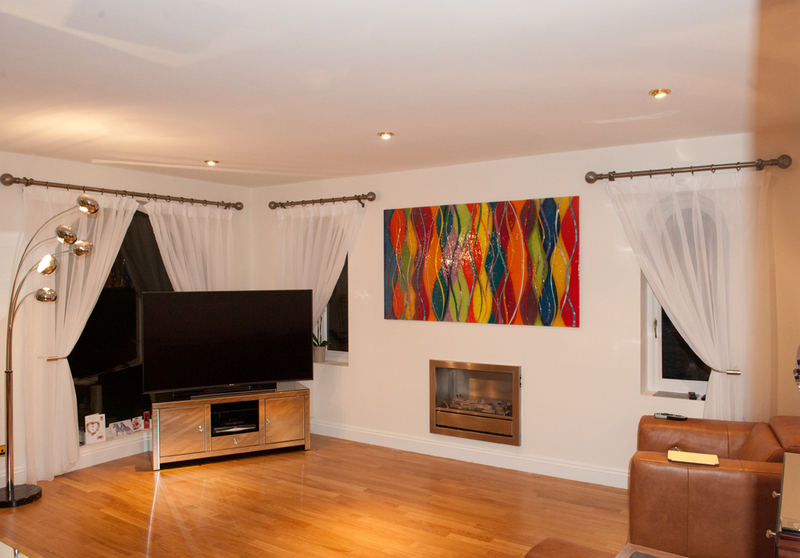 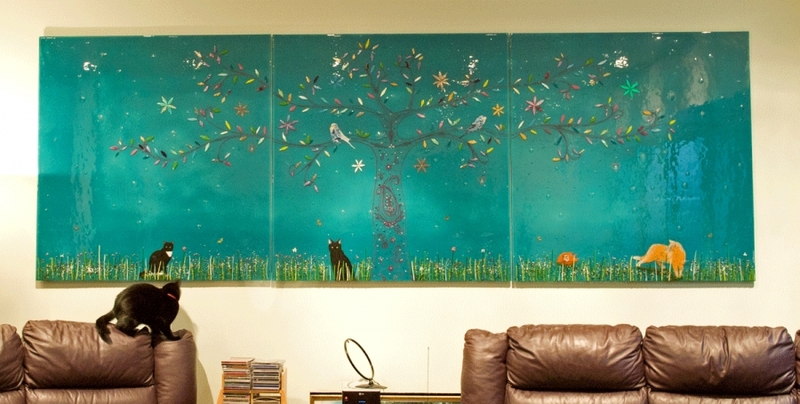 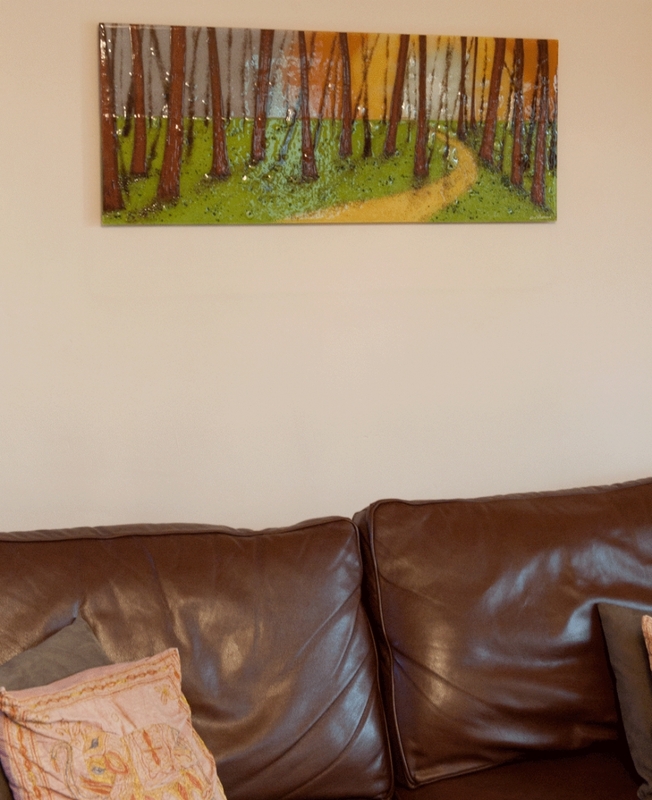 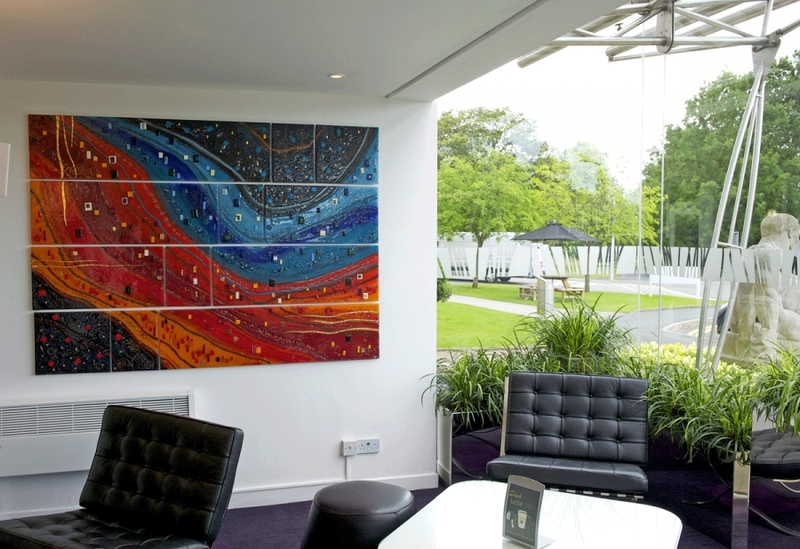 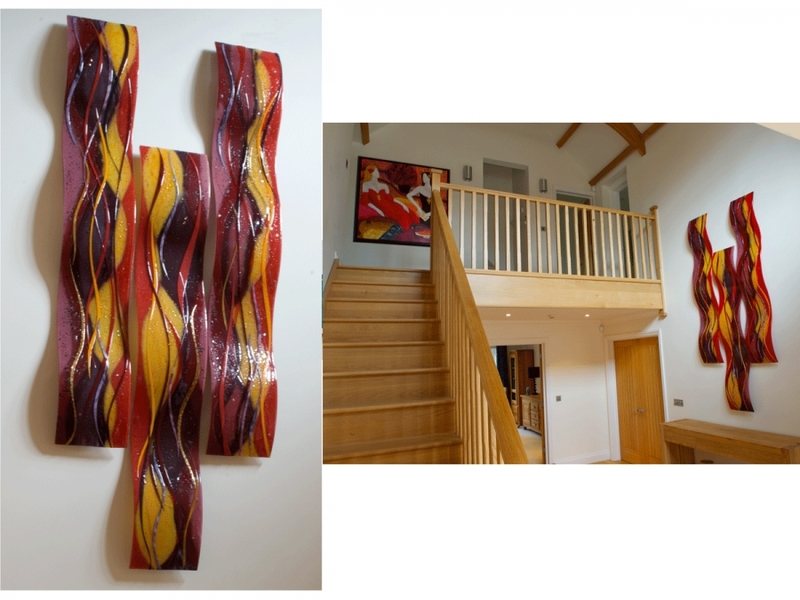 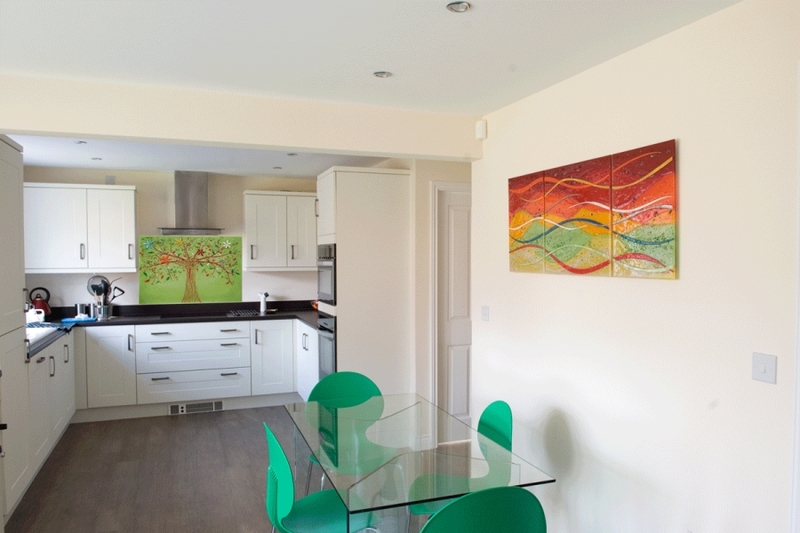 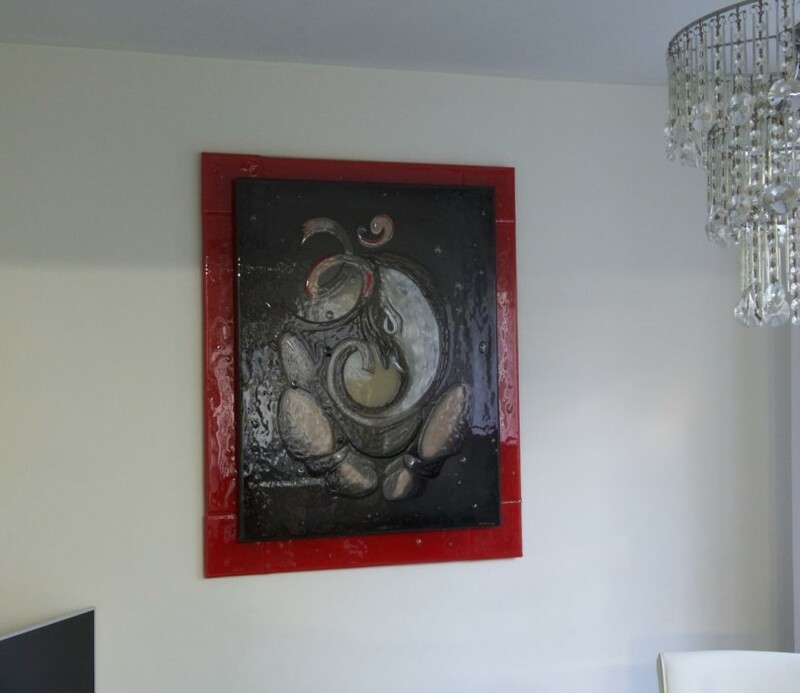 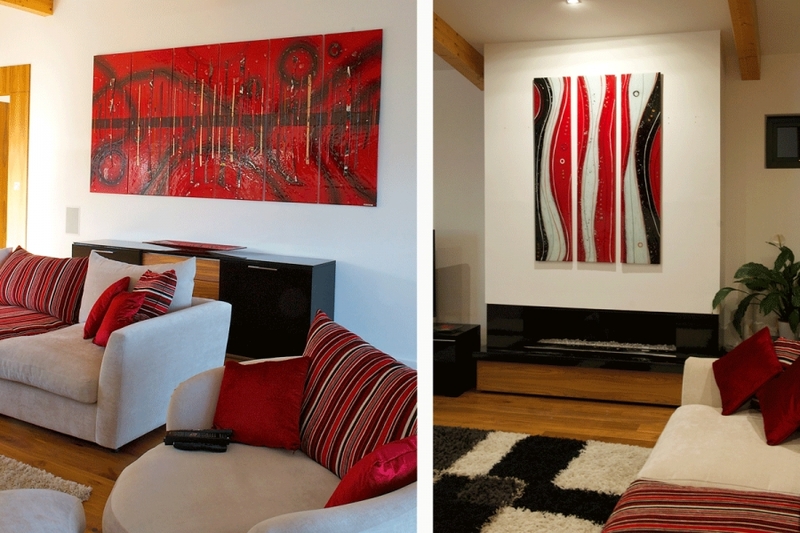 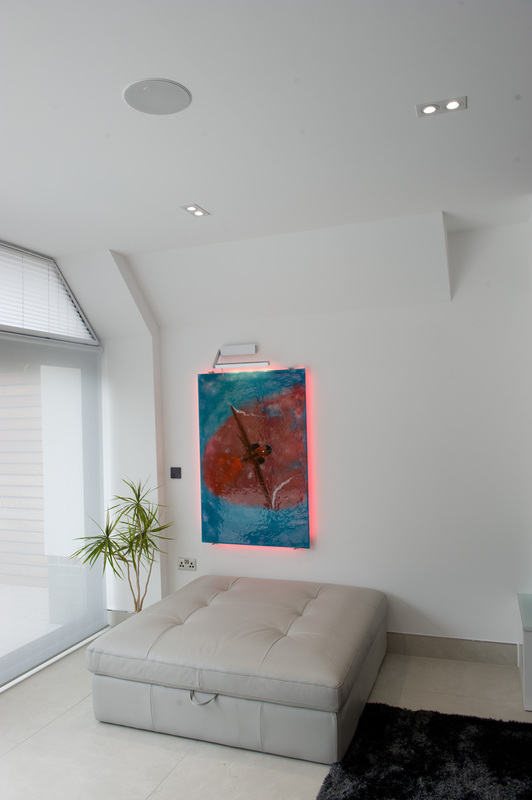 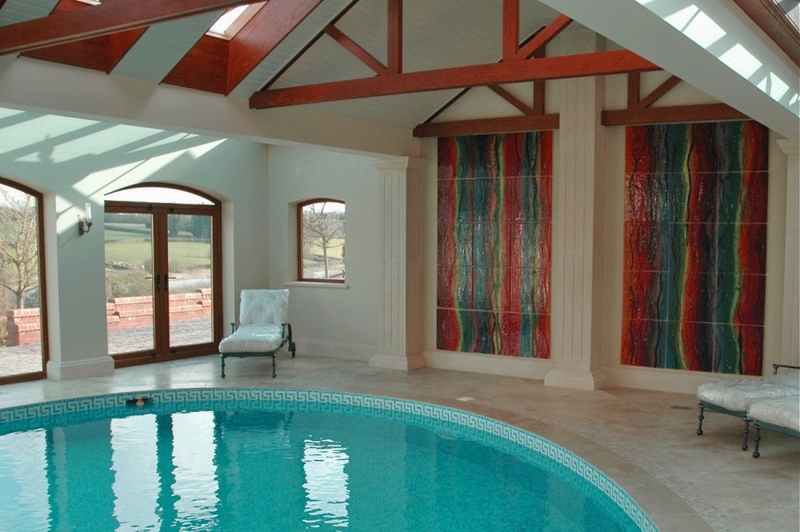 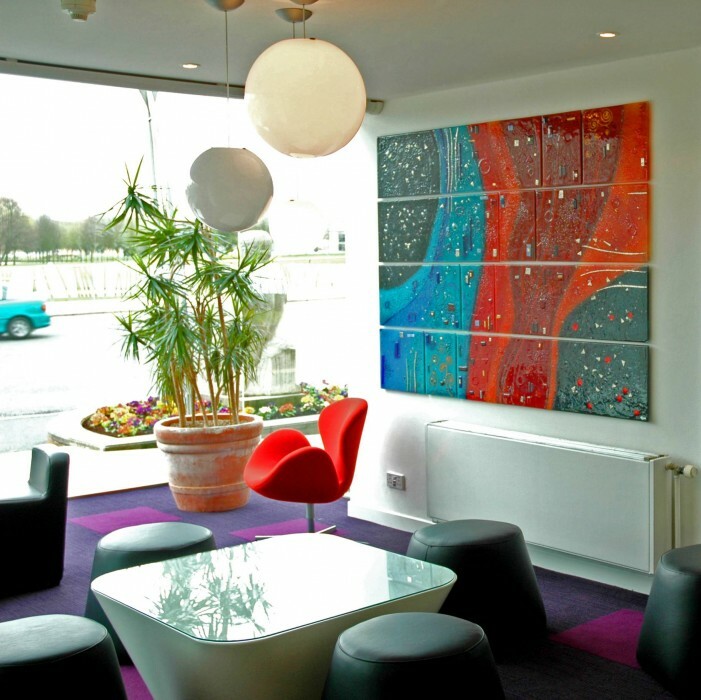 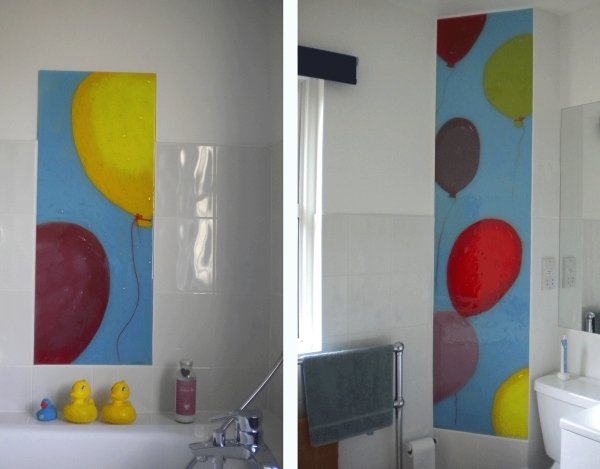 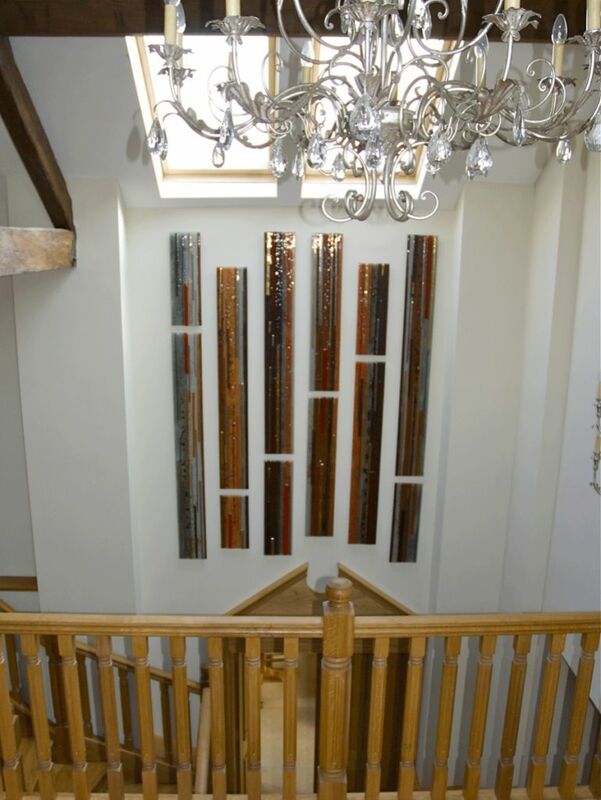 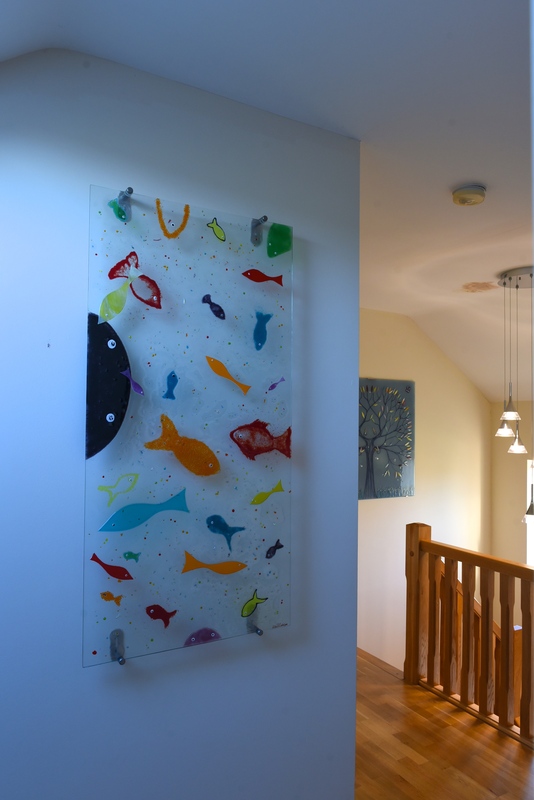 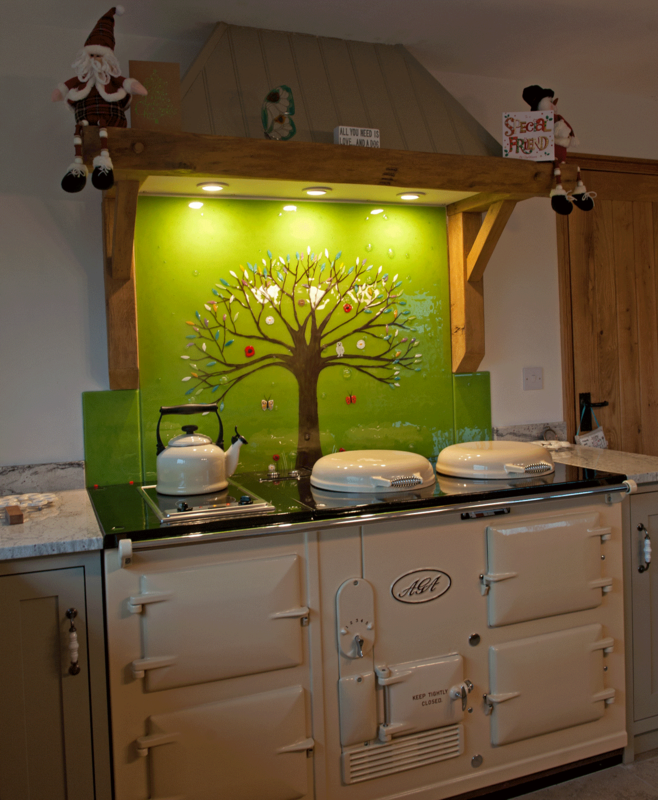 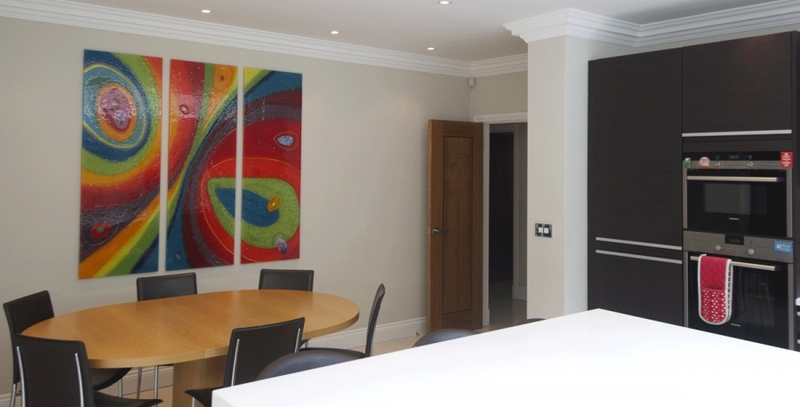 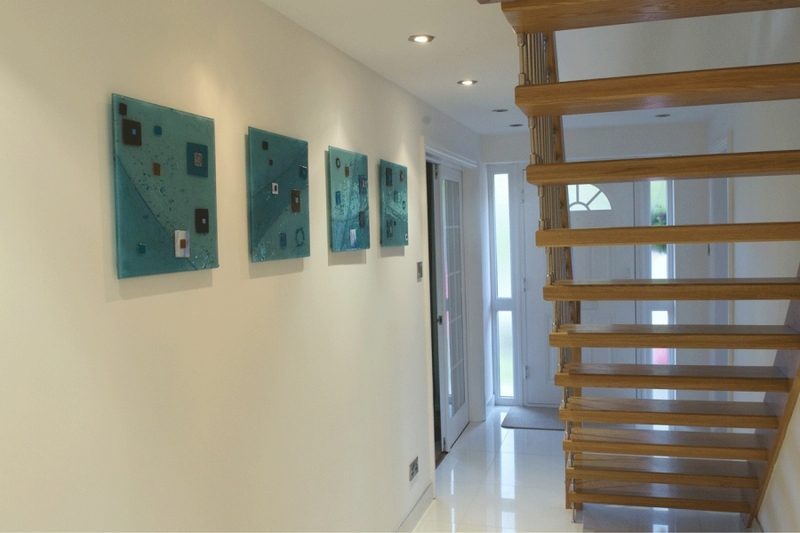 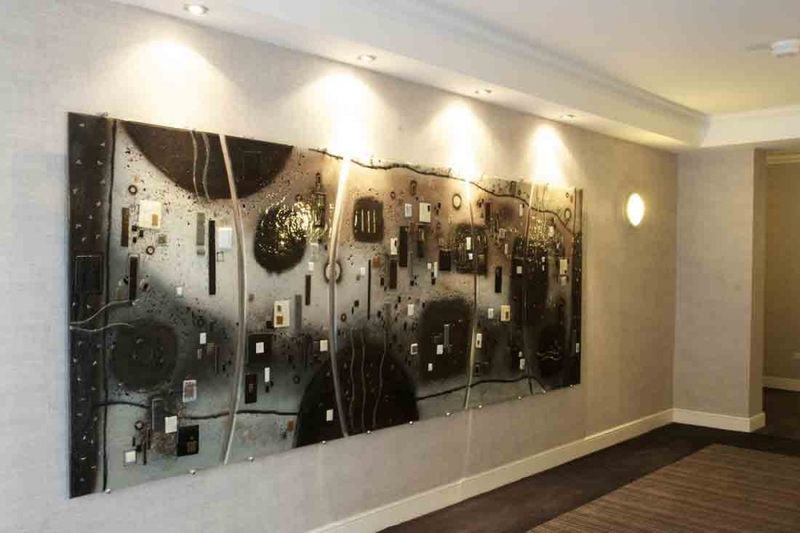 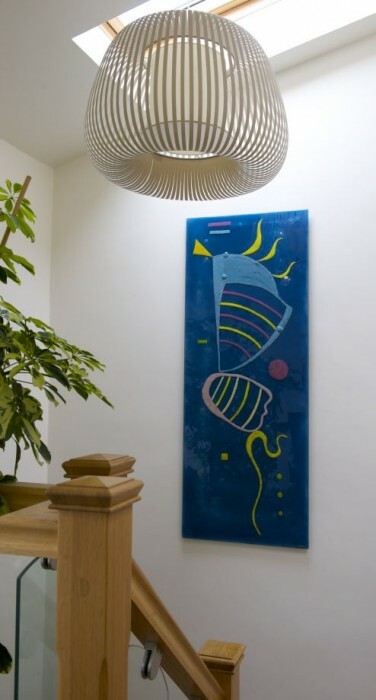 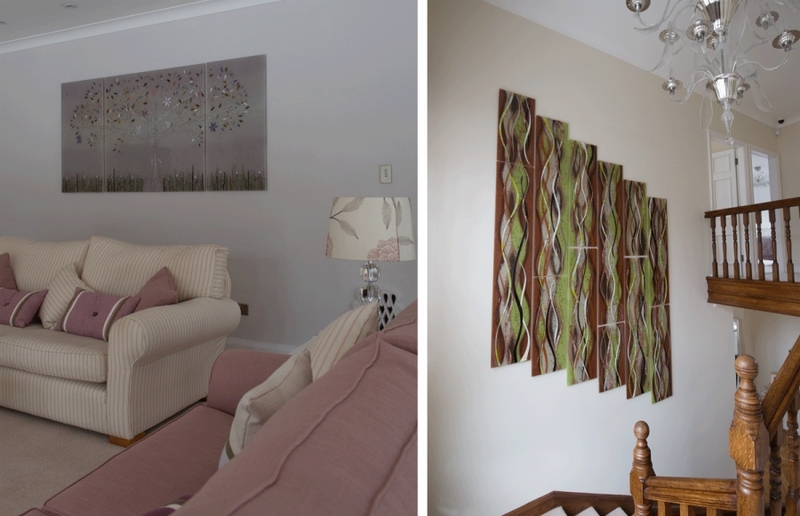 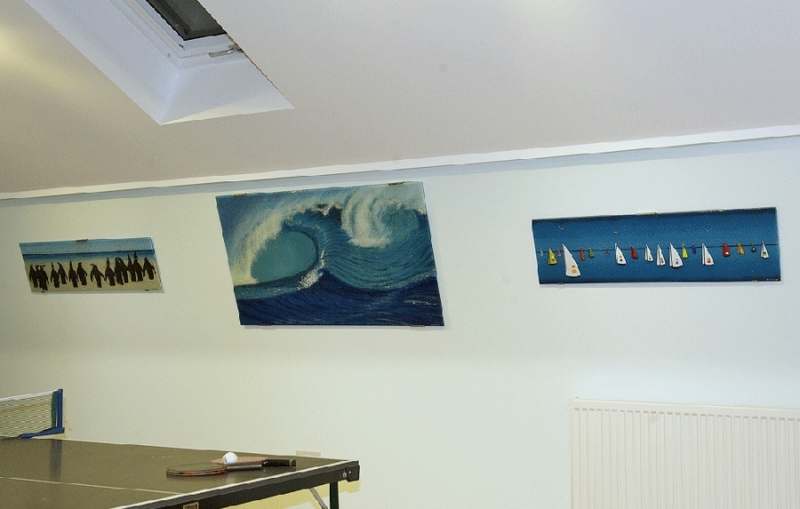 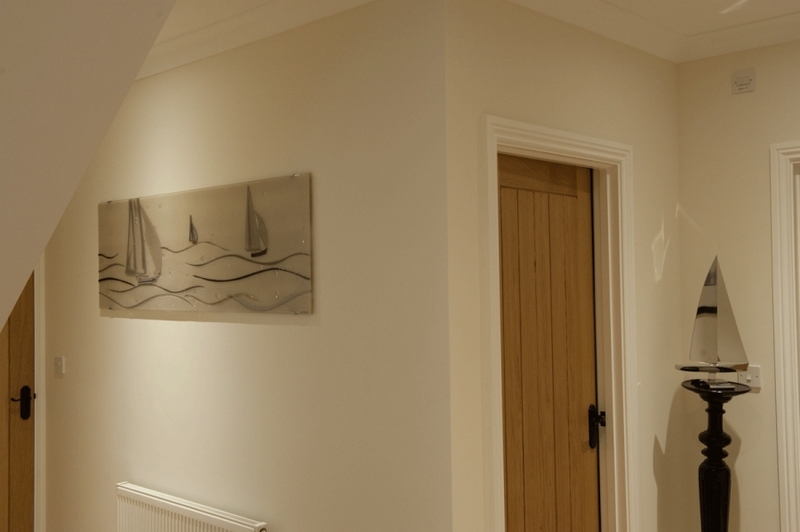 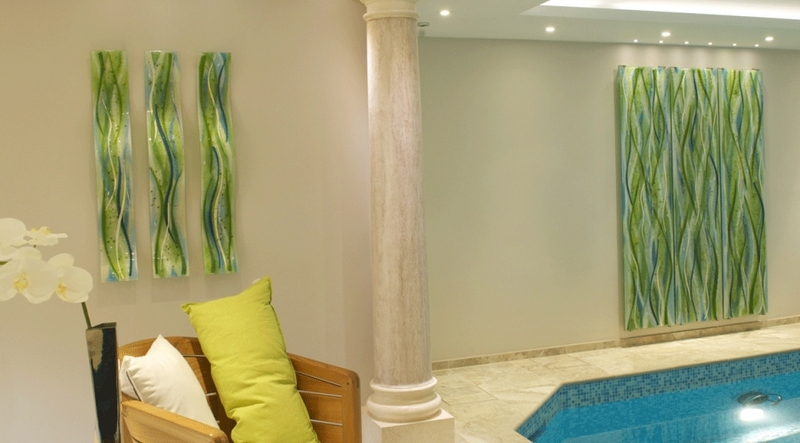 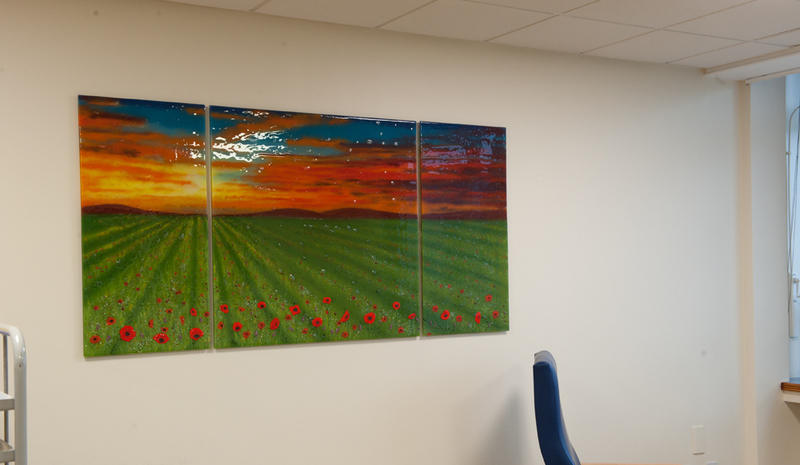 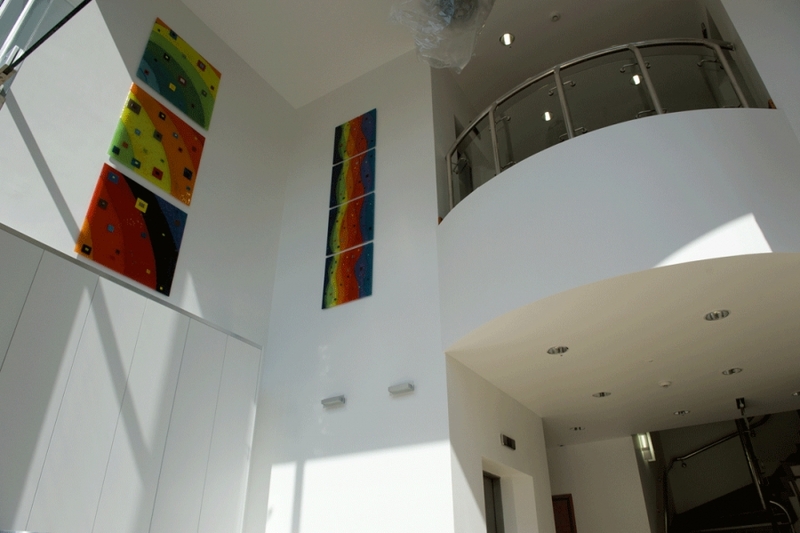 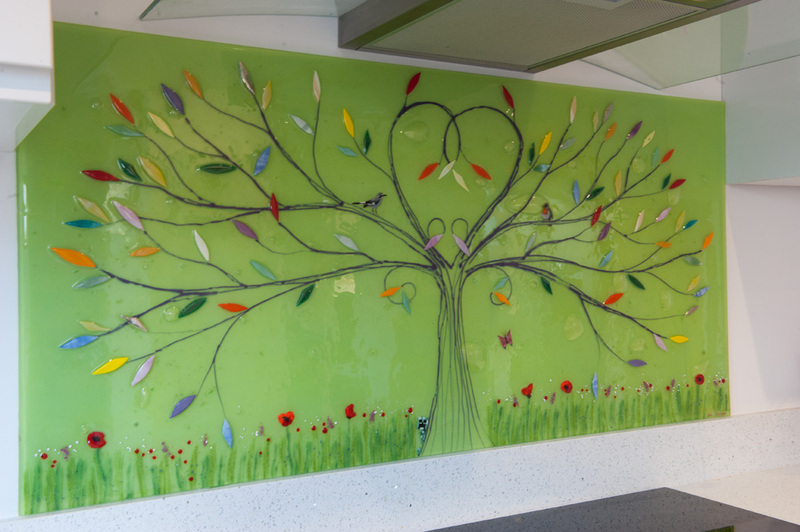 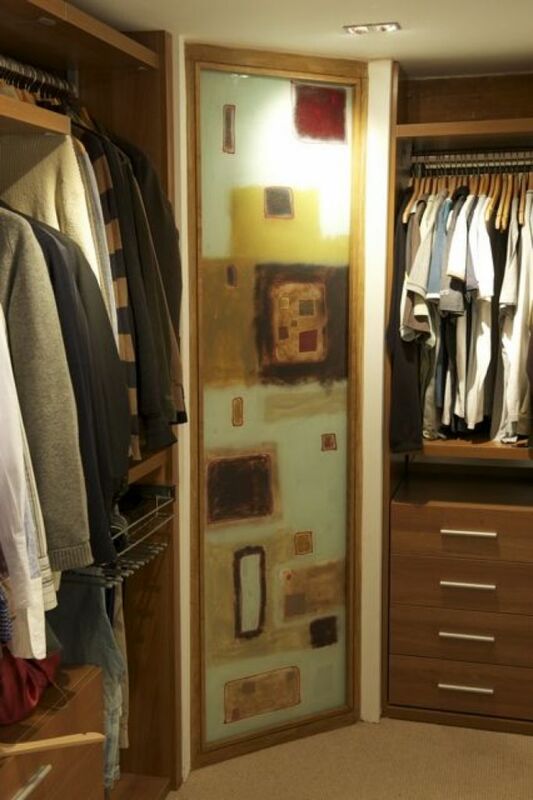 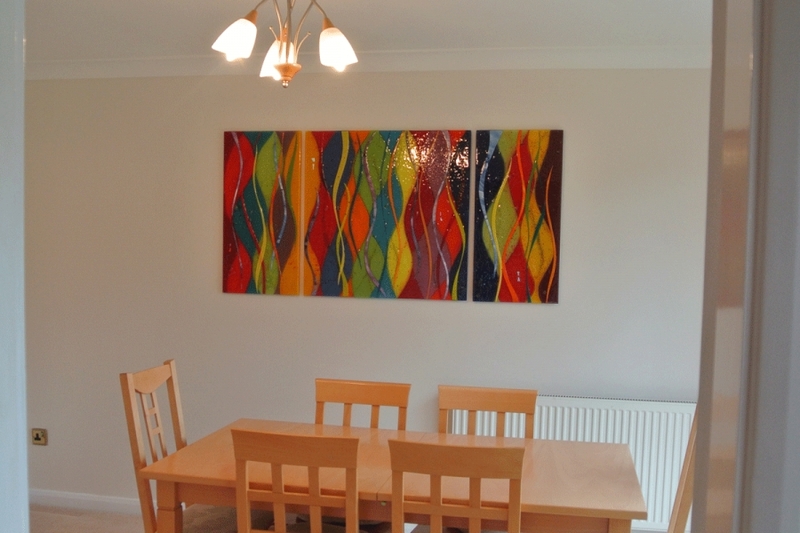 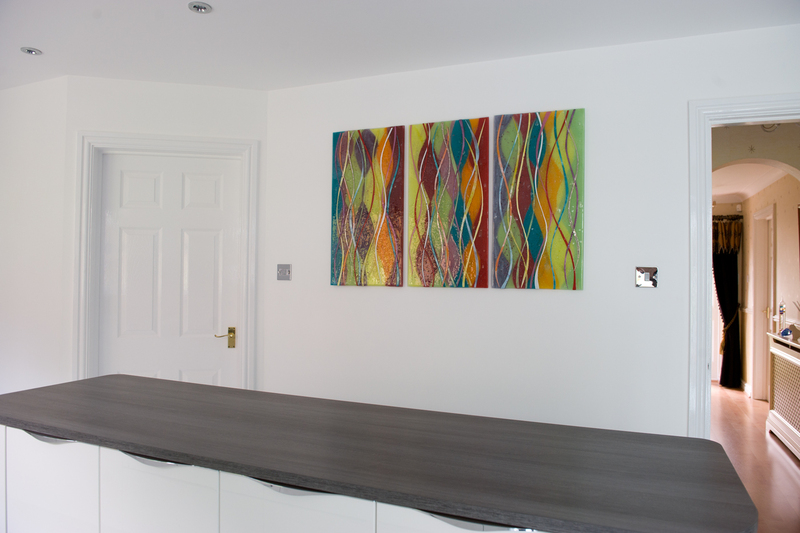 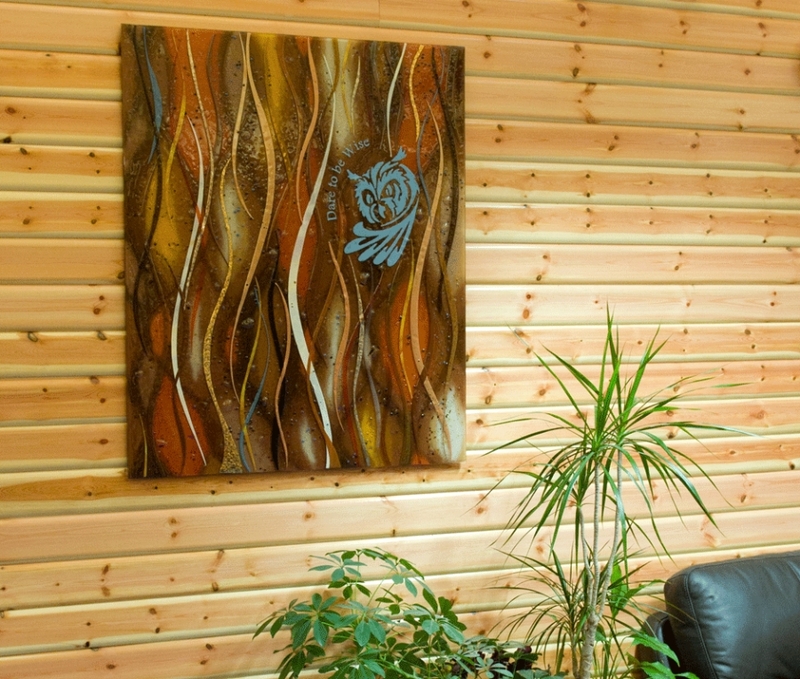 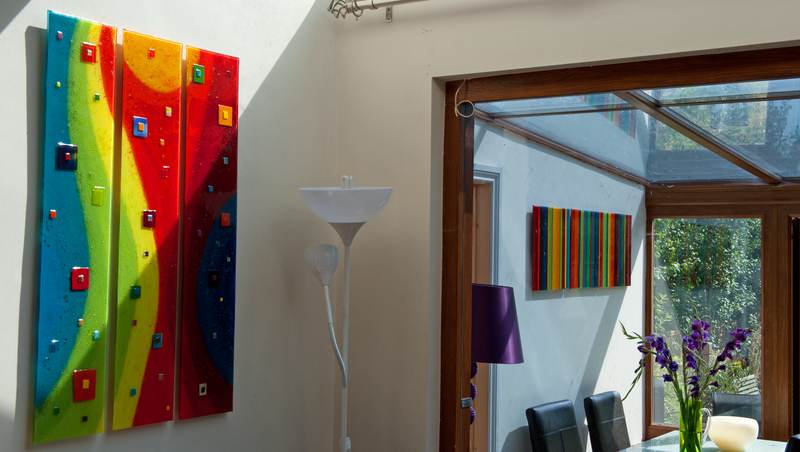 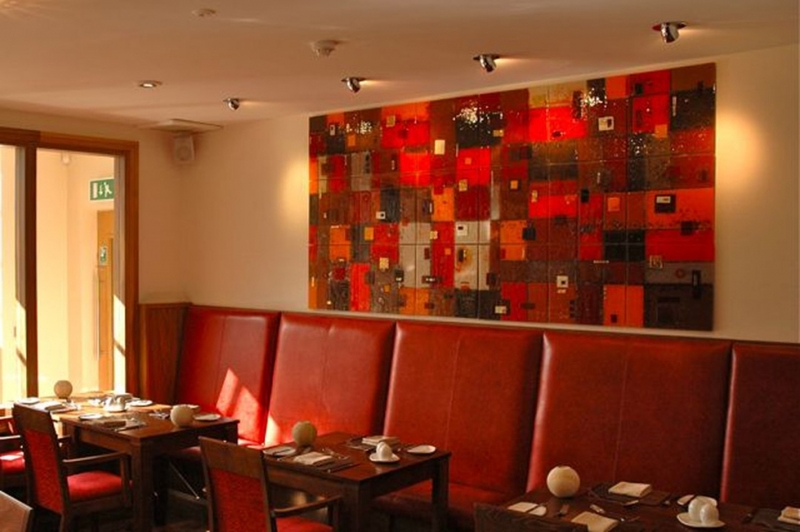 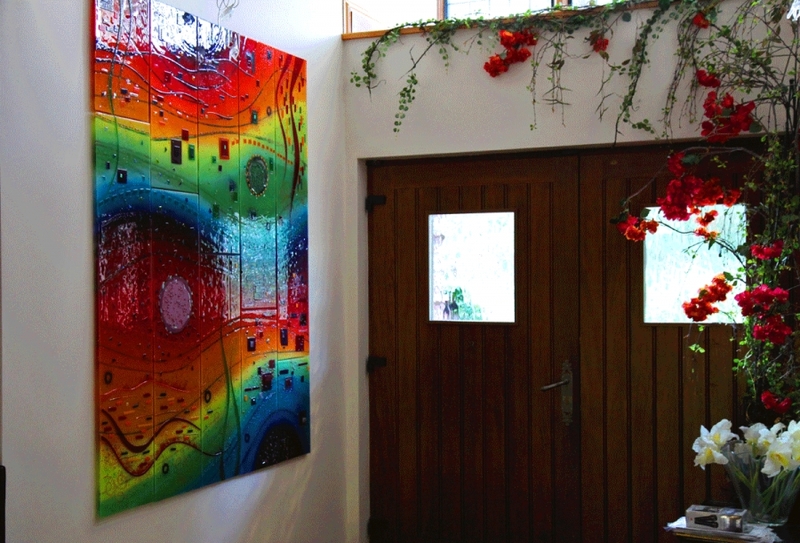 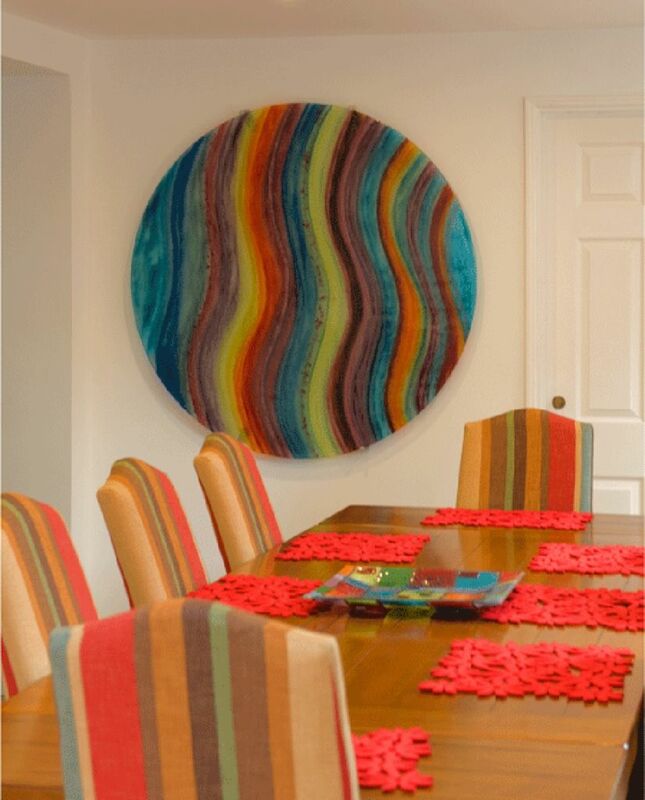 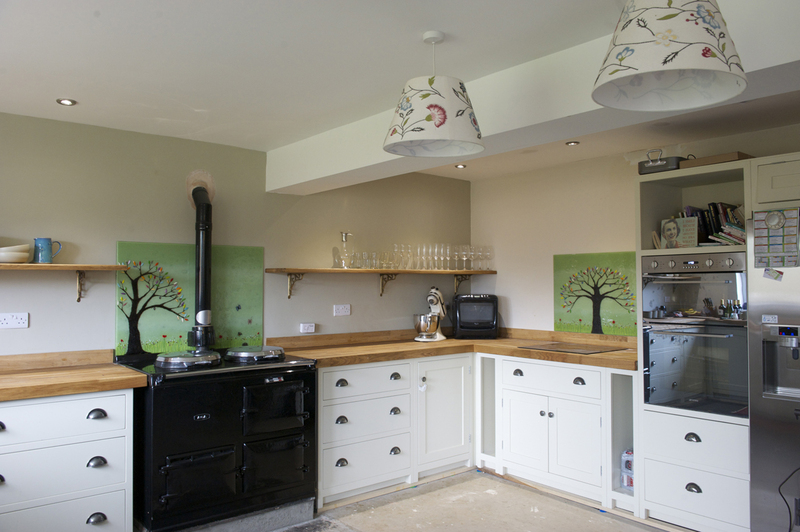 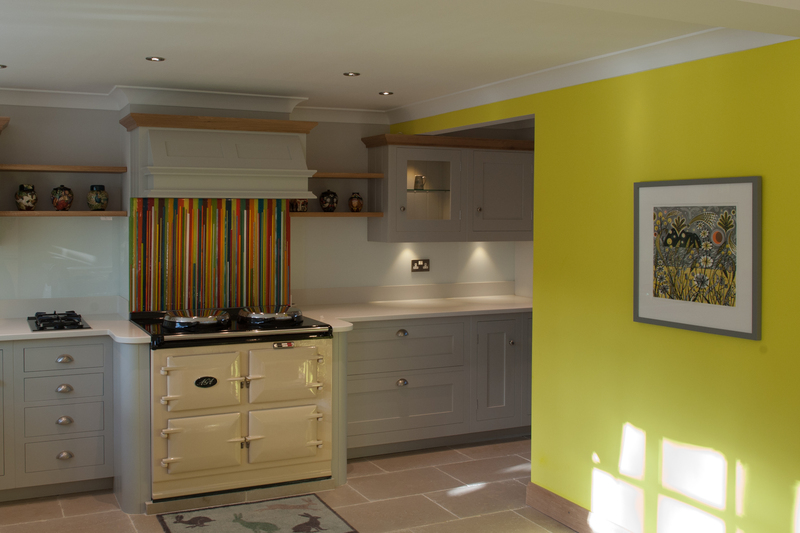 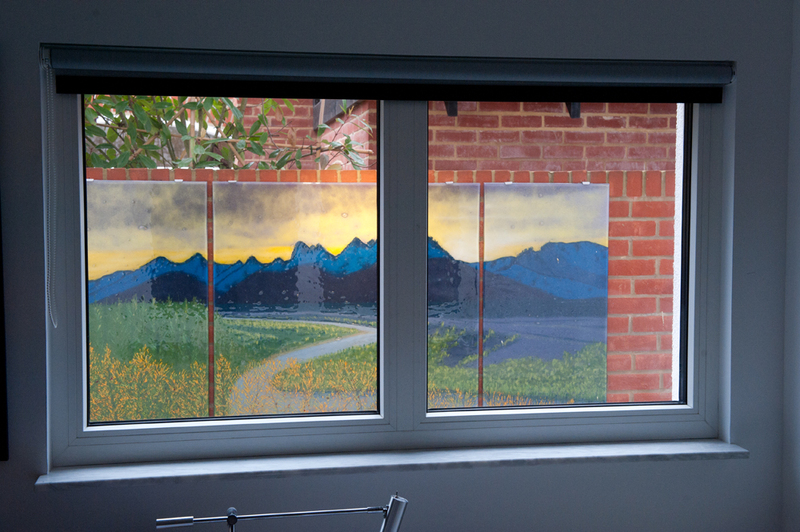 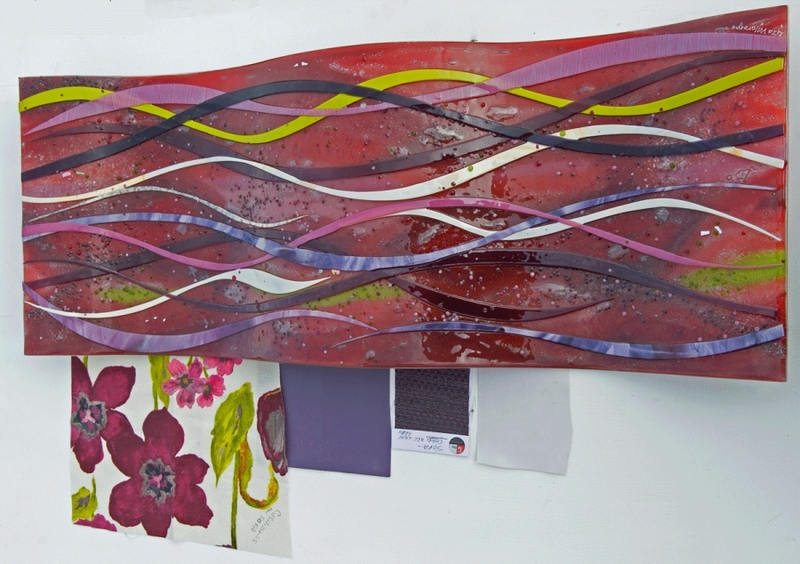 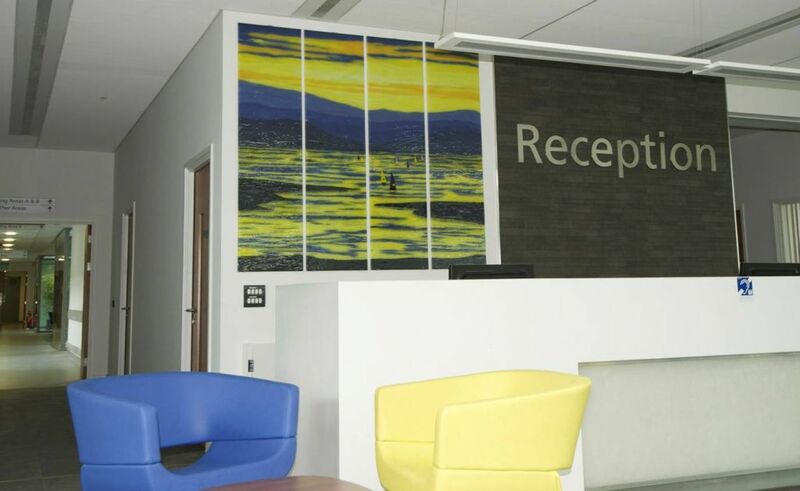 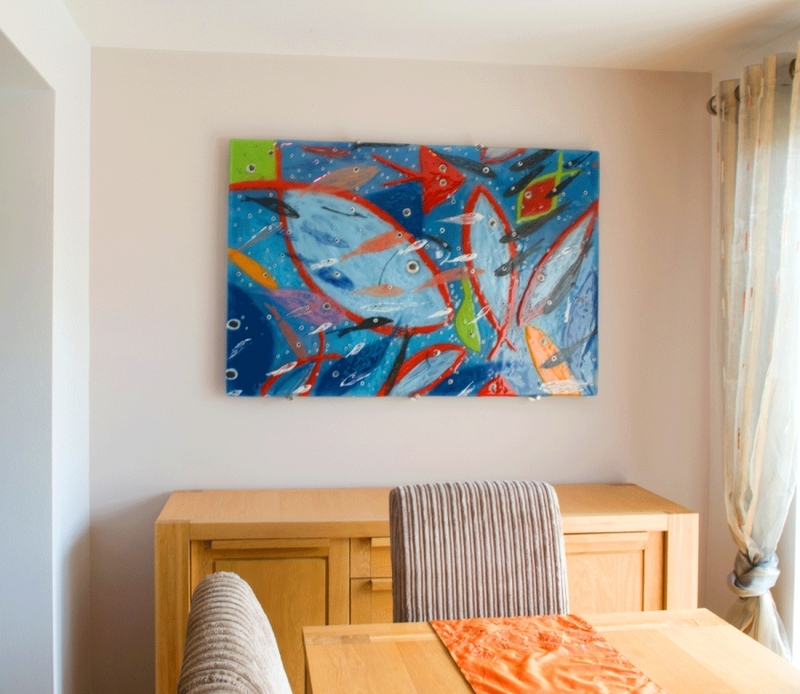 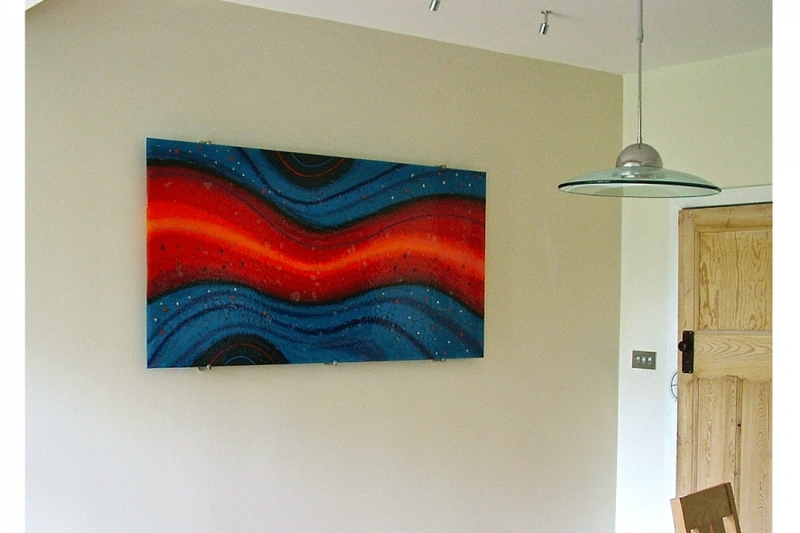 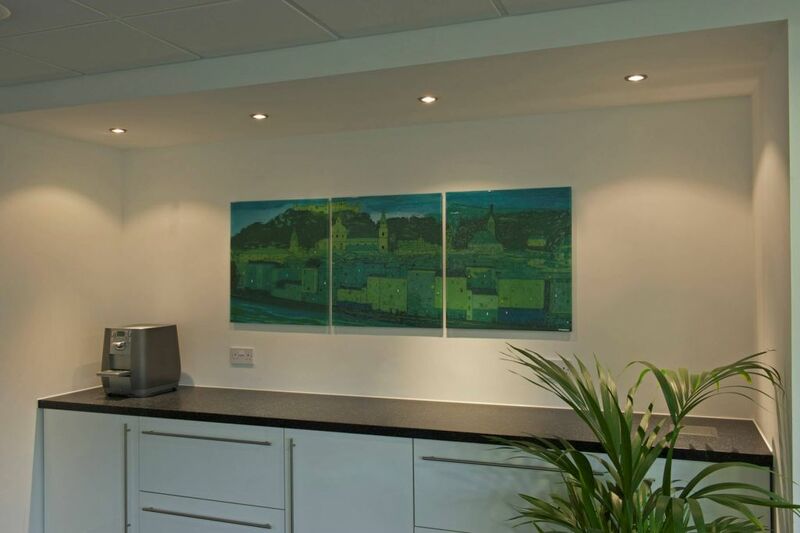 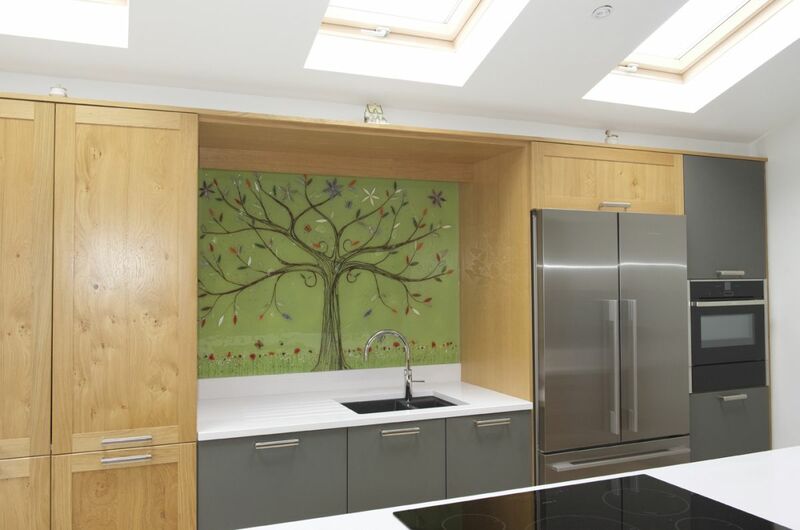 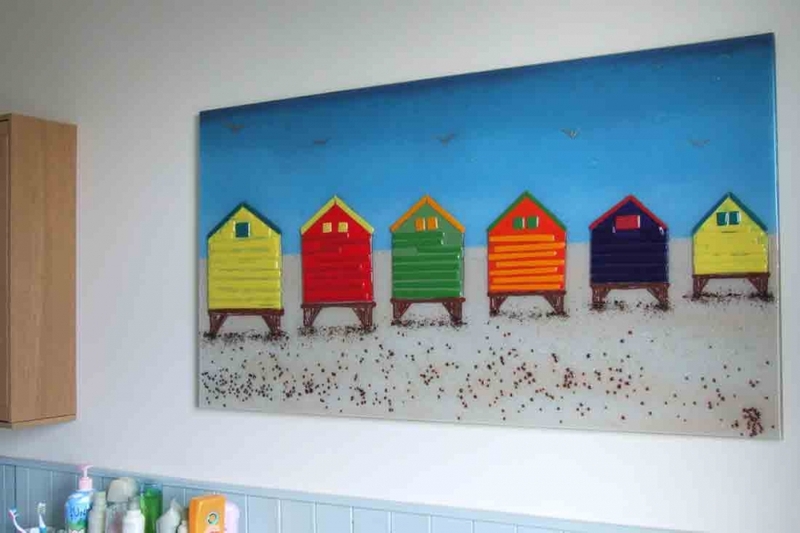 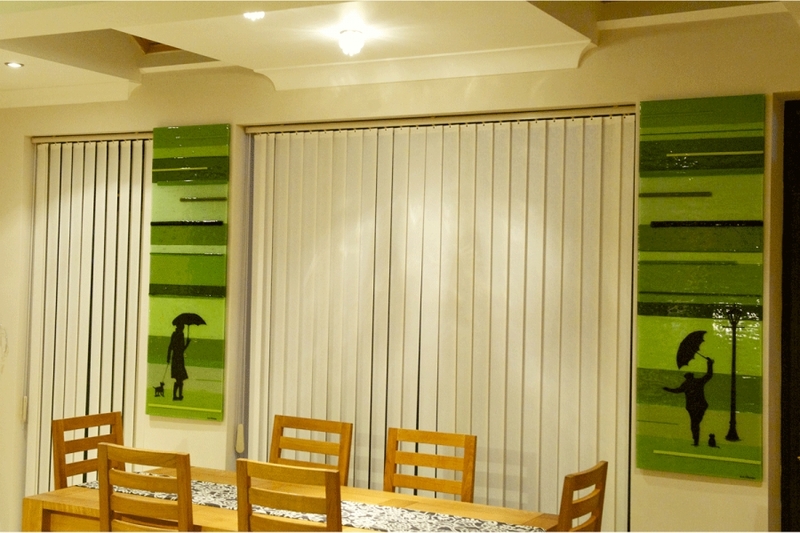 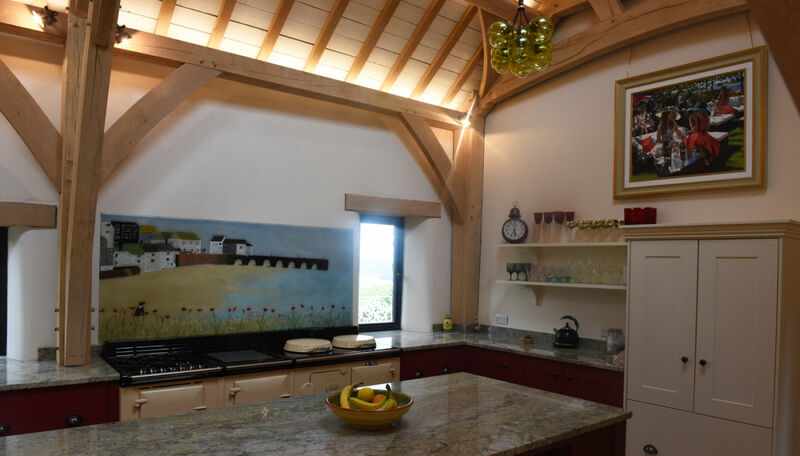 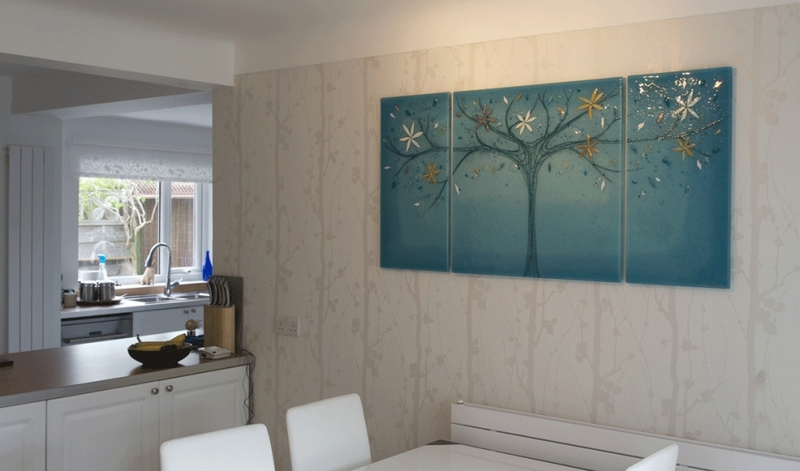 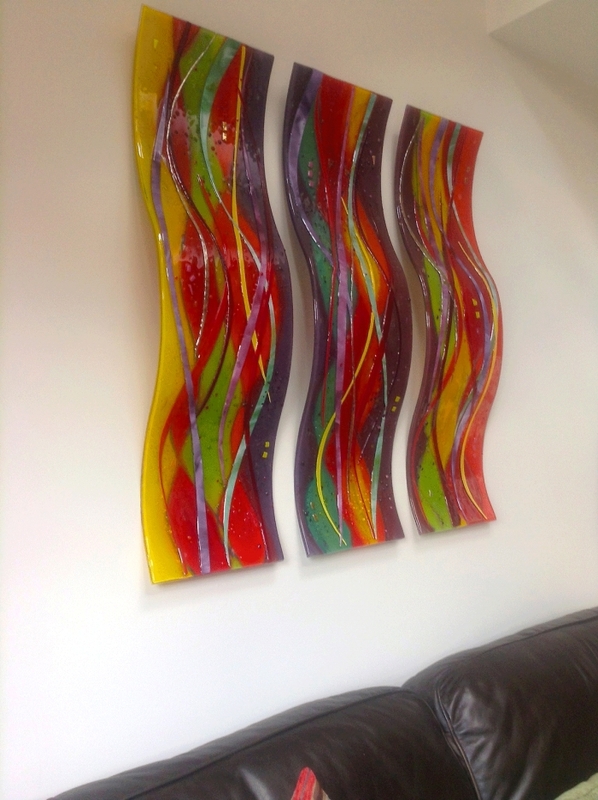 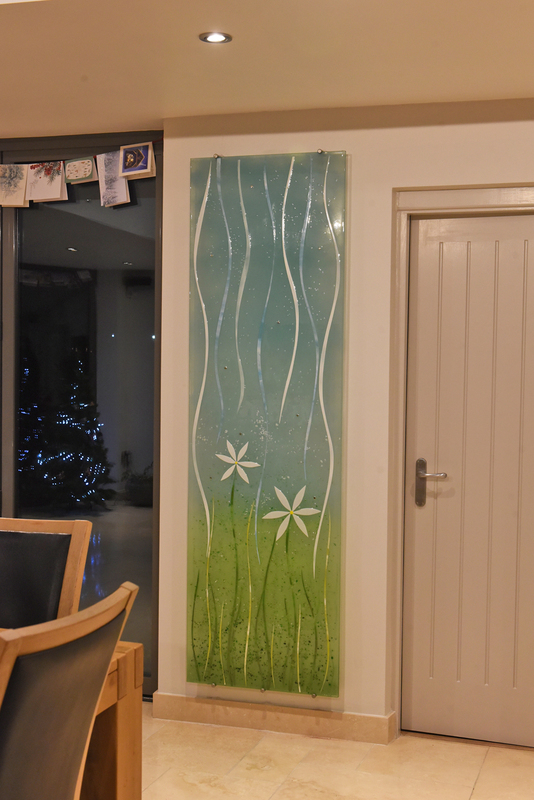 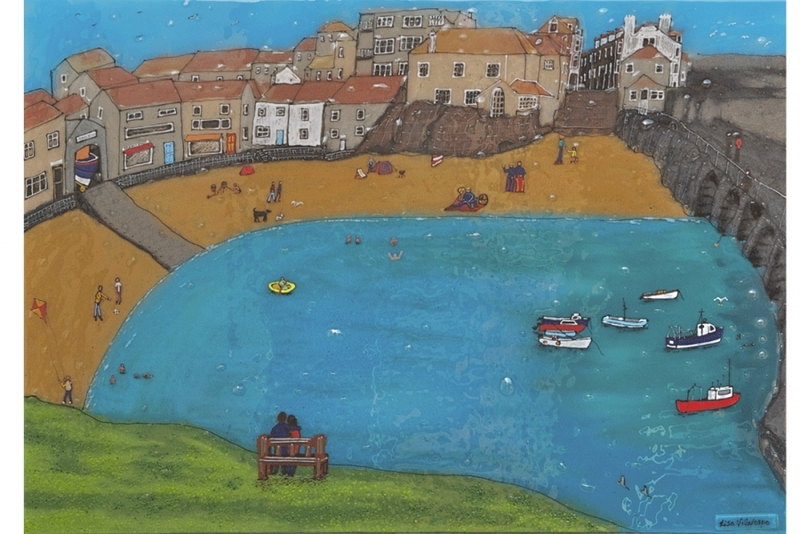 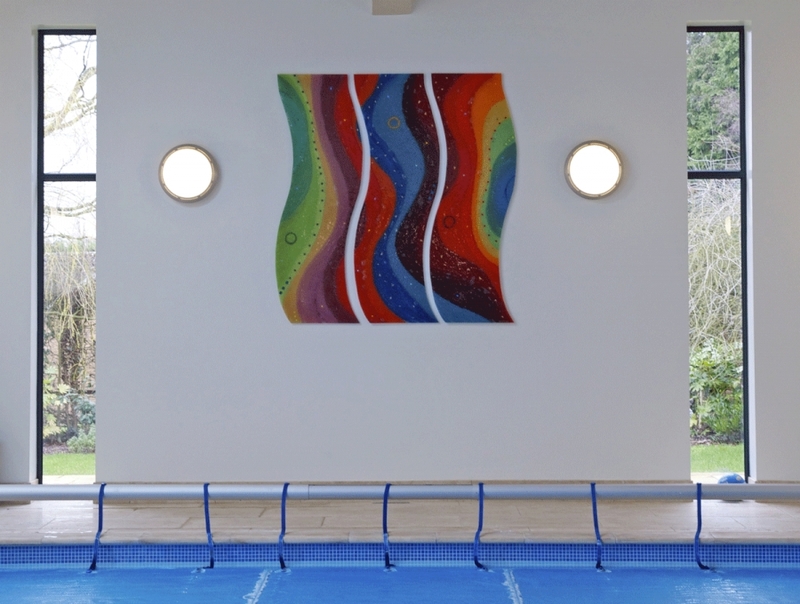 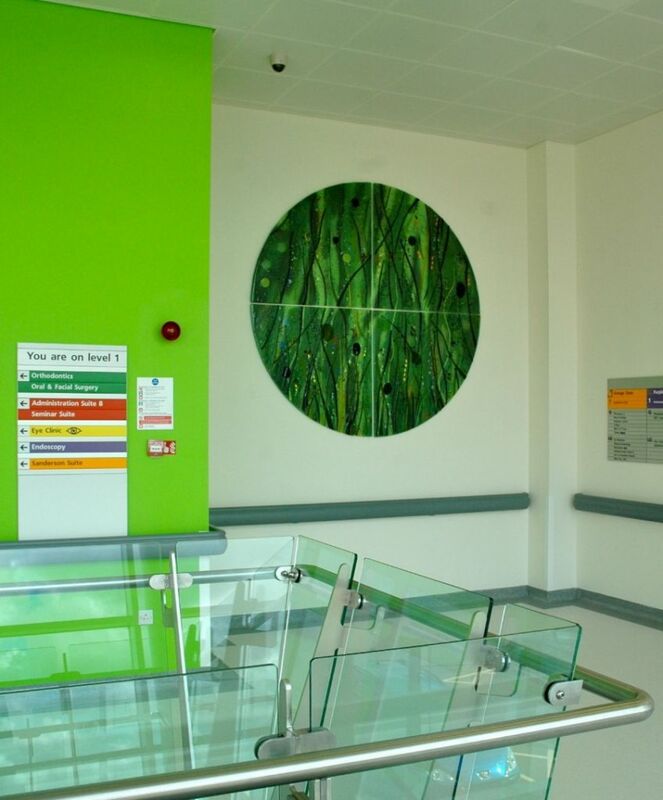 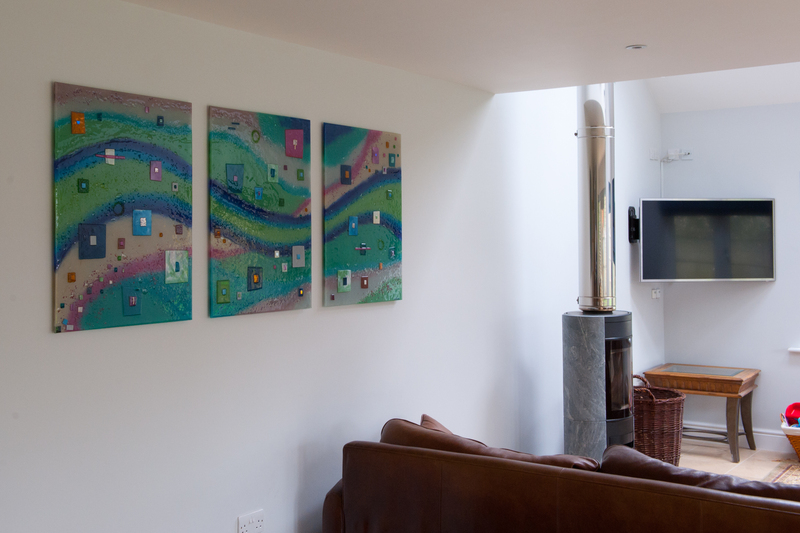 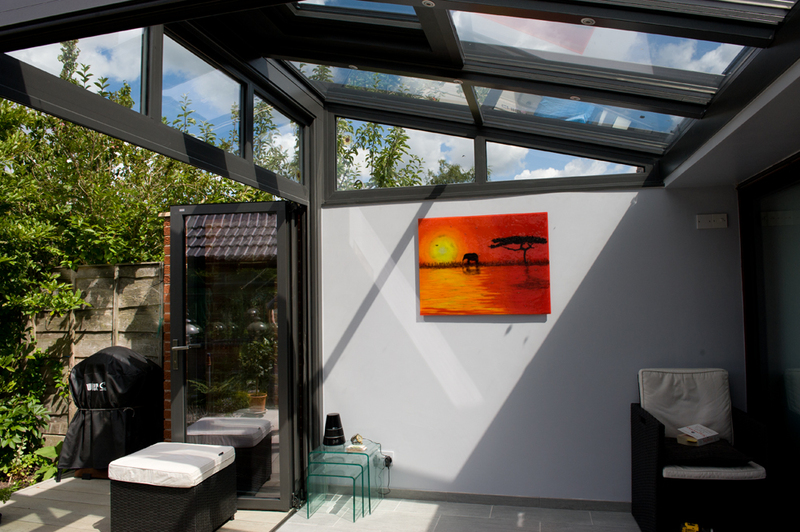 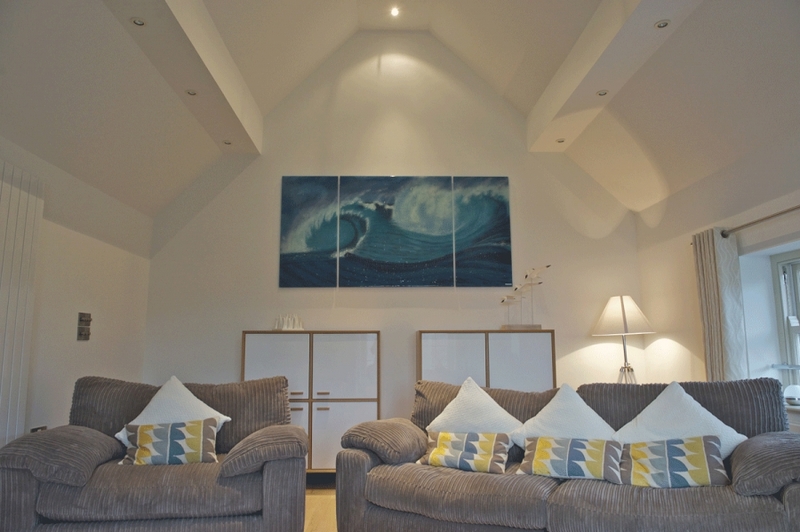 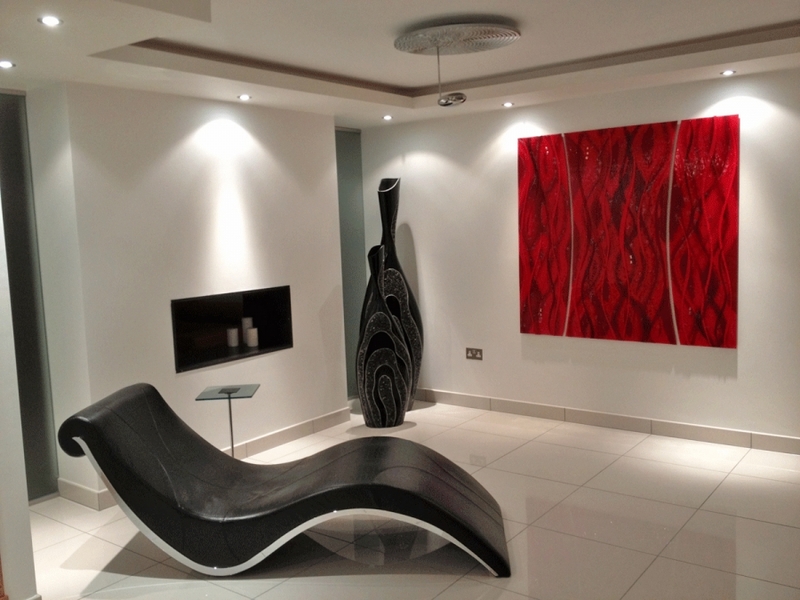 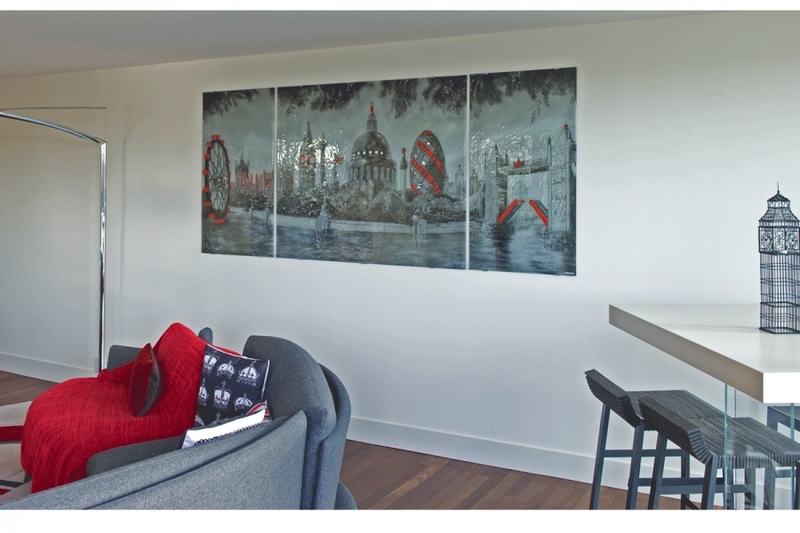 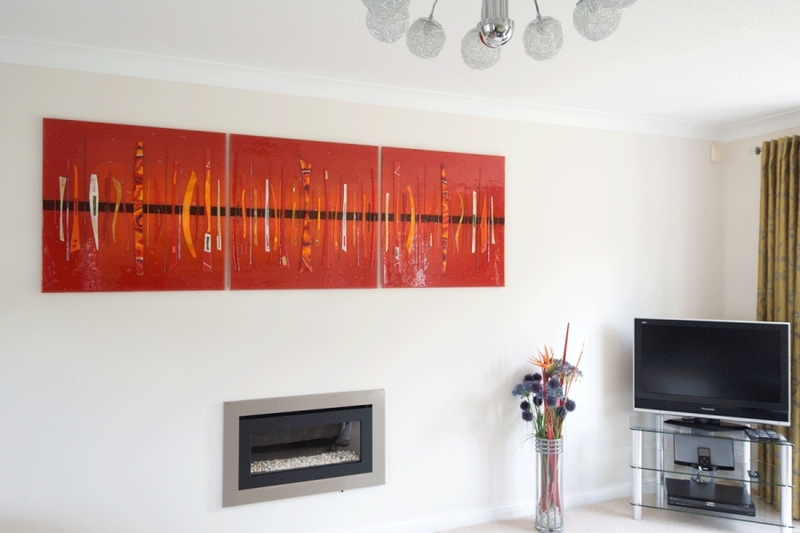 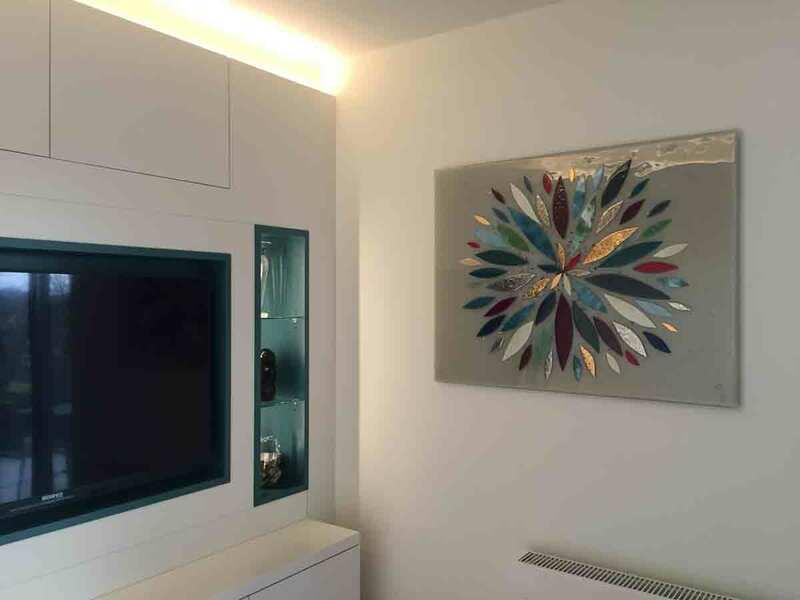 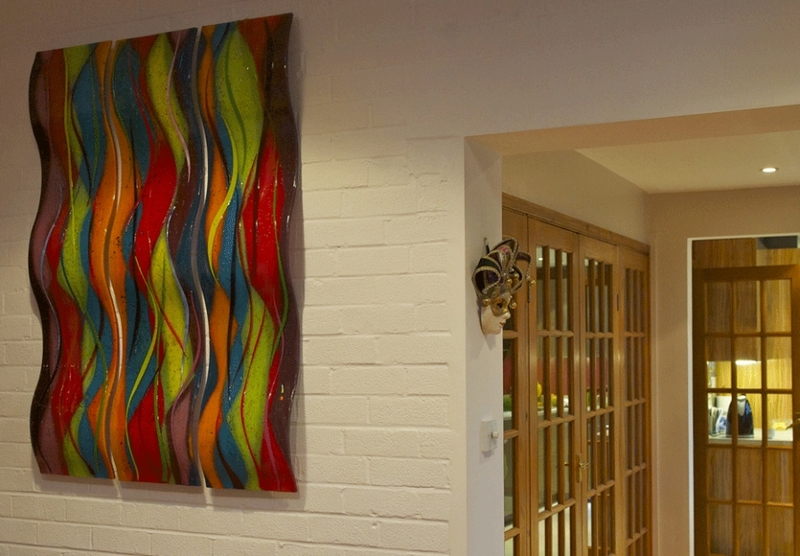 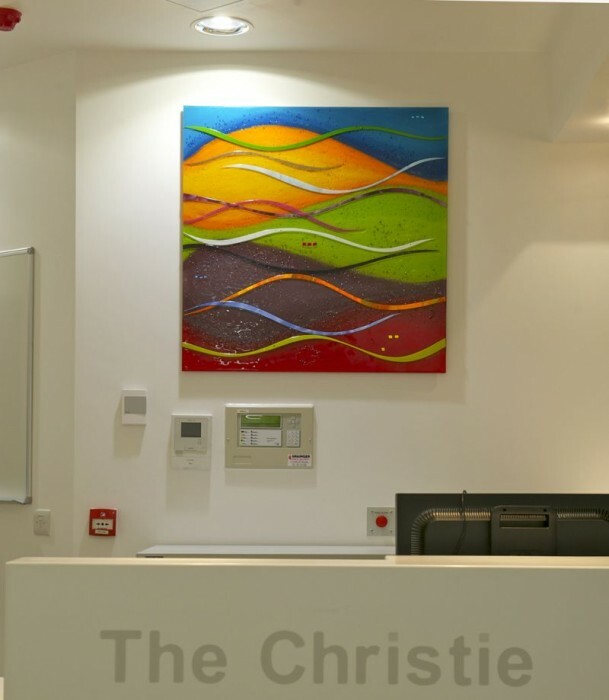 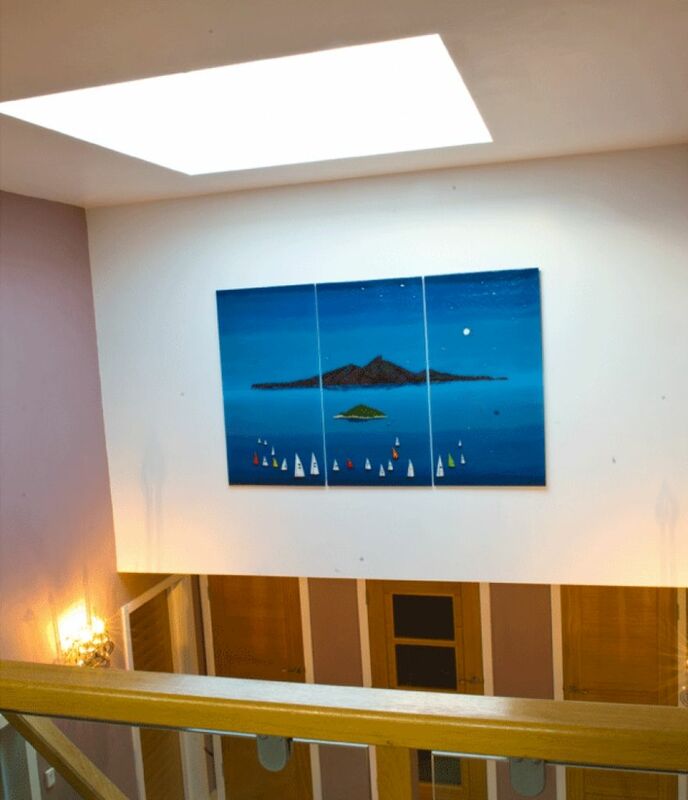 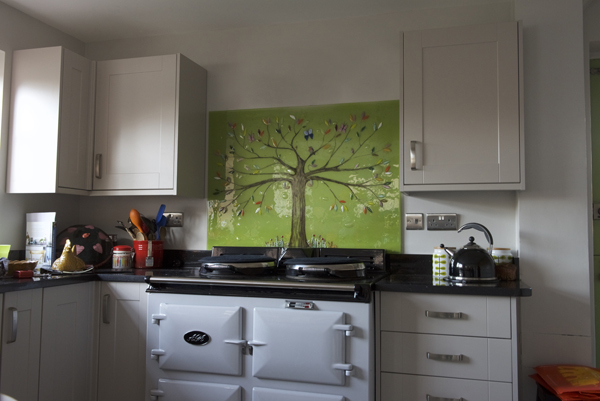 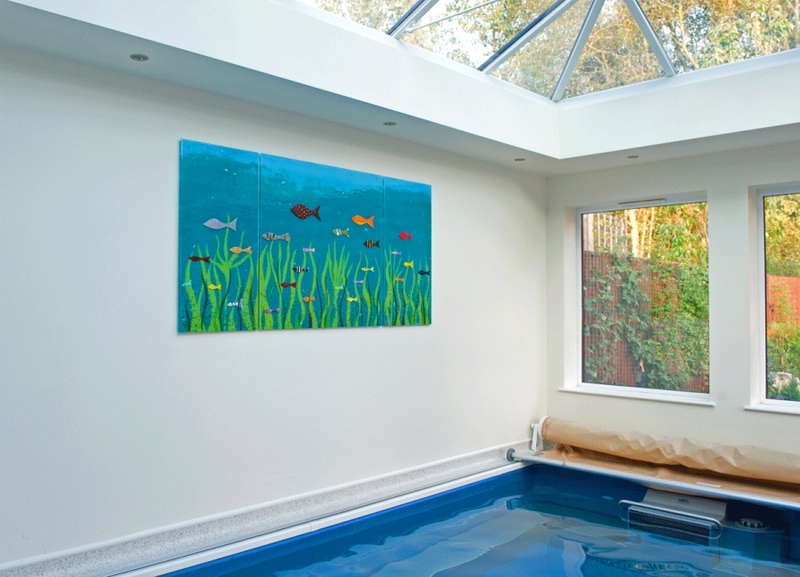 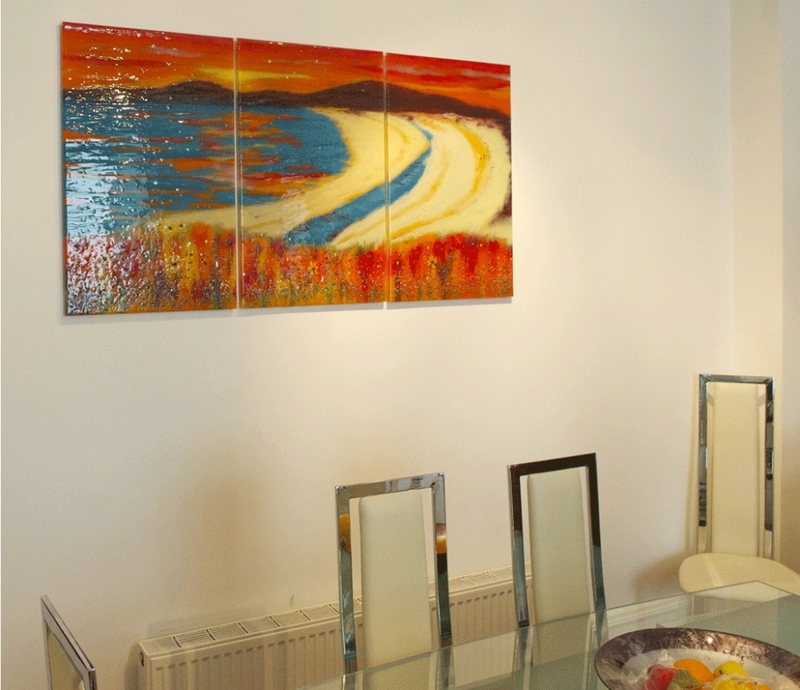 The client wanted the colours to match the original artwork on the wall so Lisa was thrilled to use the many colours provided! 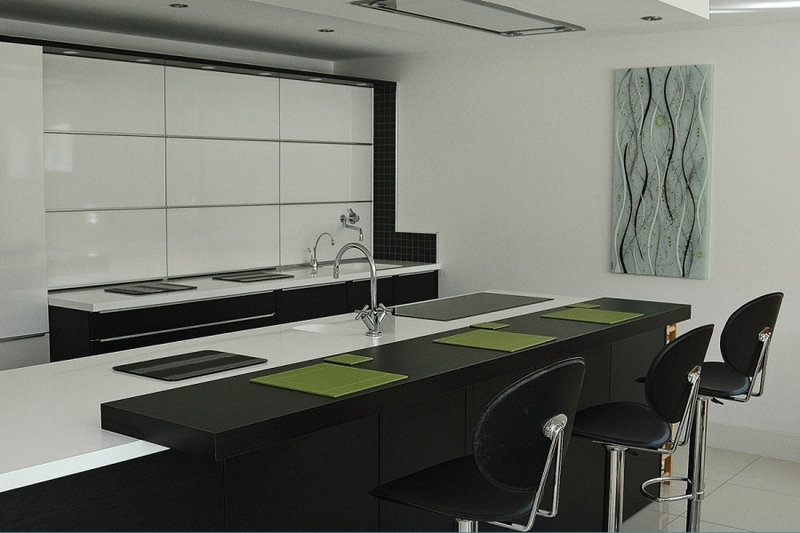 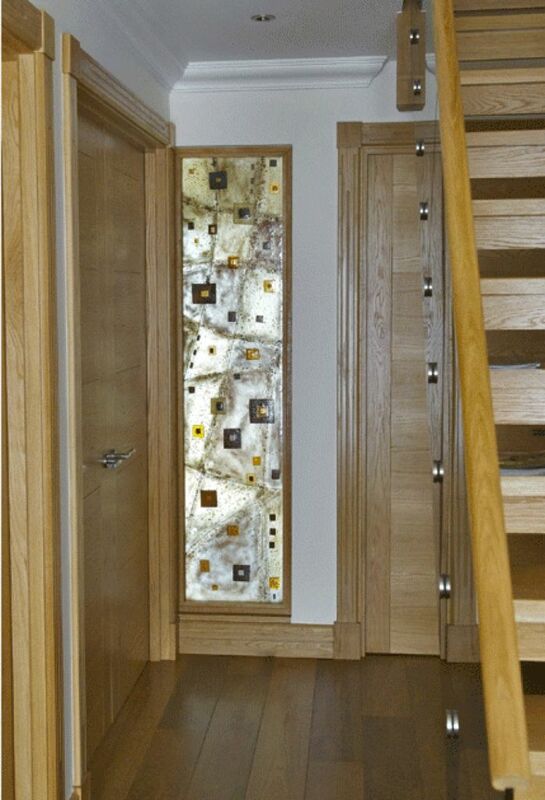 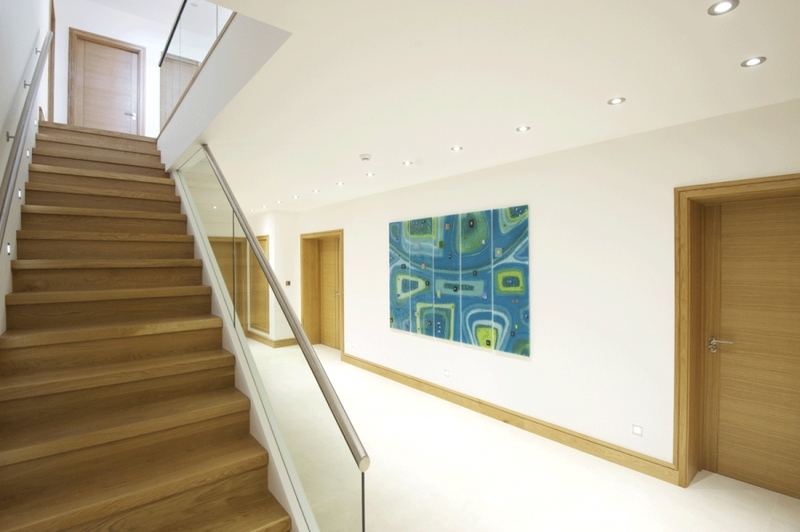 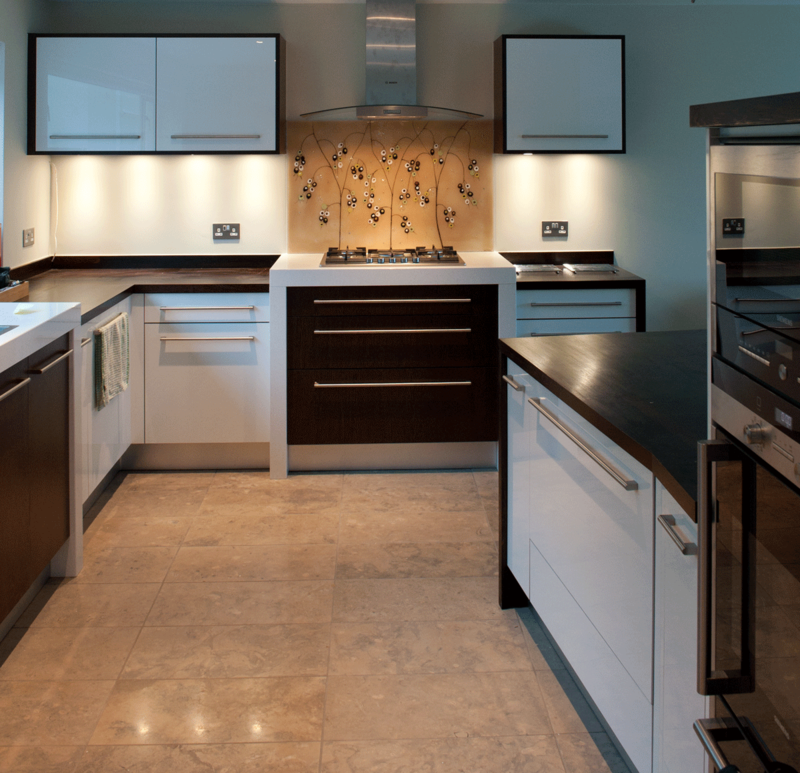 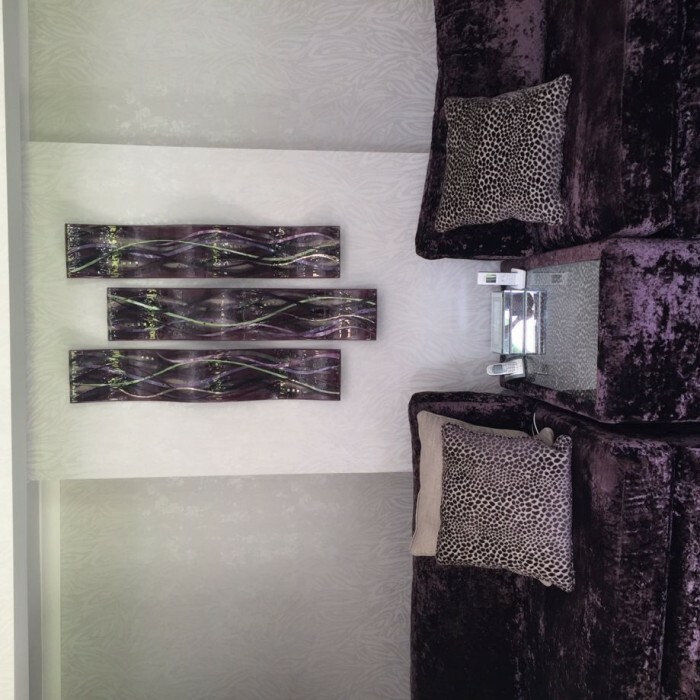 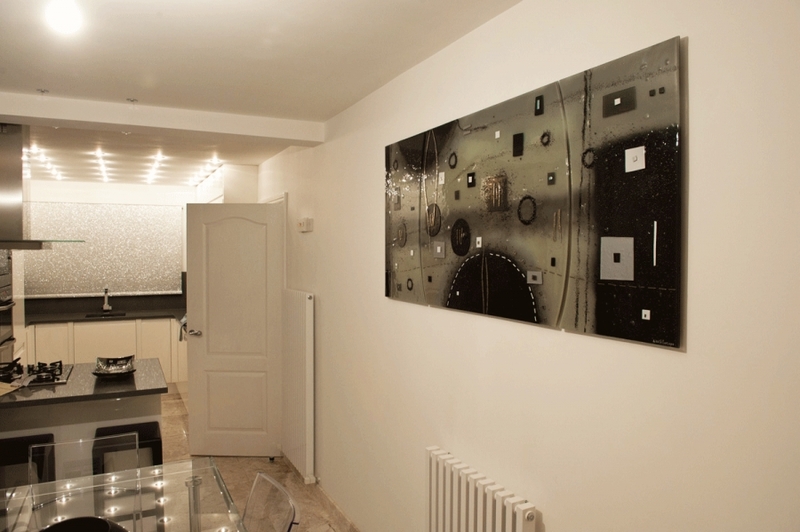 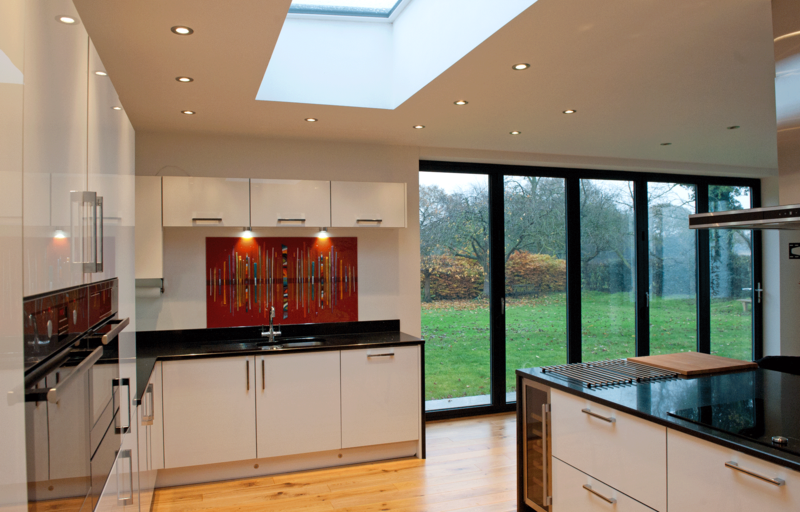 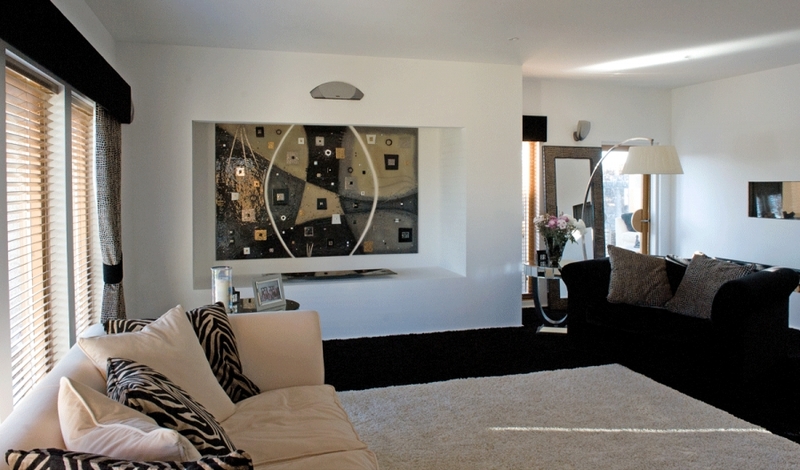 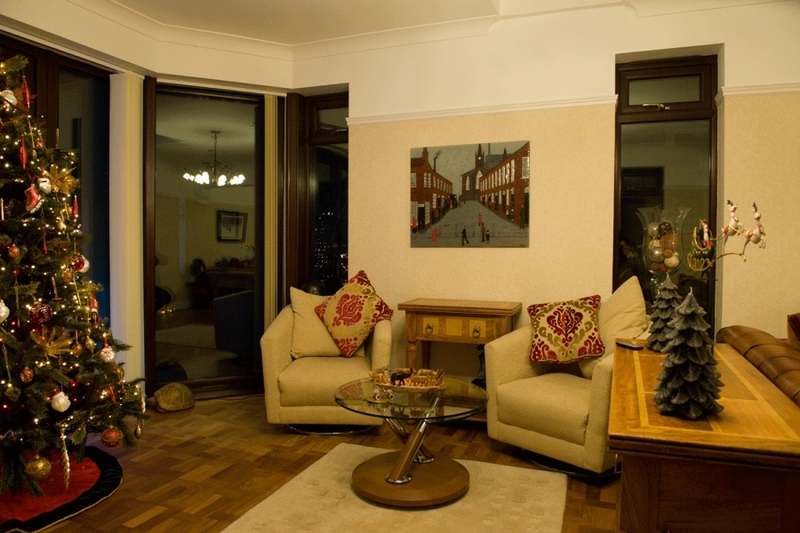 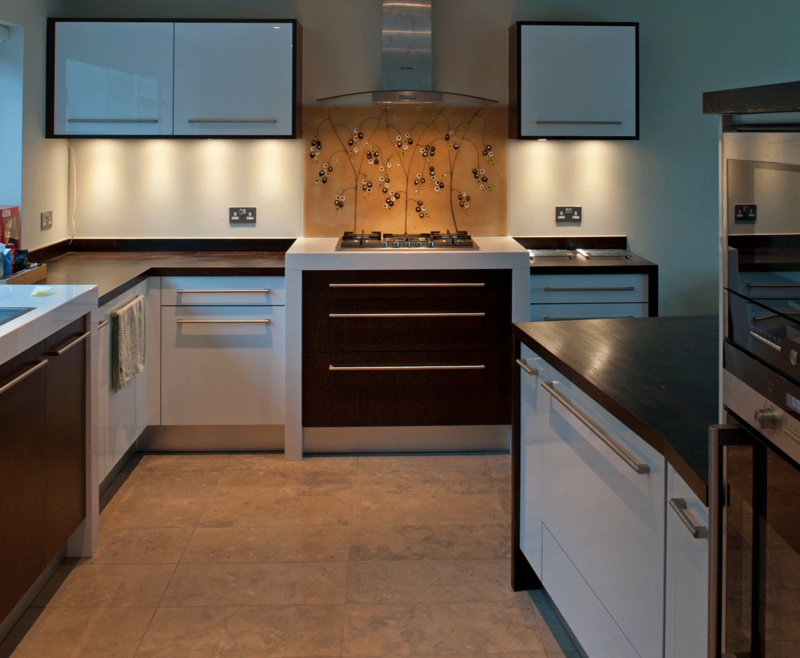 The result is something that is themed and modern, although neutral and white in colour. 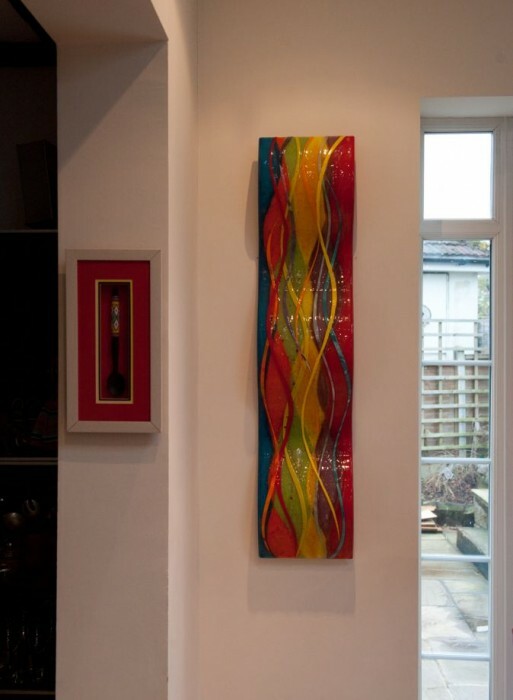 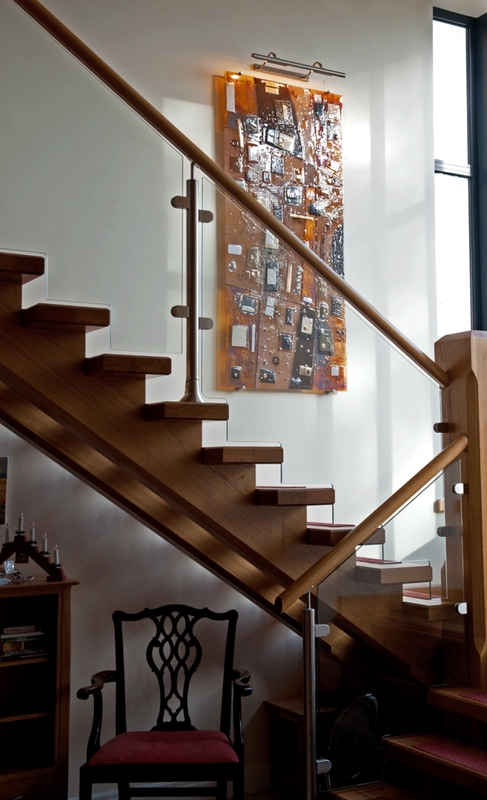 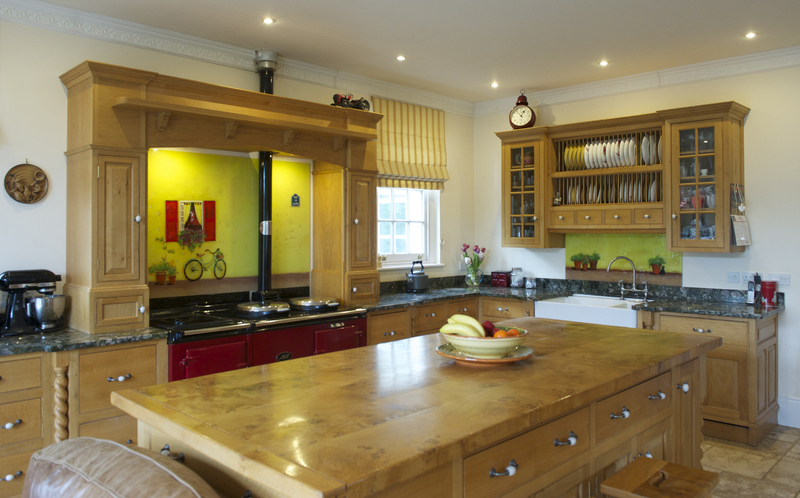 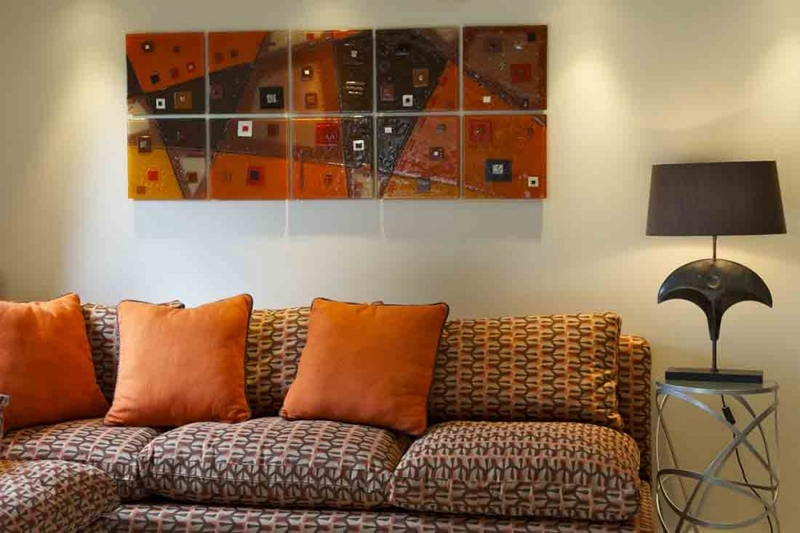 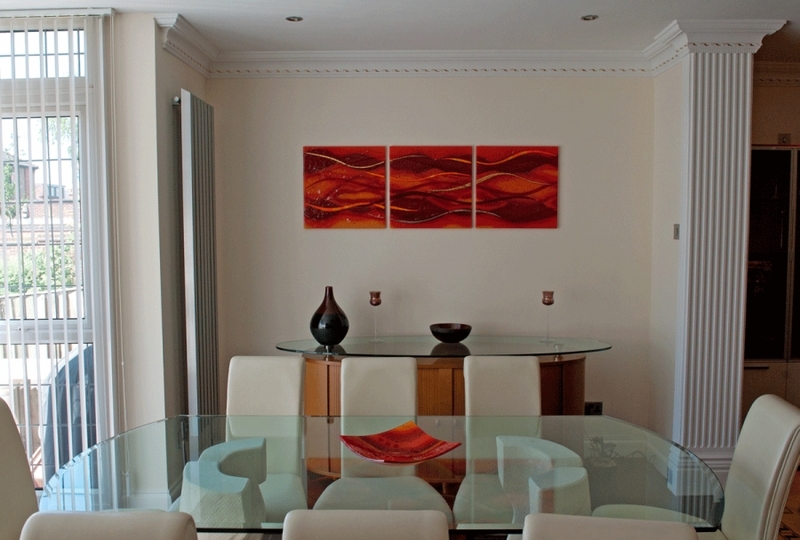 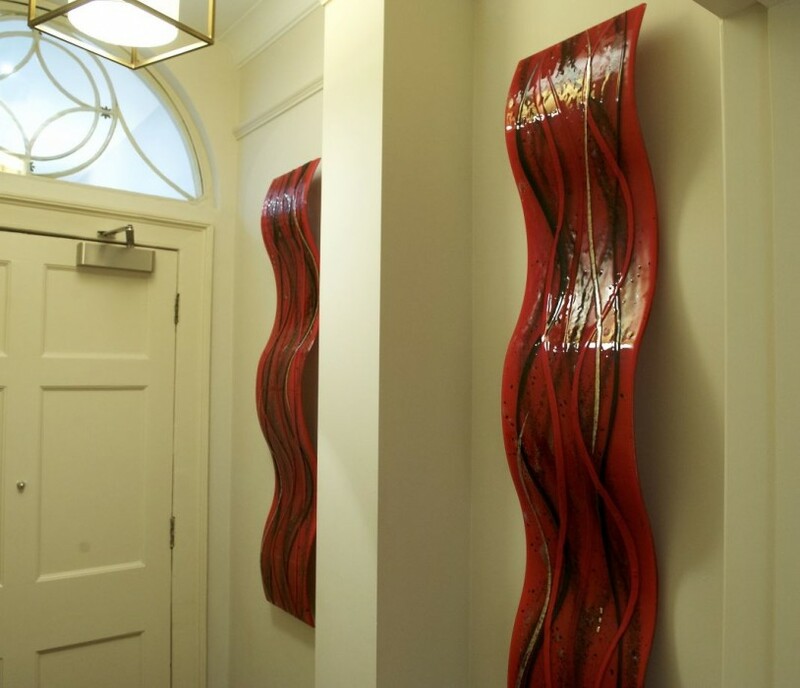 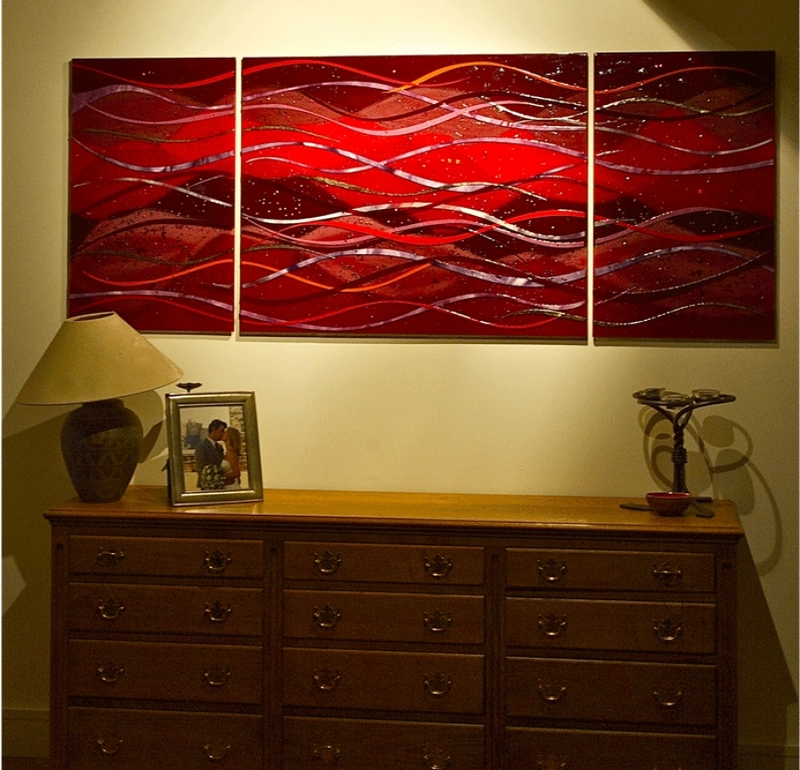 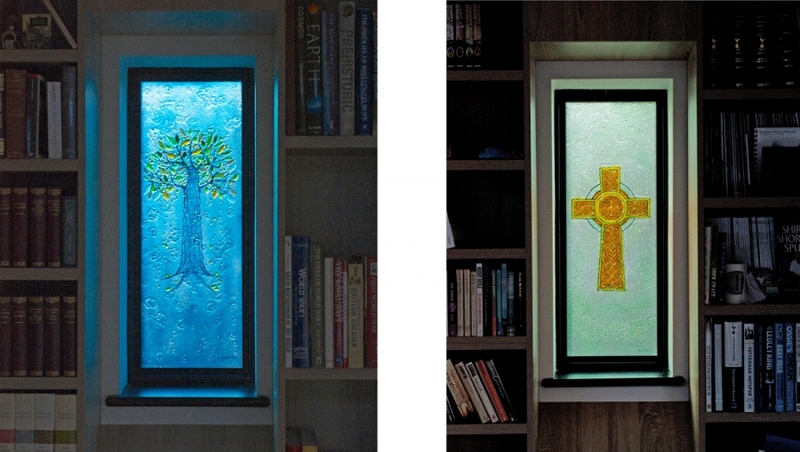 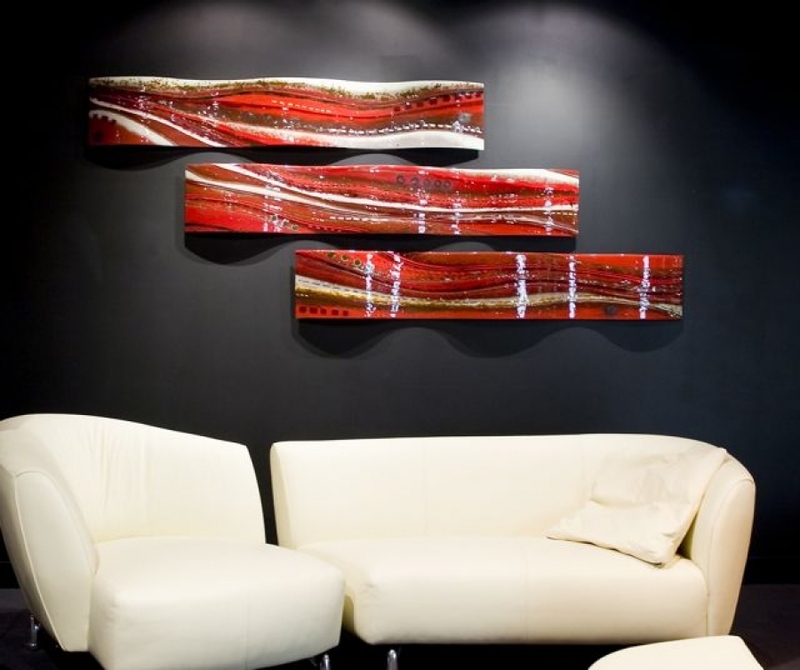 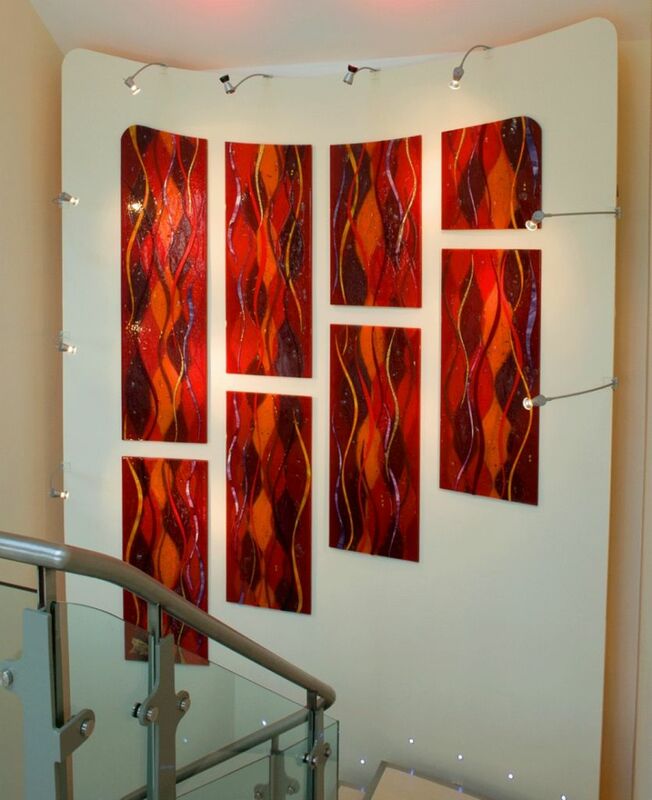 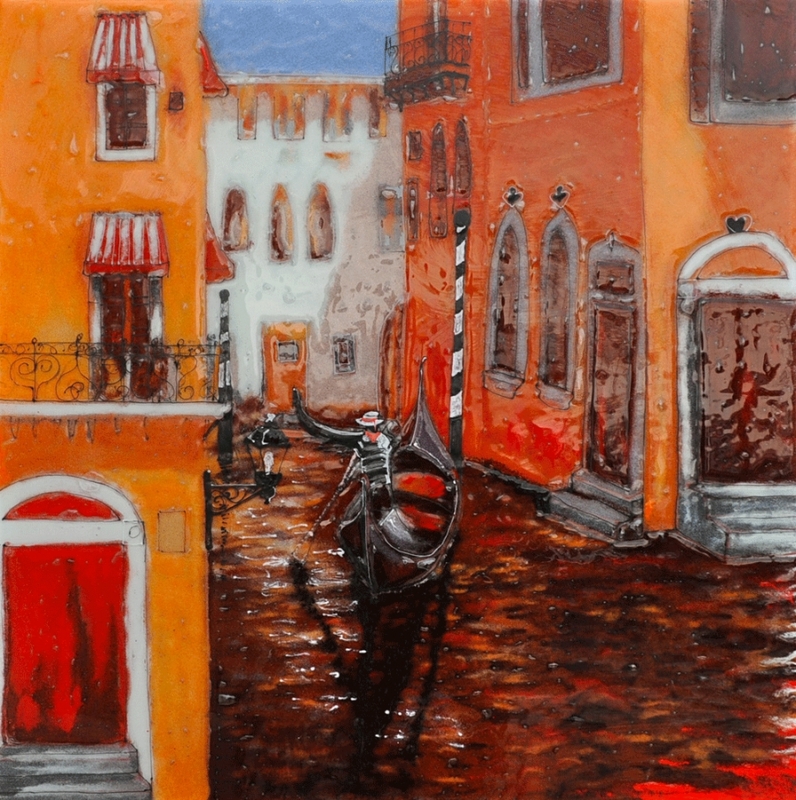 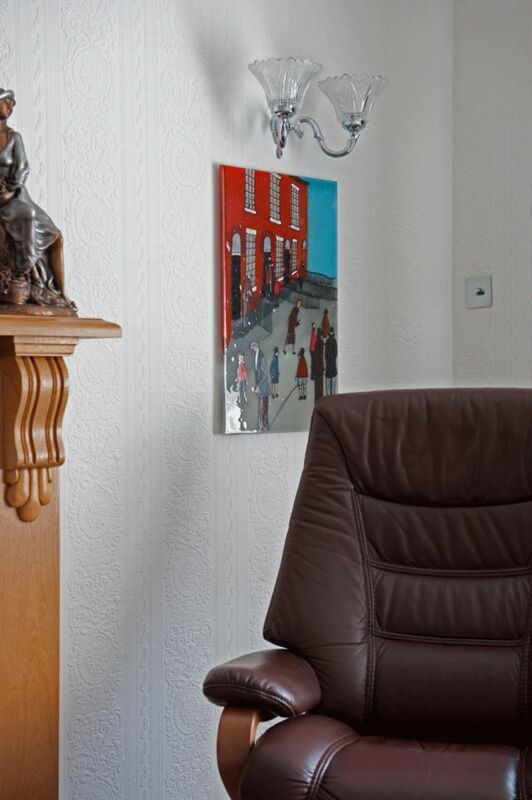 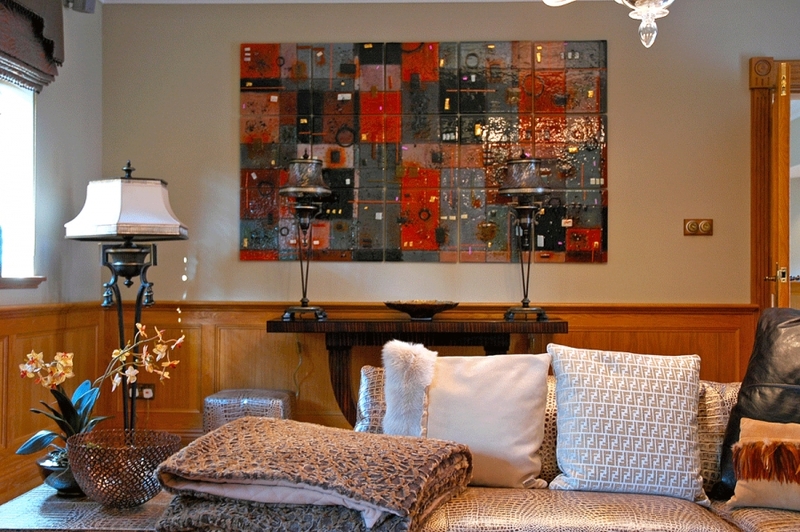 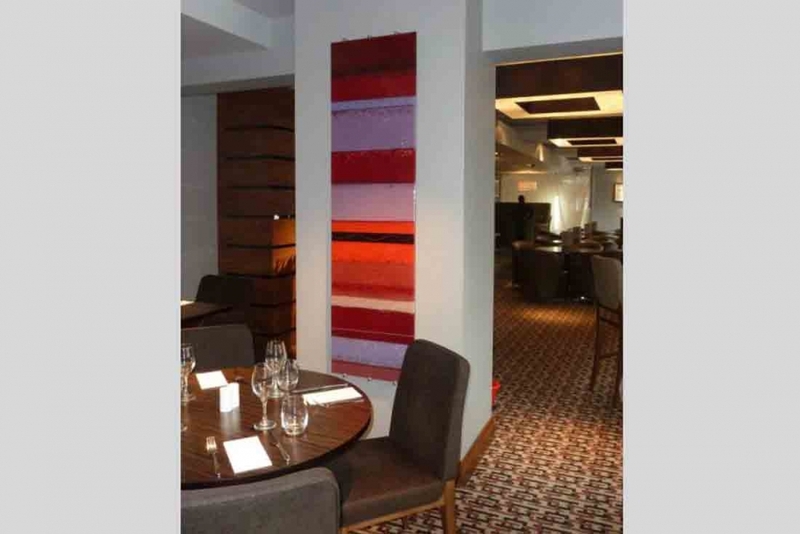 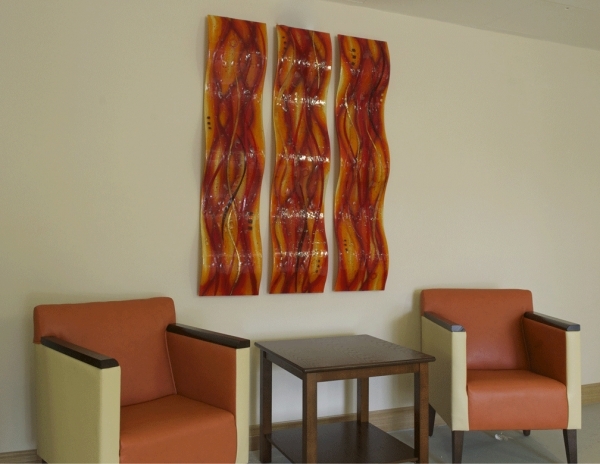 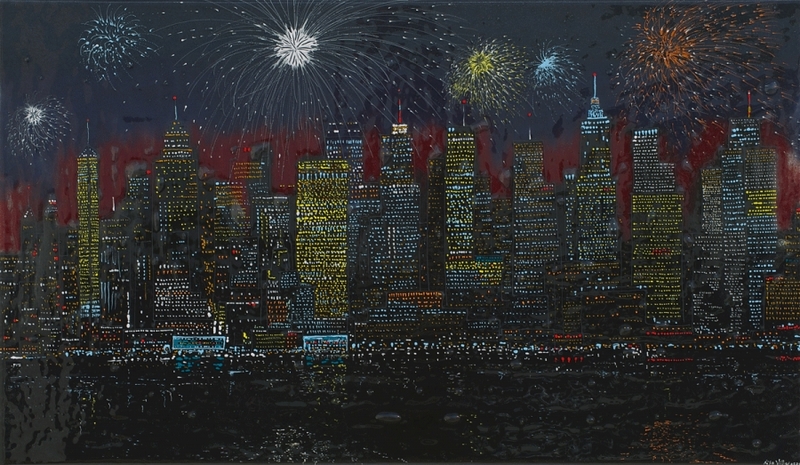 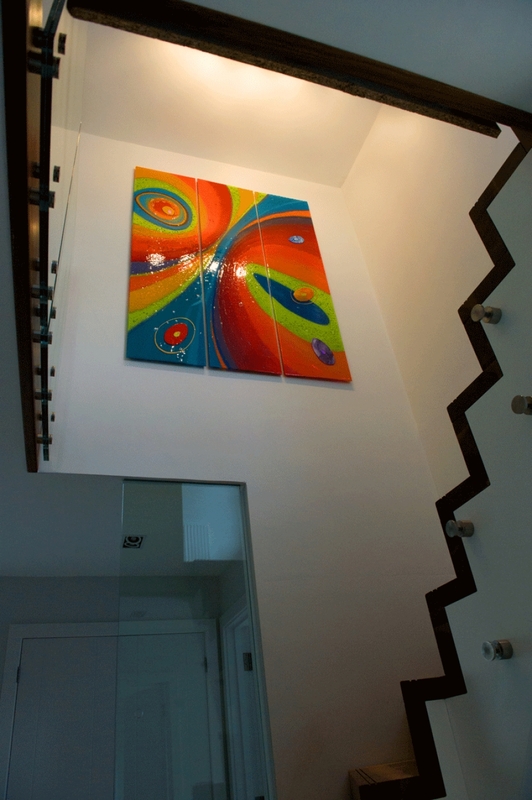 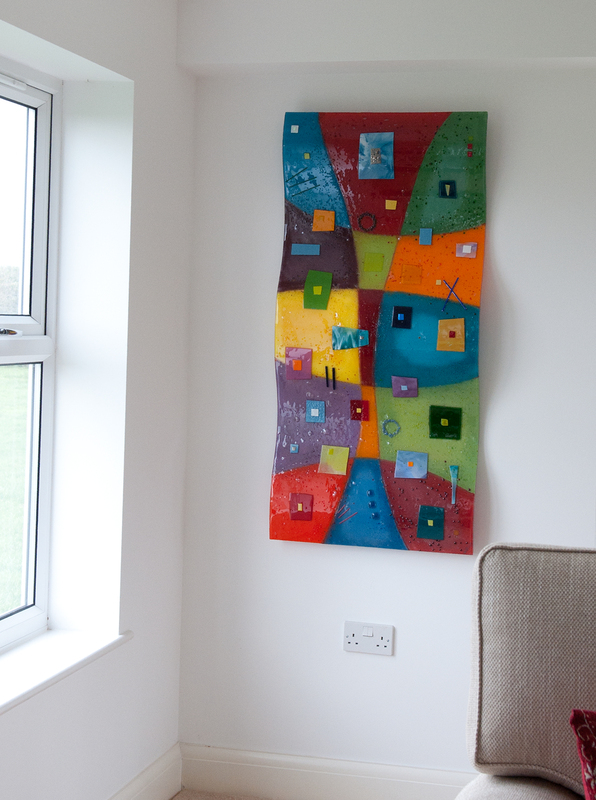 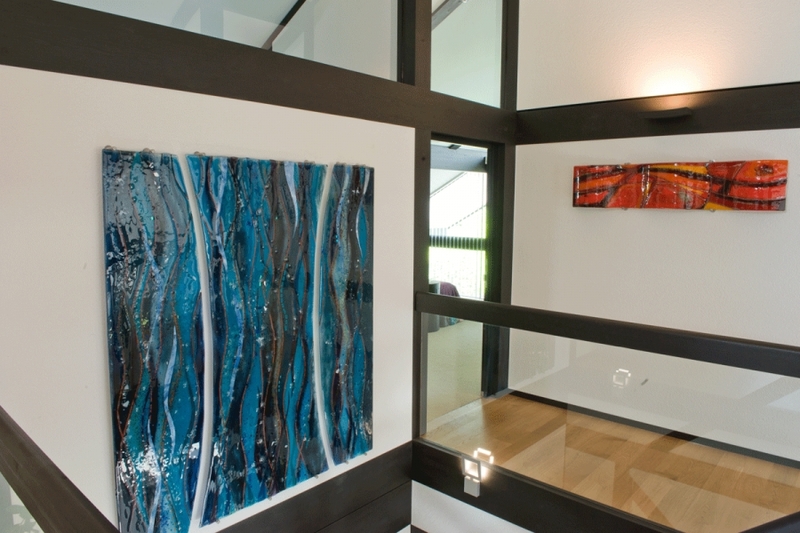 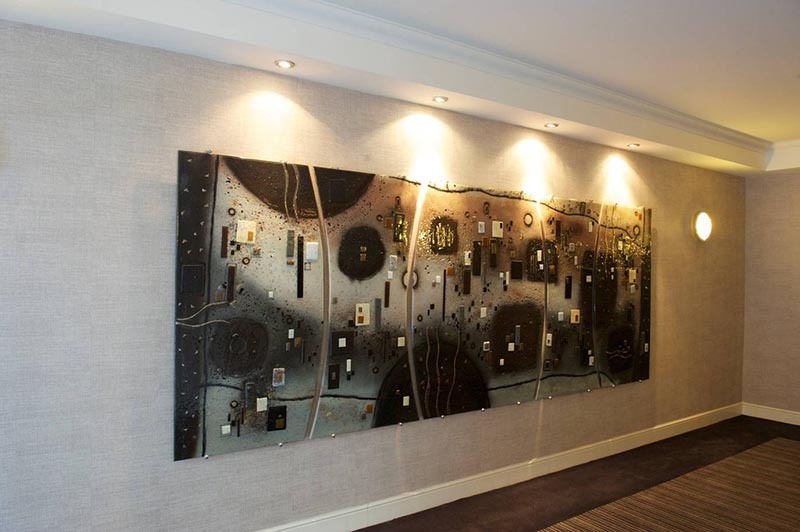 The piece stands out and becomes something of a centrepiece for guests to pay attention to.